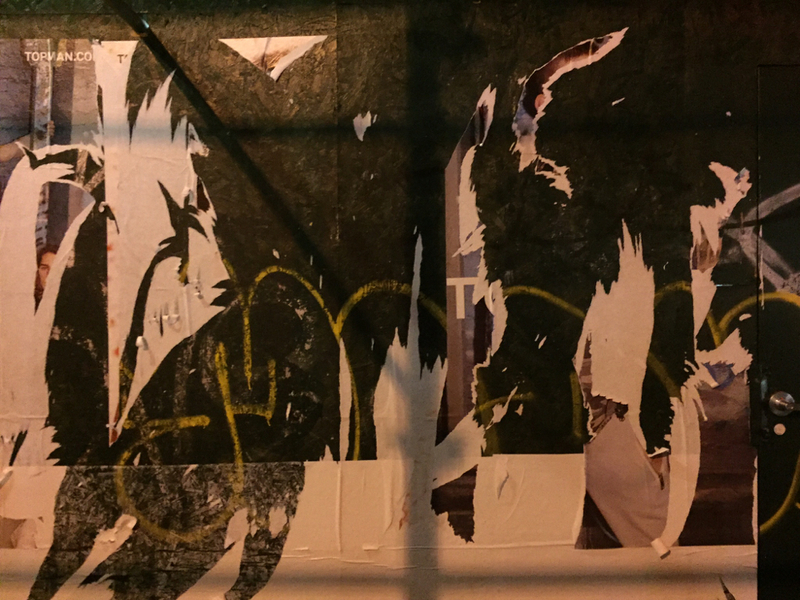 What’s Left” is a collection of photos I’ve taken over the years using the camera on my phone. 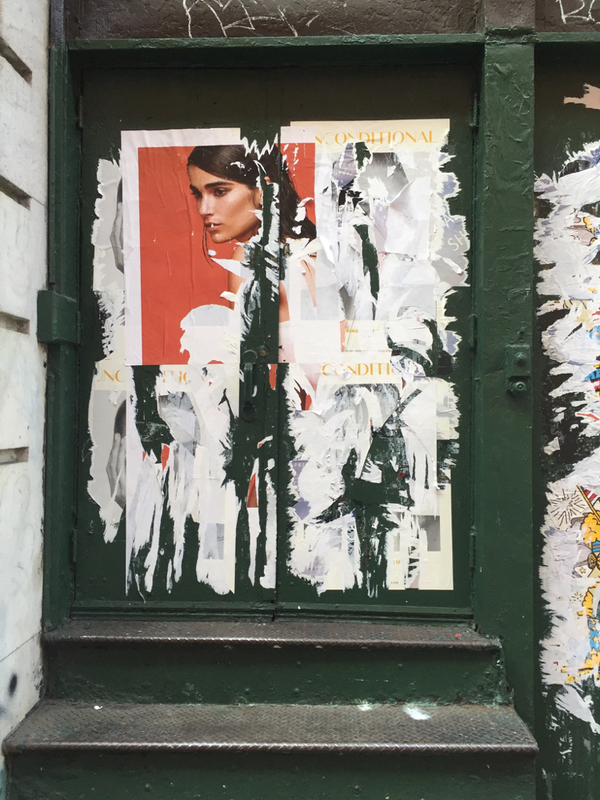 Most were taken in and around NYC, but as I travel frequently for my work, some were taken in Paris, Brazil, Mexico, Germany, Slovenia, Borneo, Australia and elsewhere. 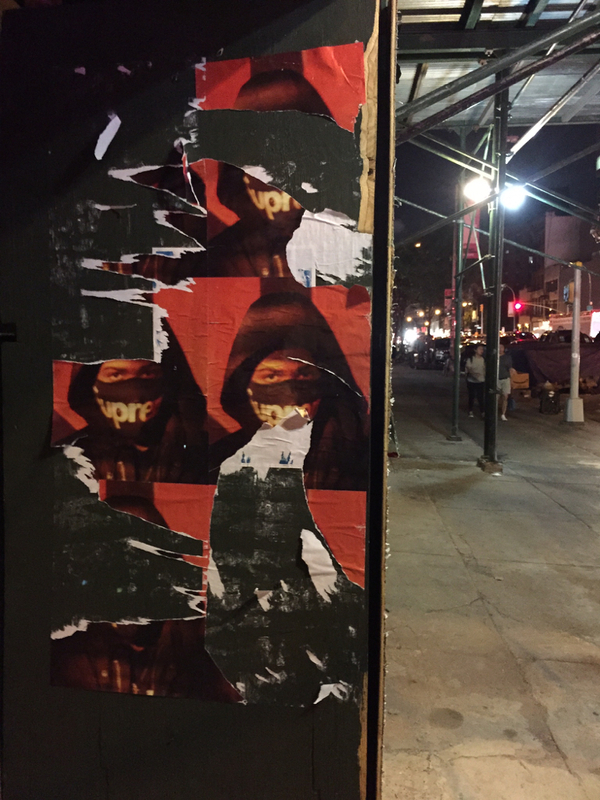 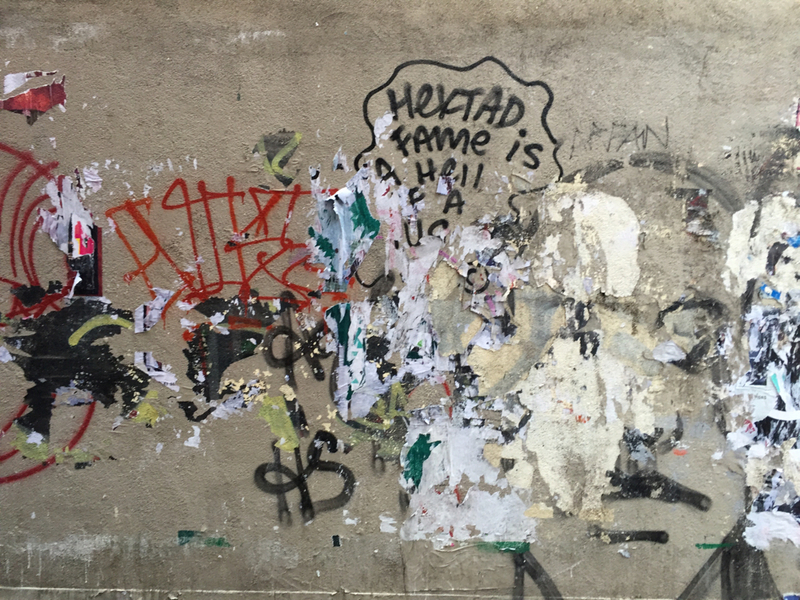 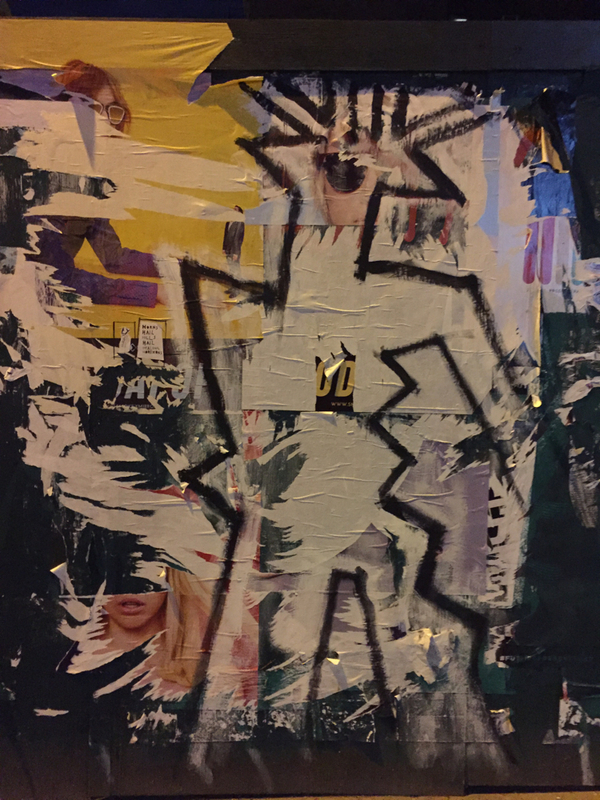 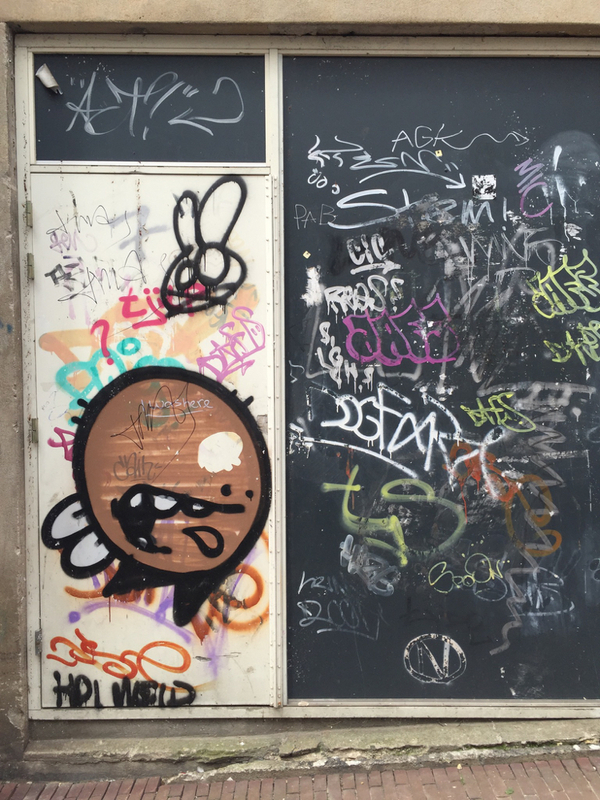 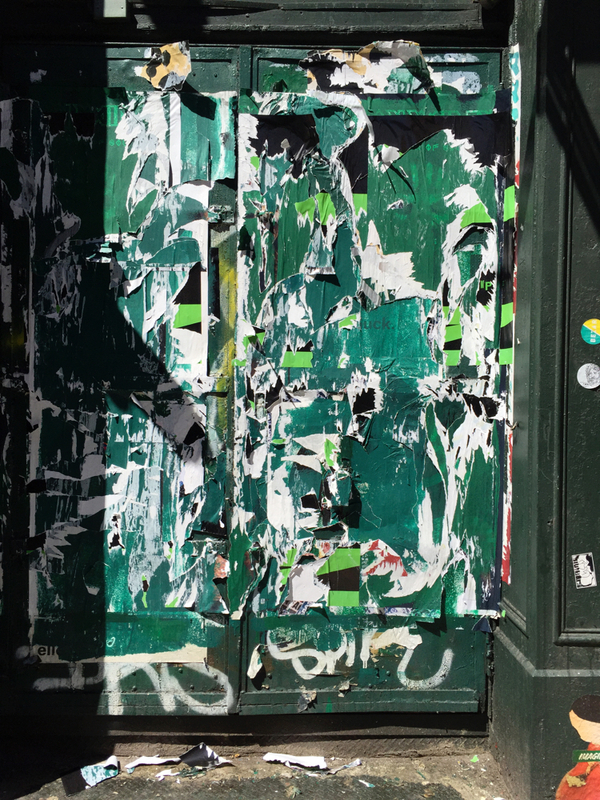 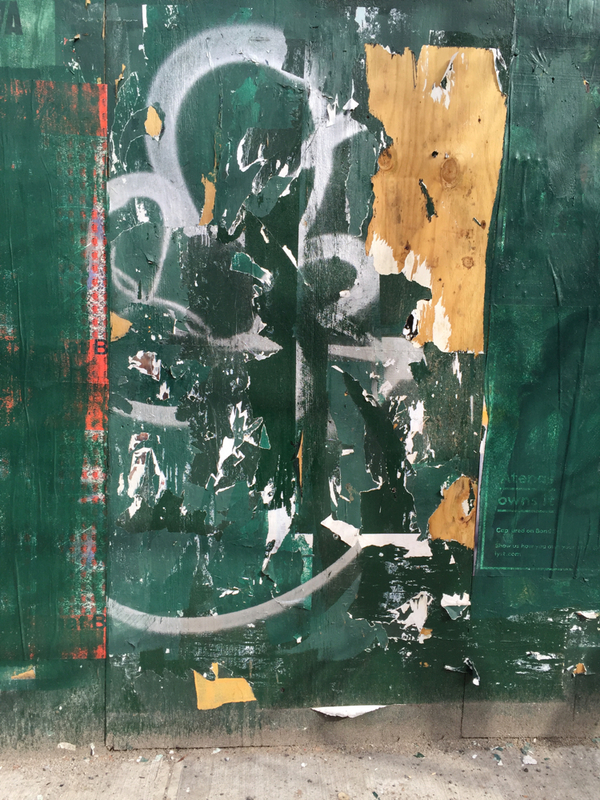 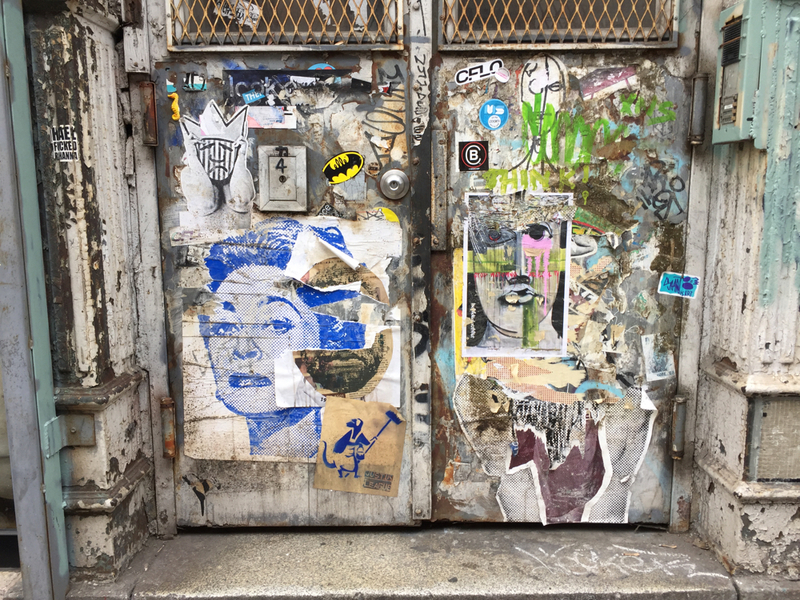 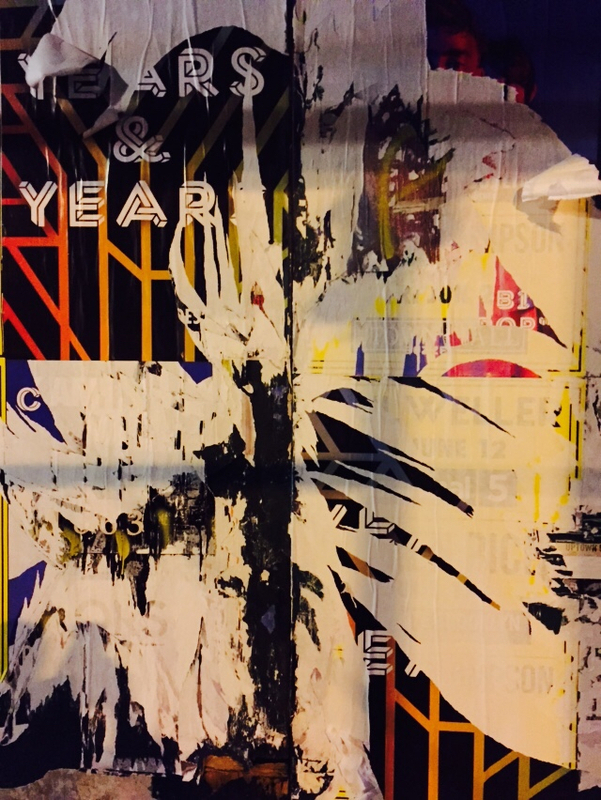 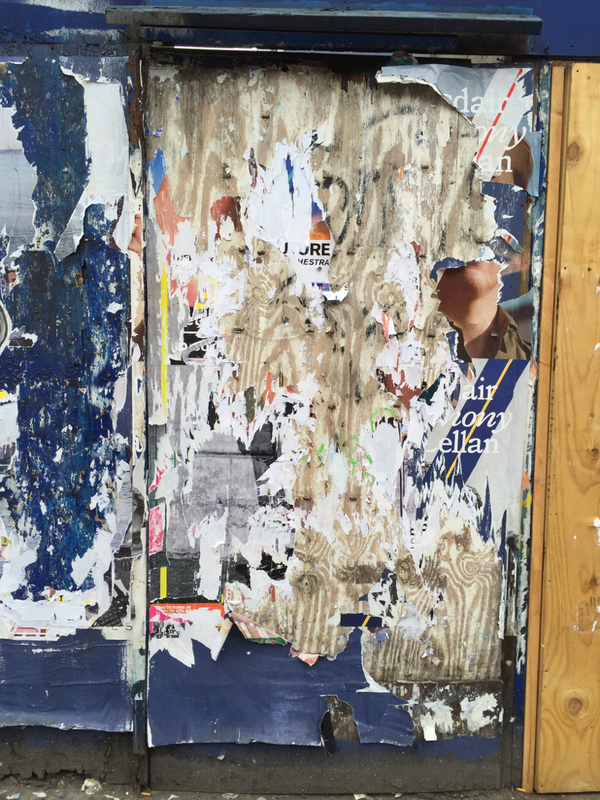 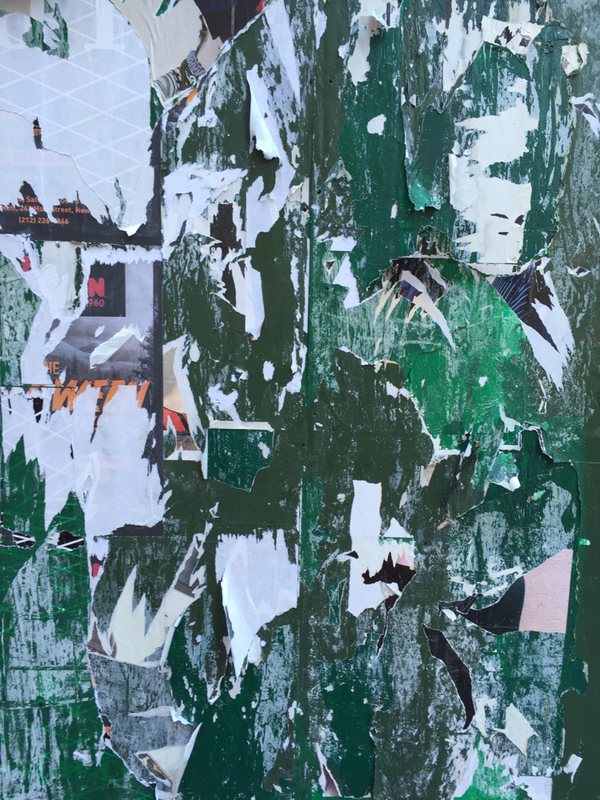 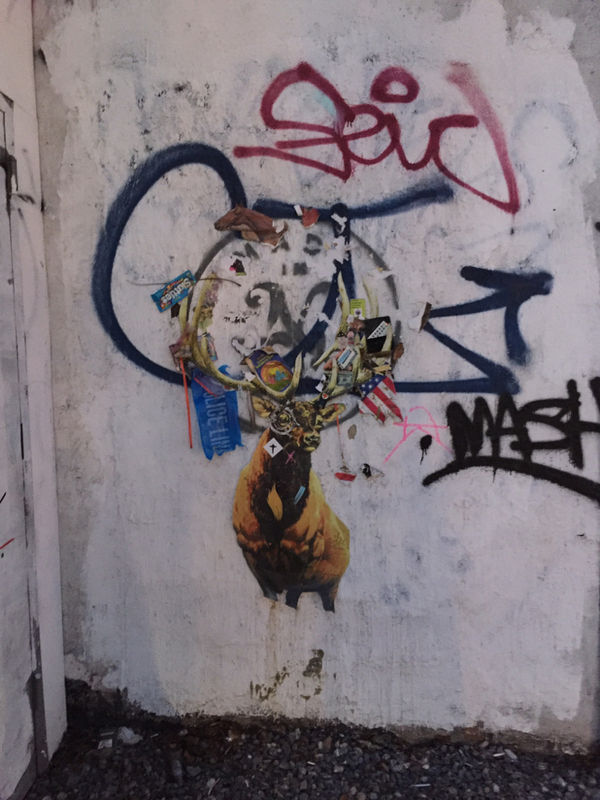 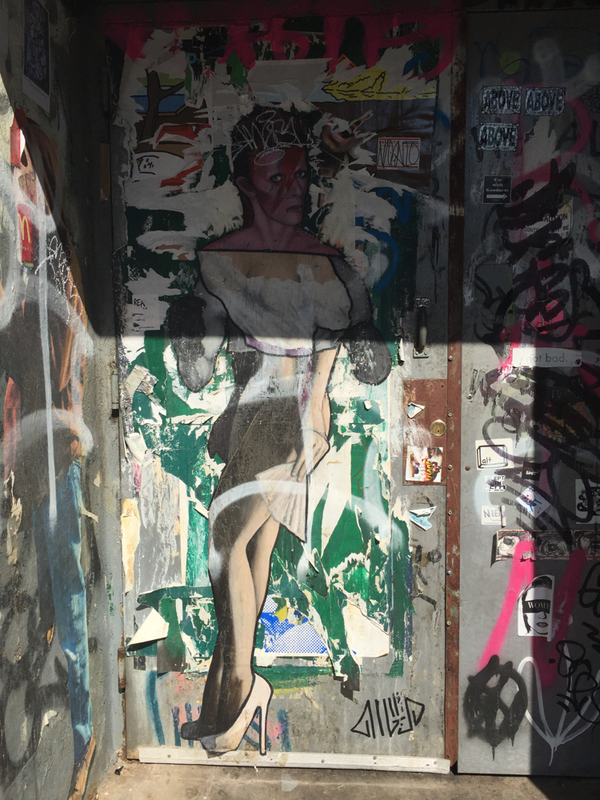 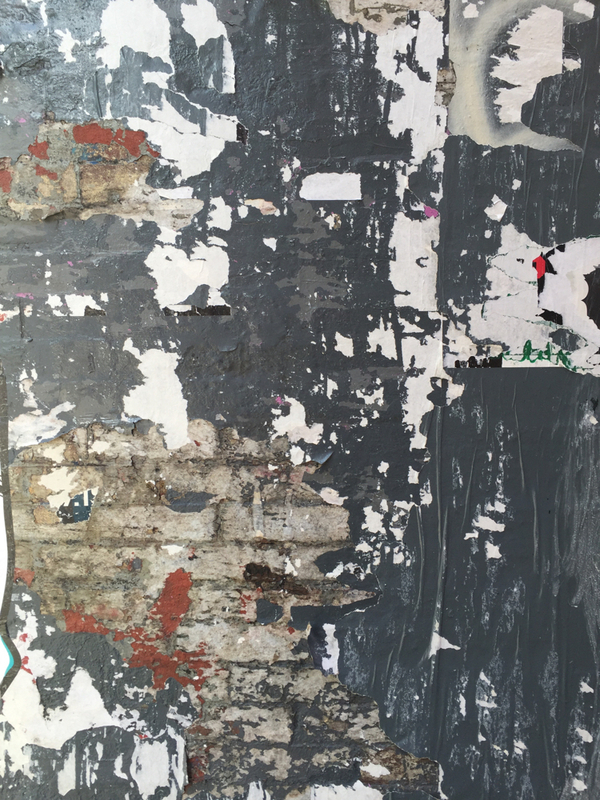 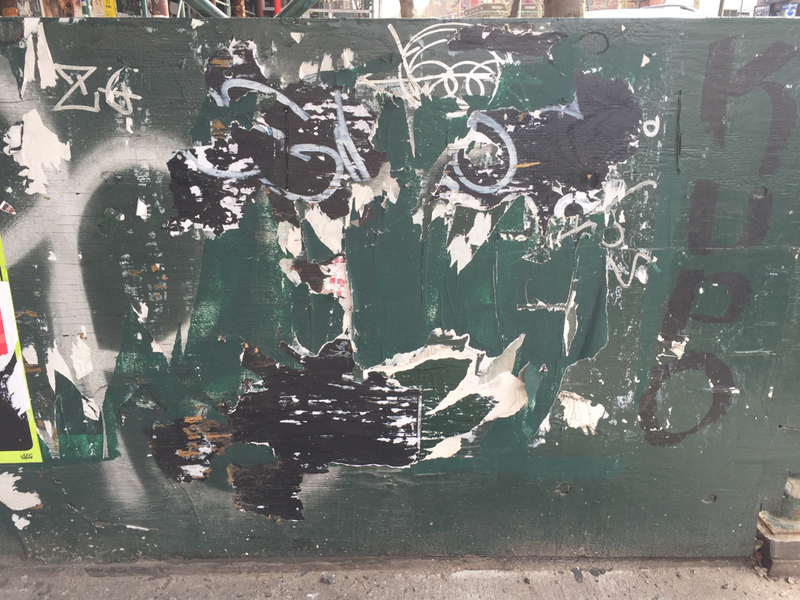 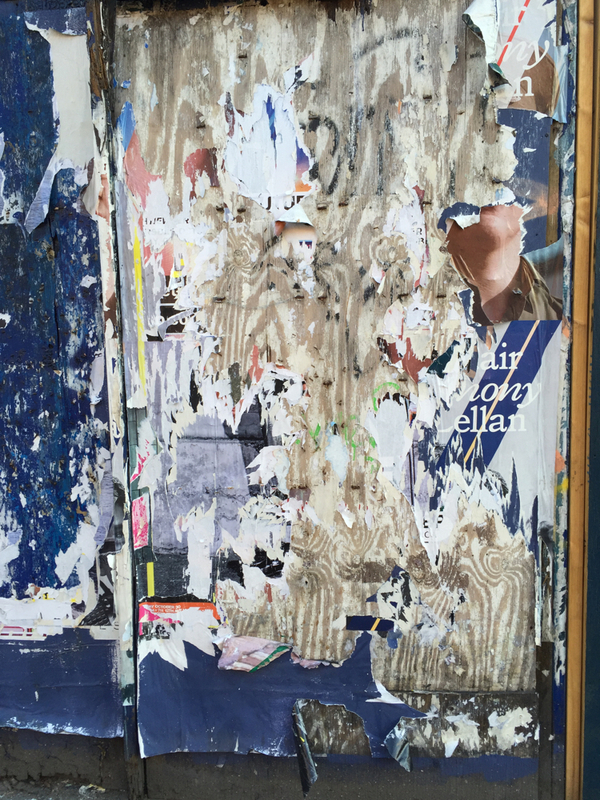 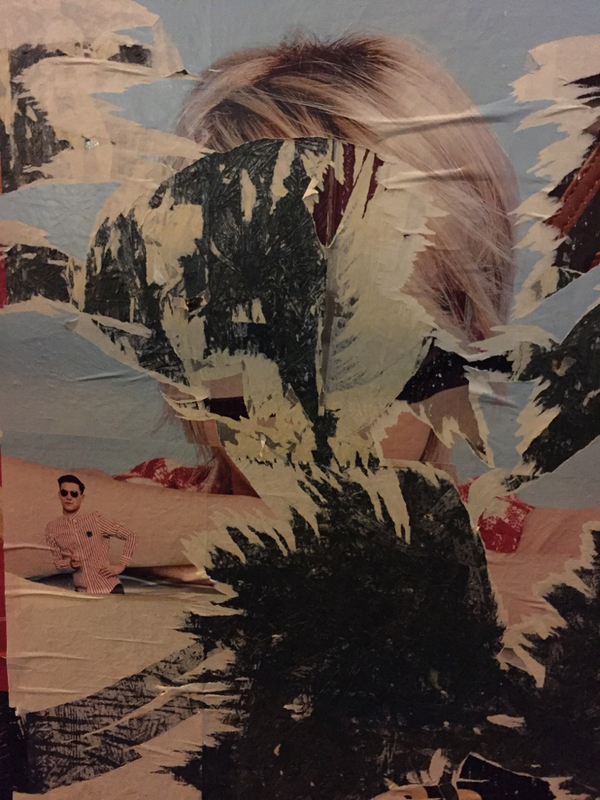 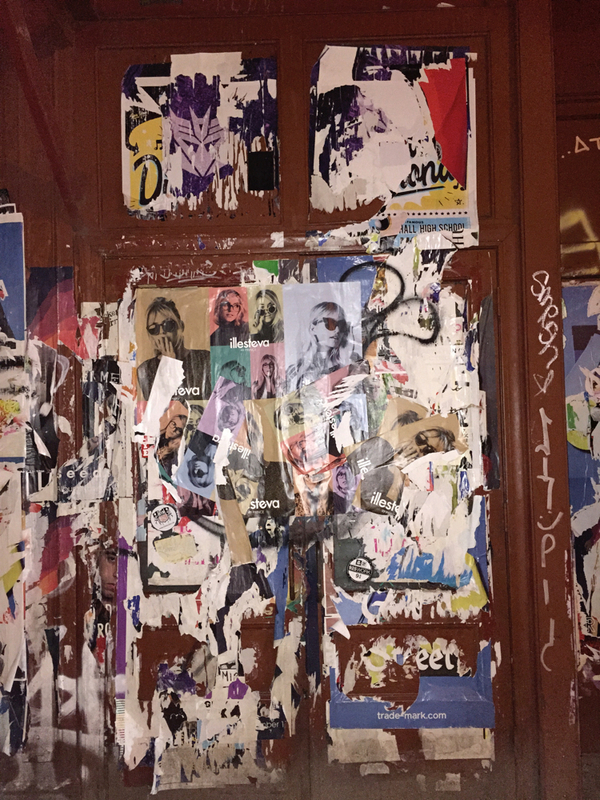 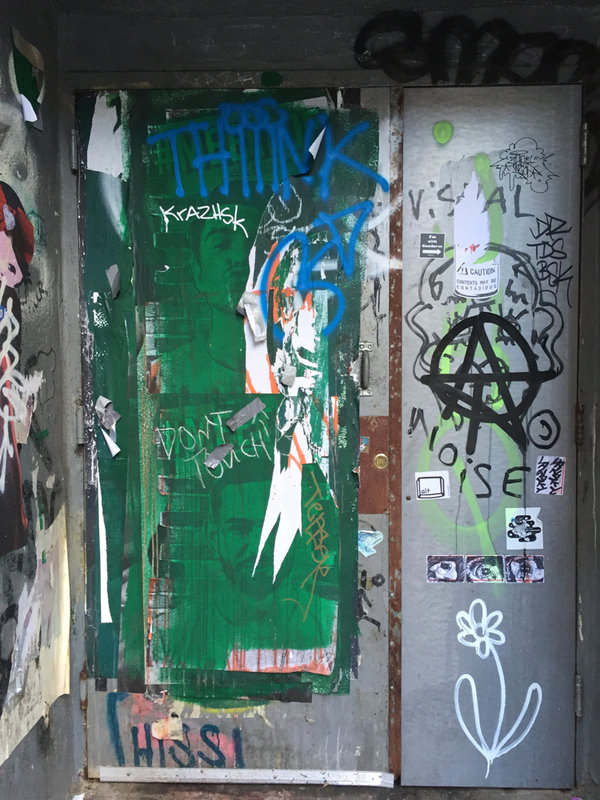 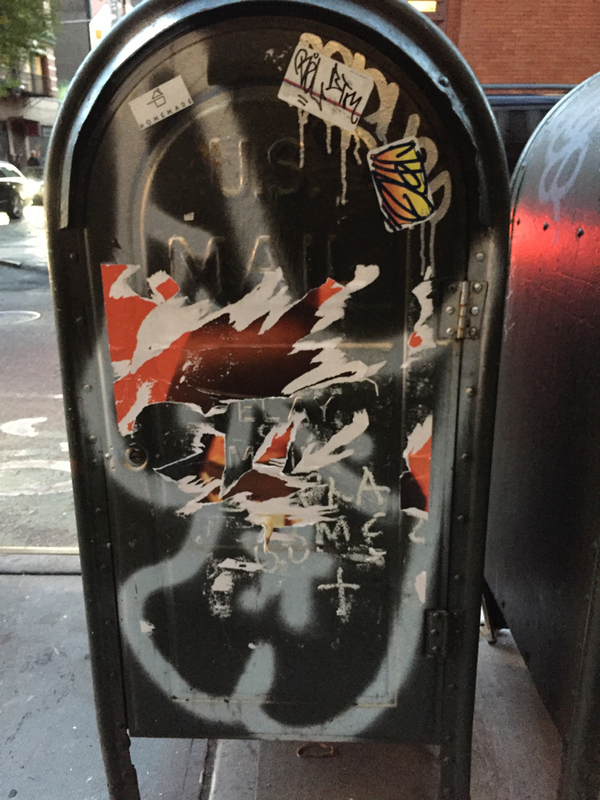 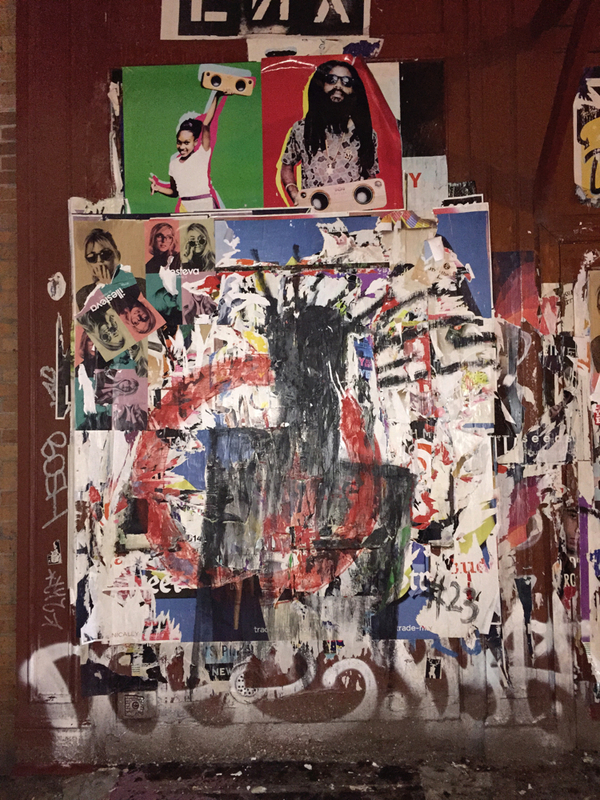 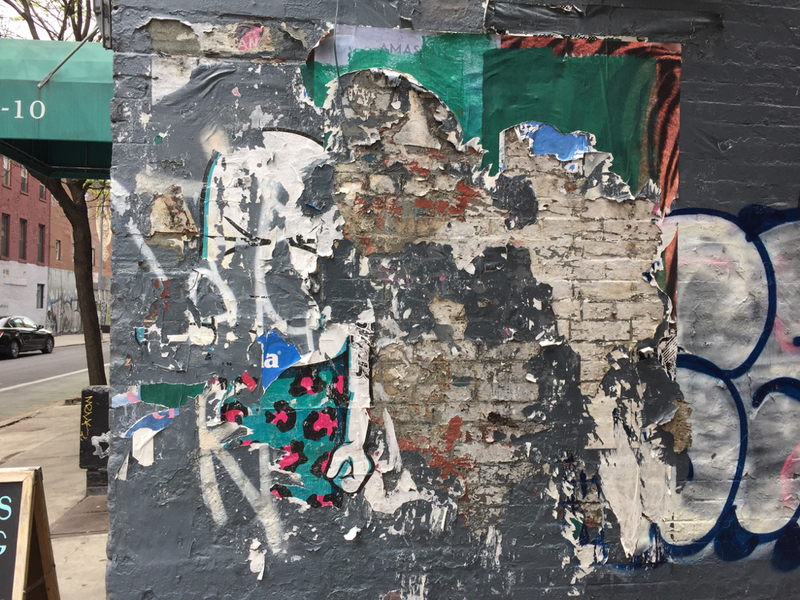 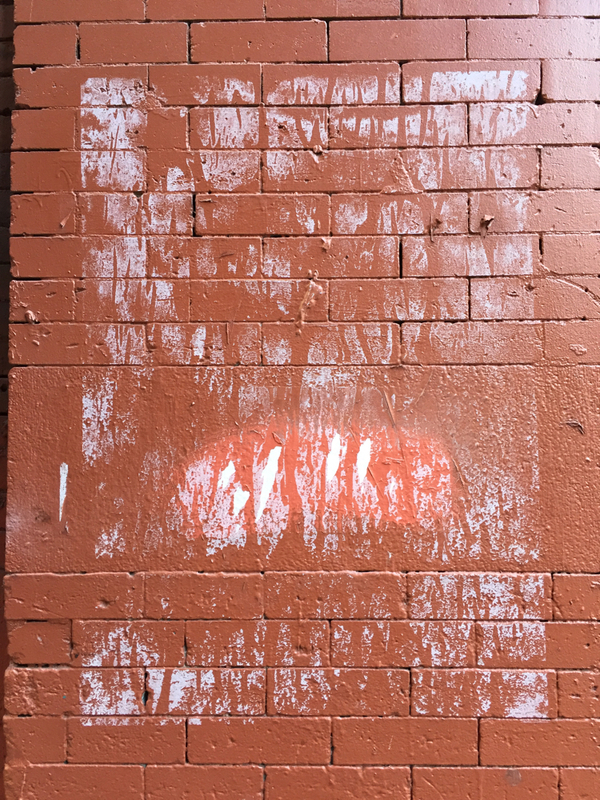 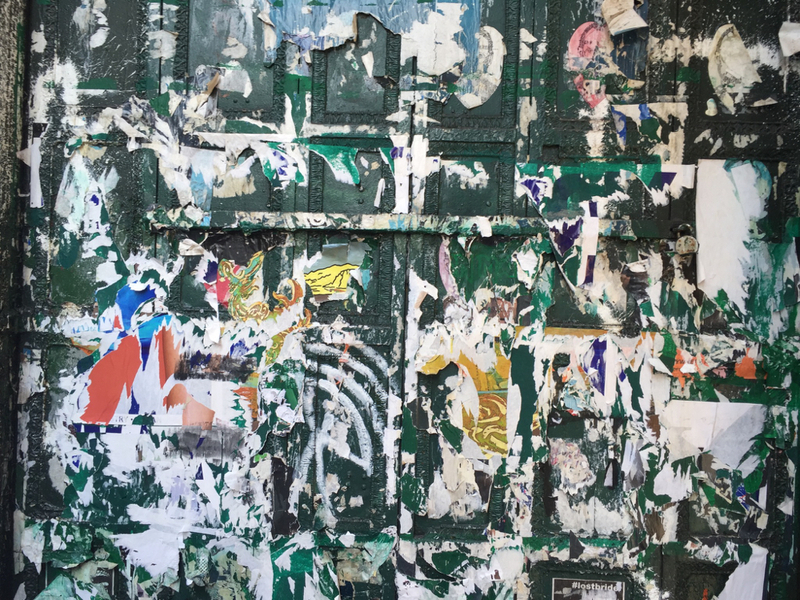 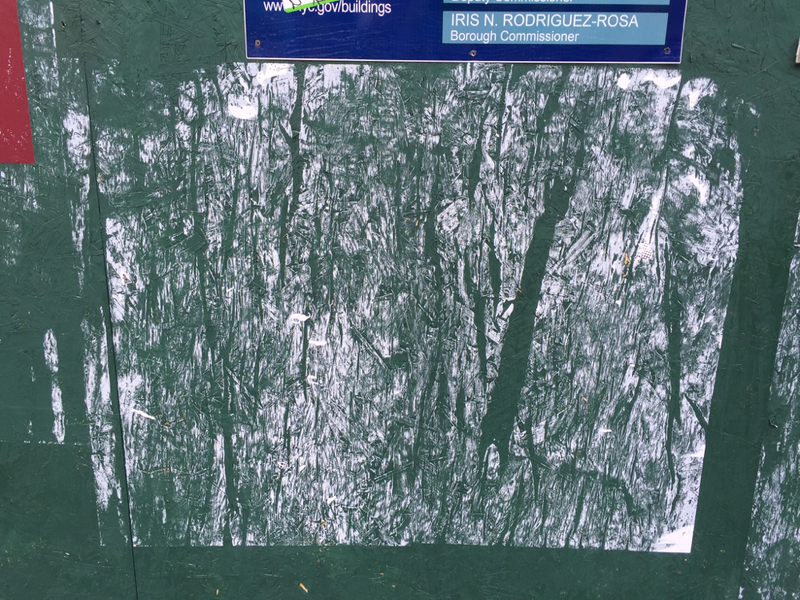 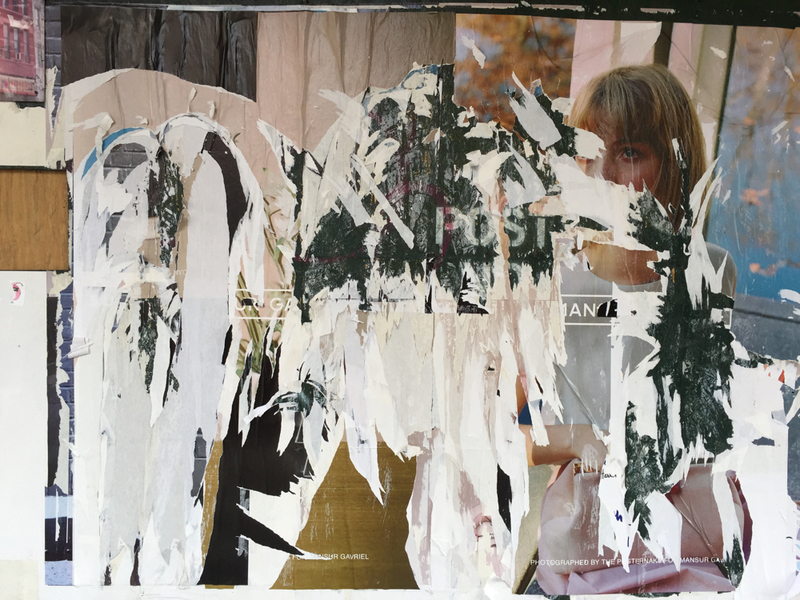 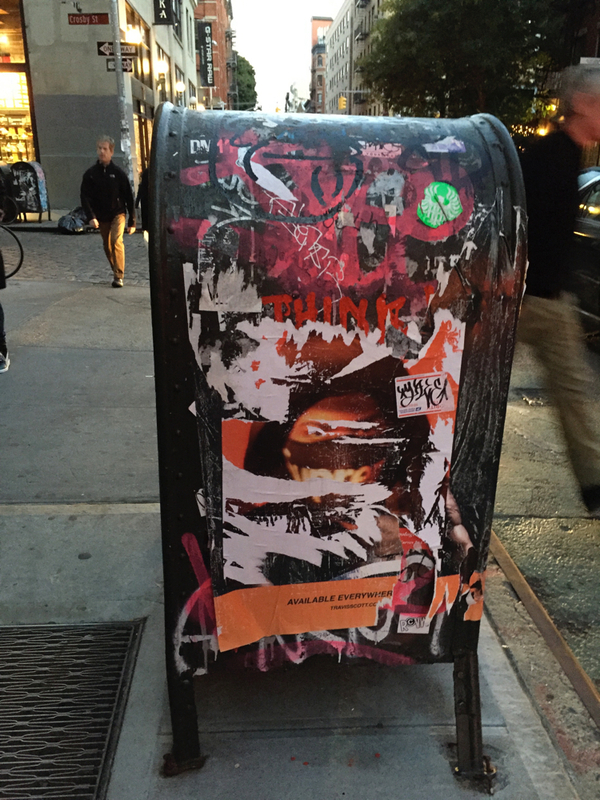 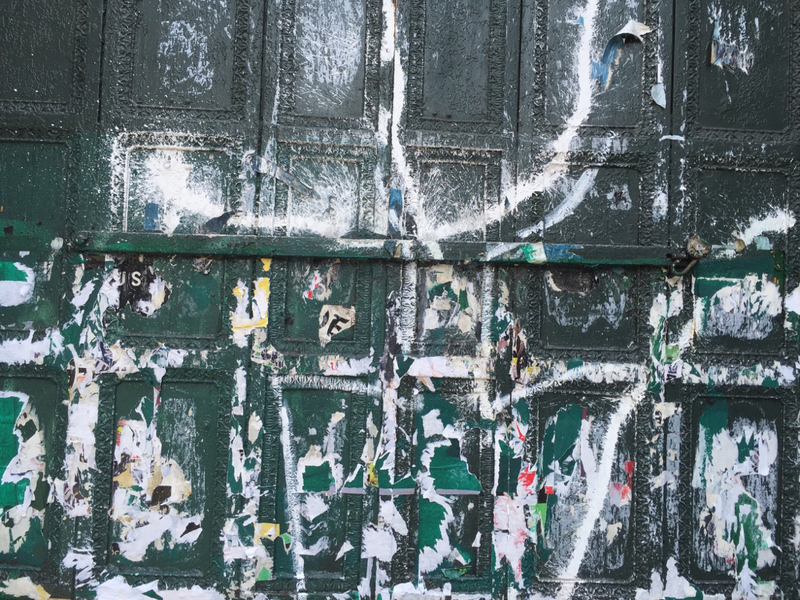 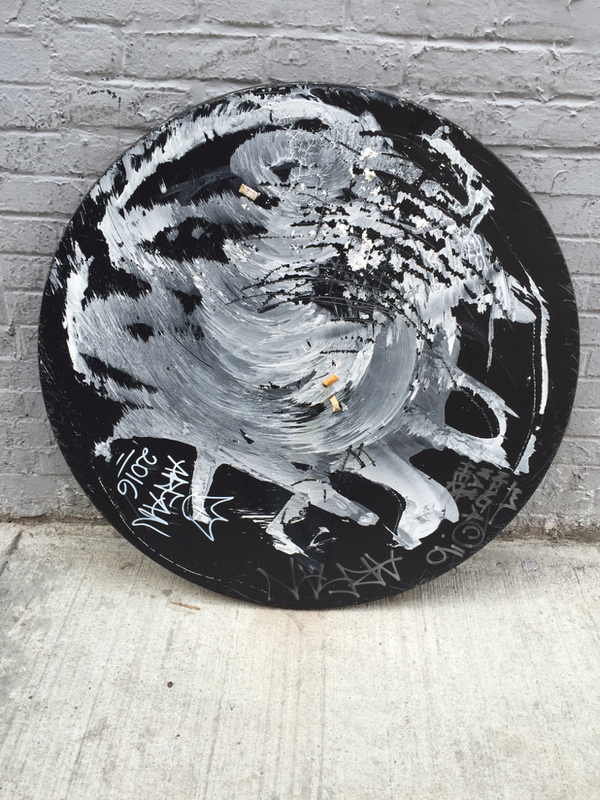 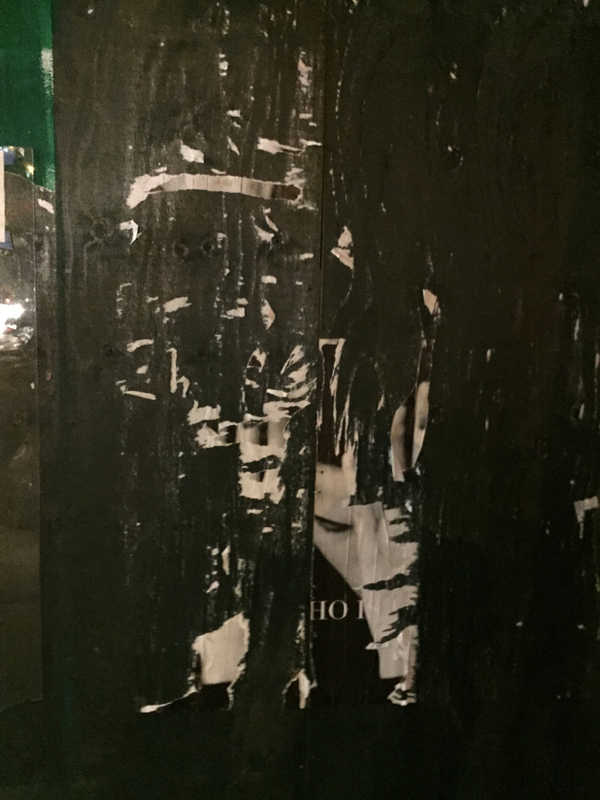 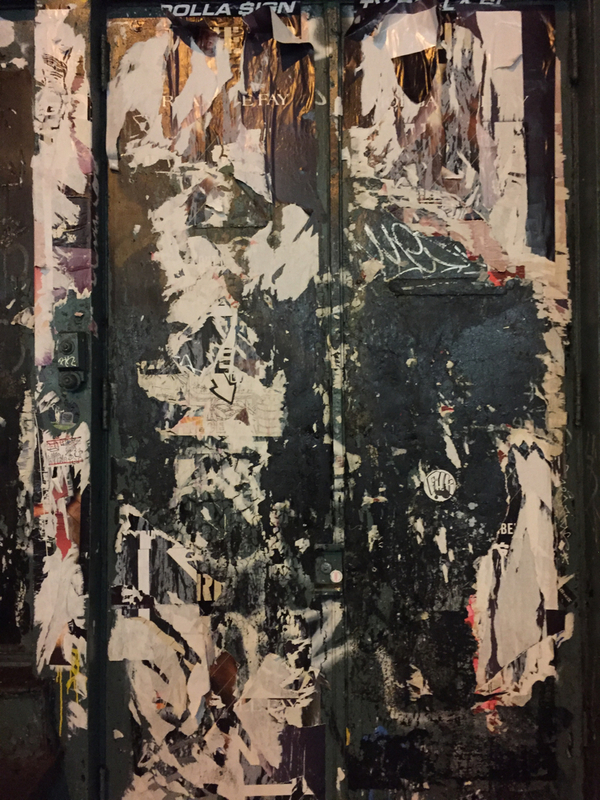 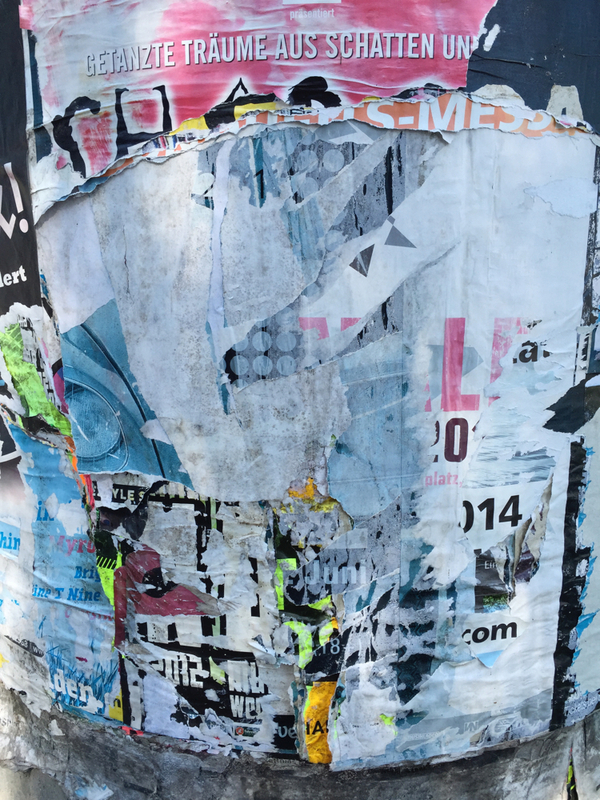 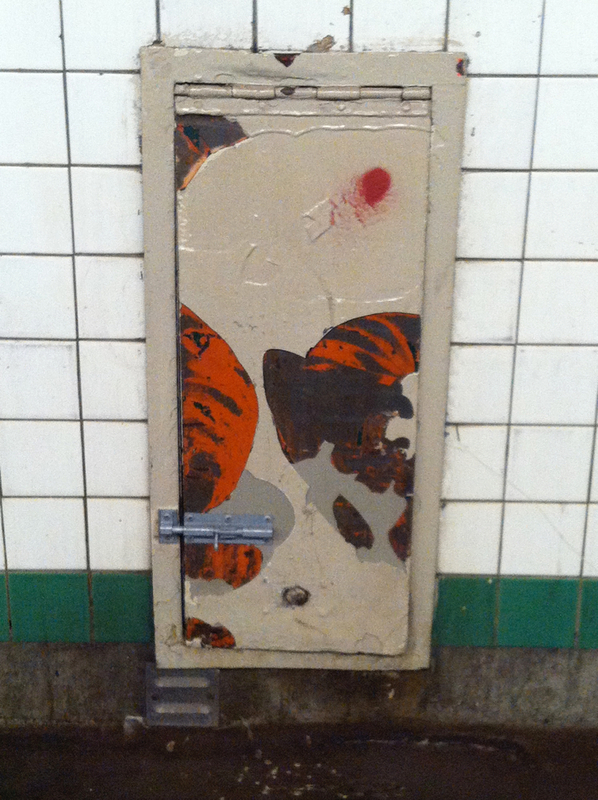 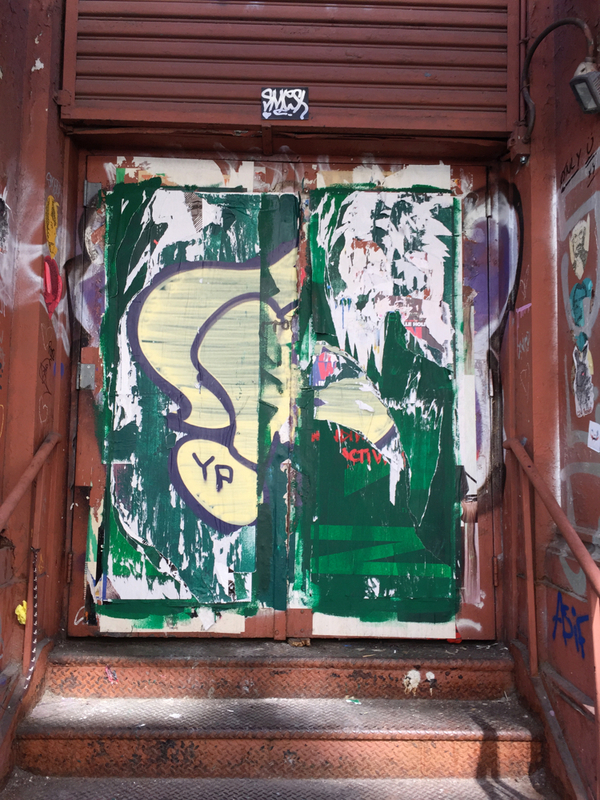 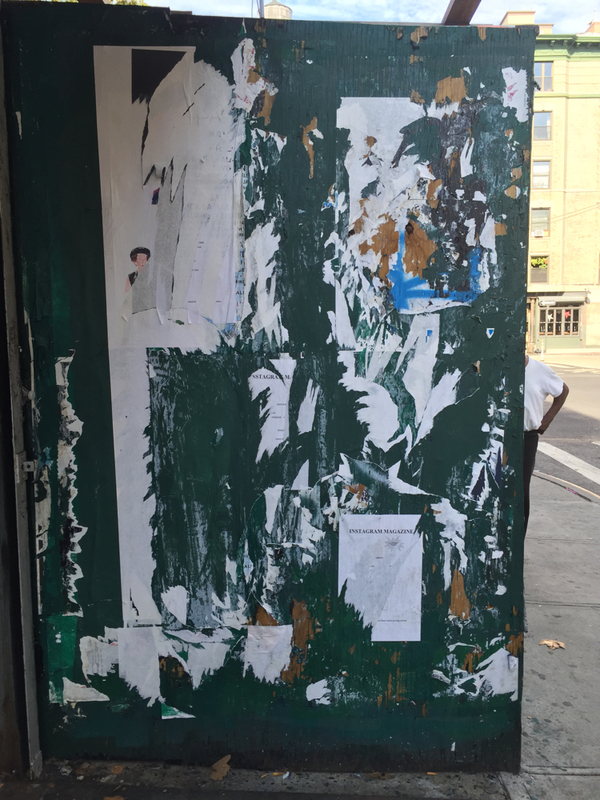 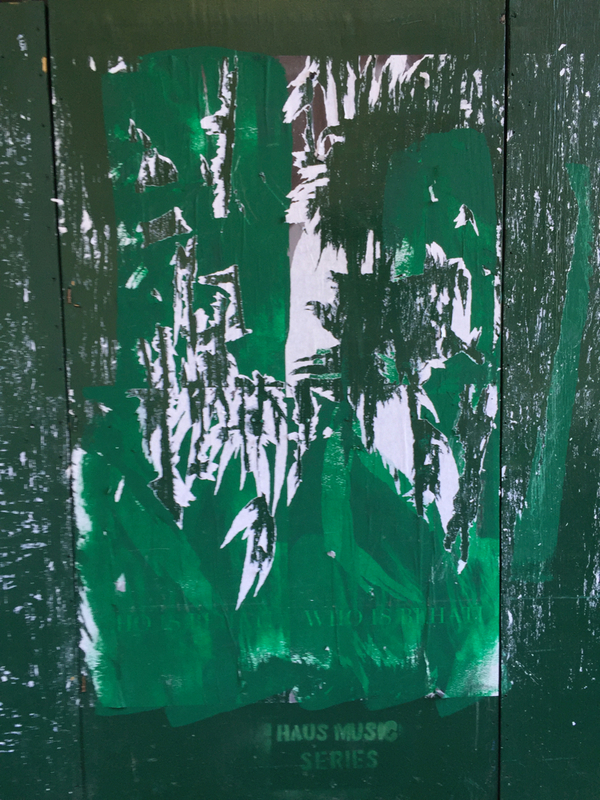 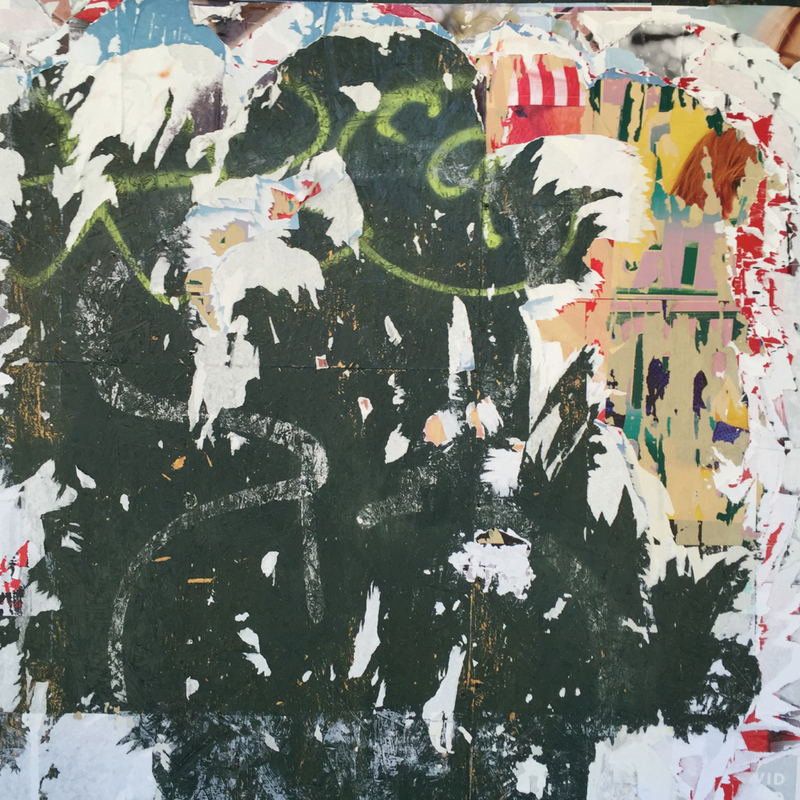 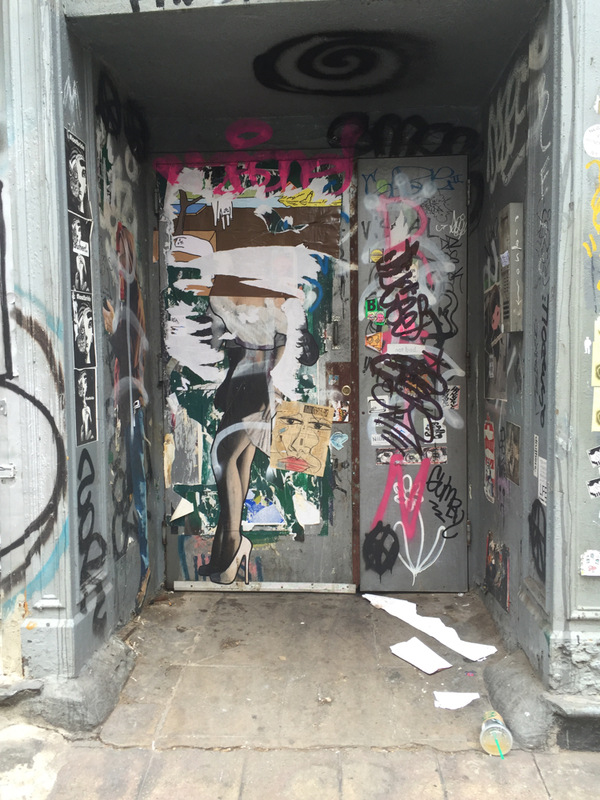 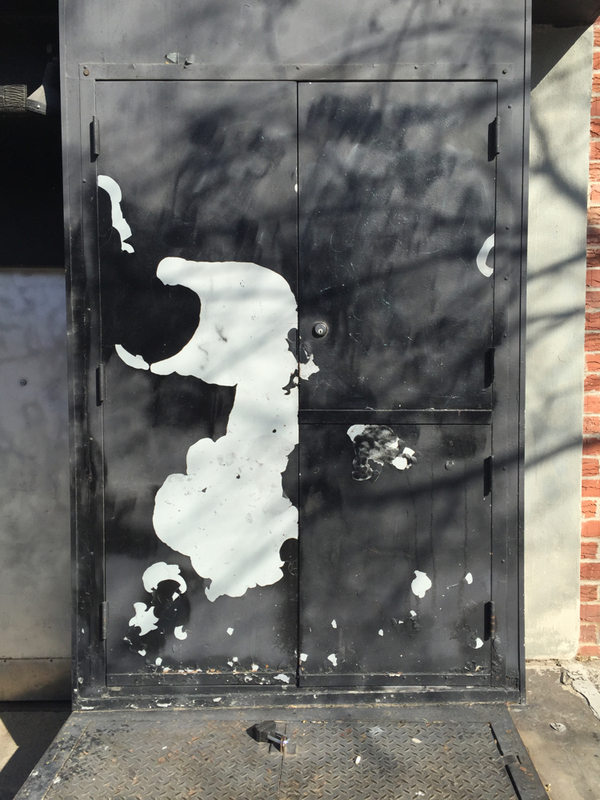 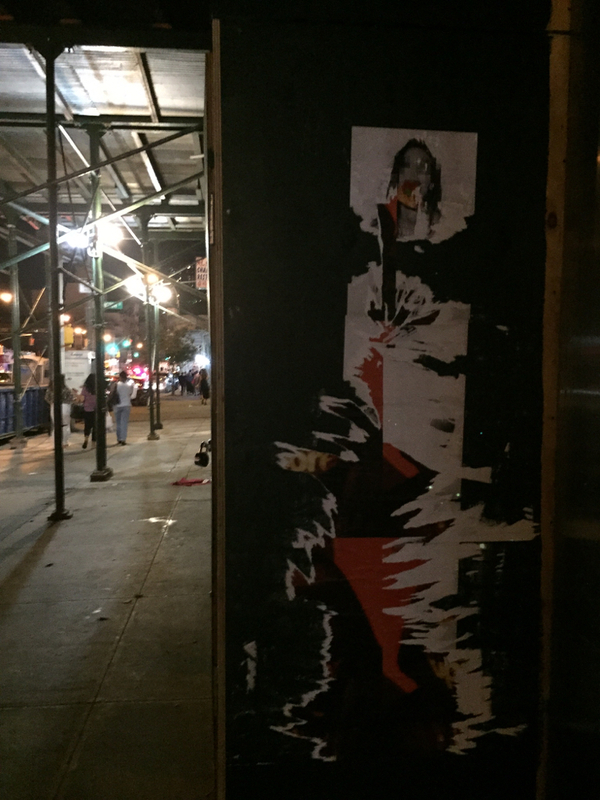 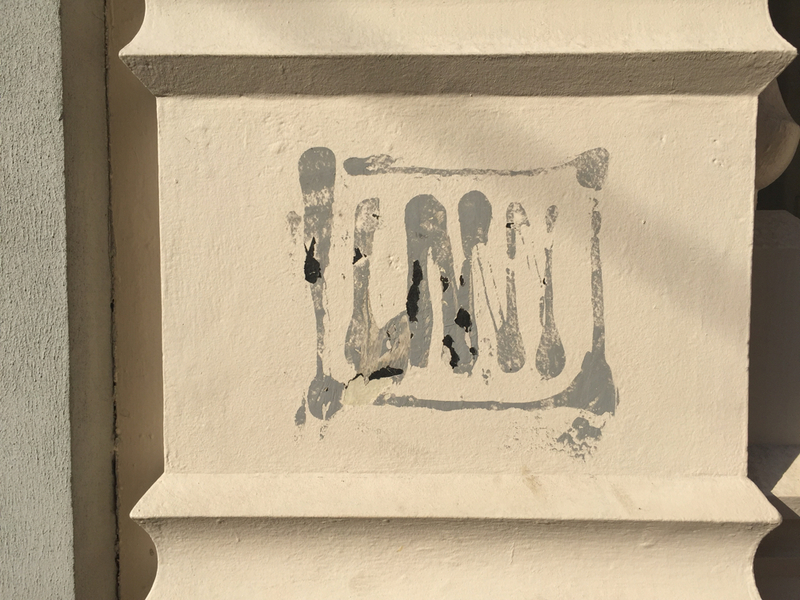 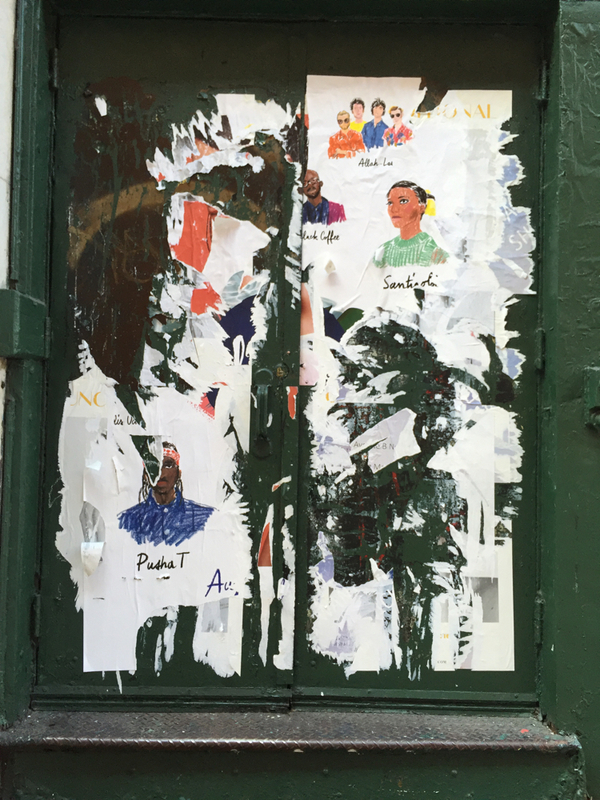 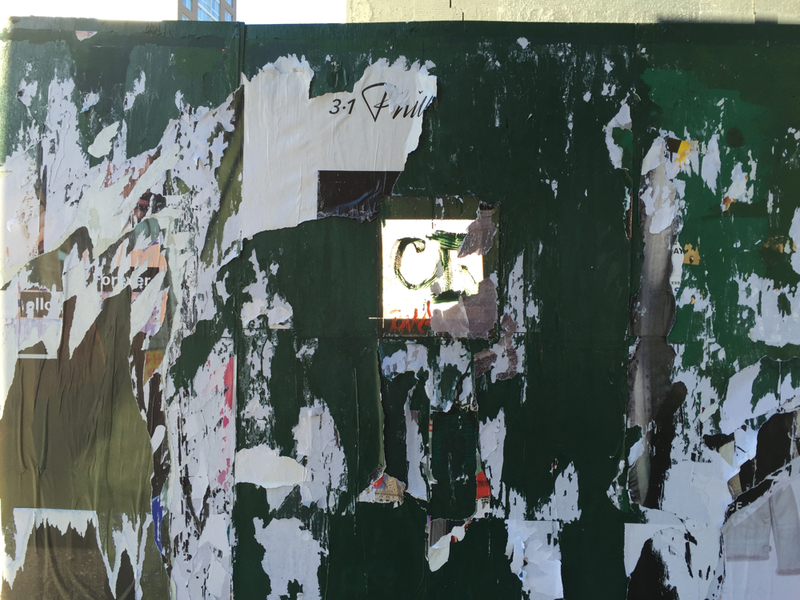 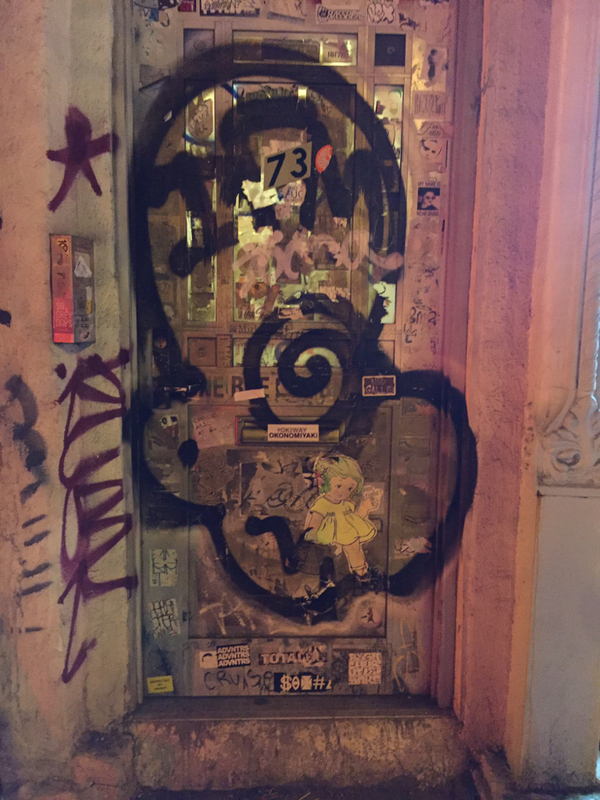 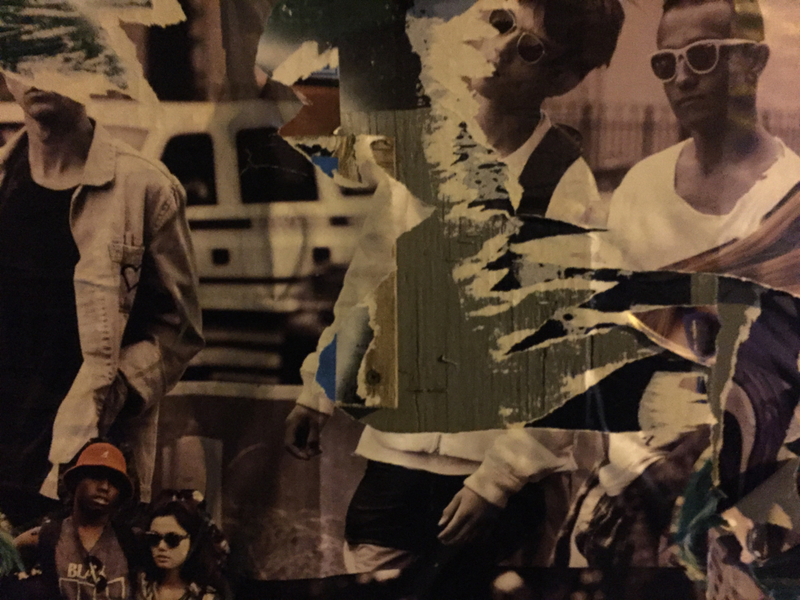 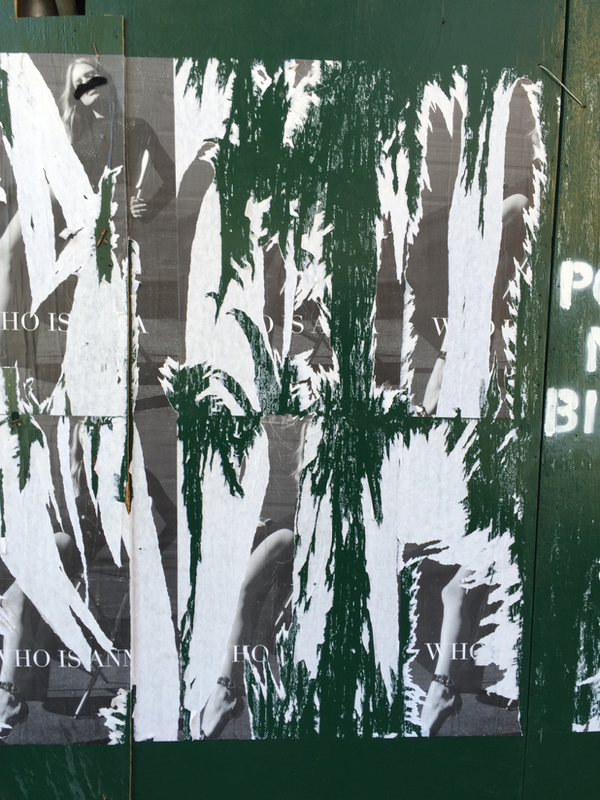 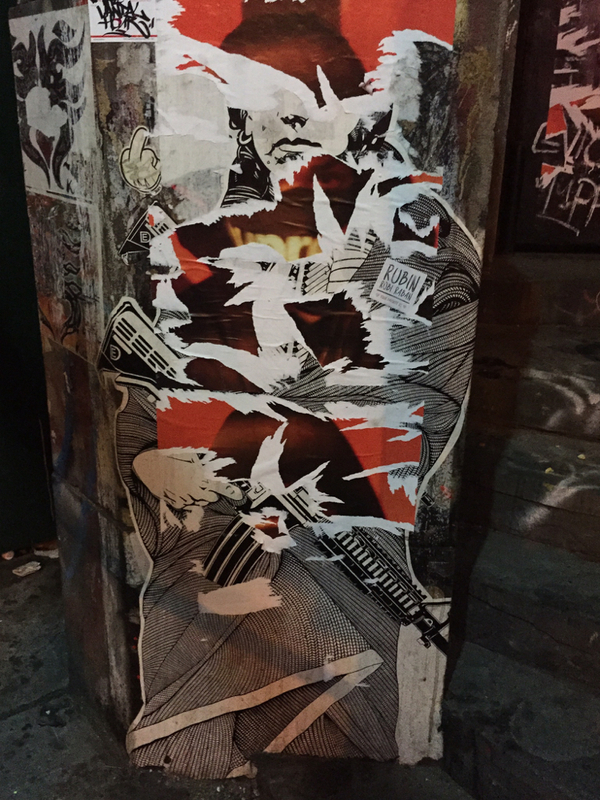 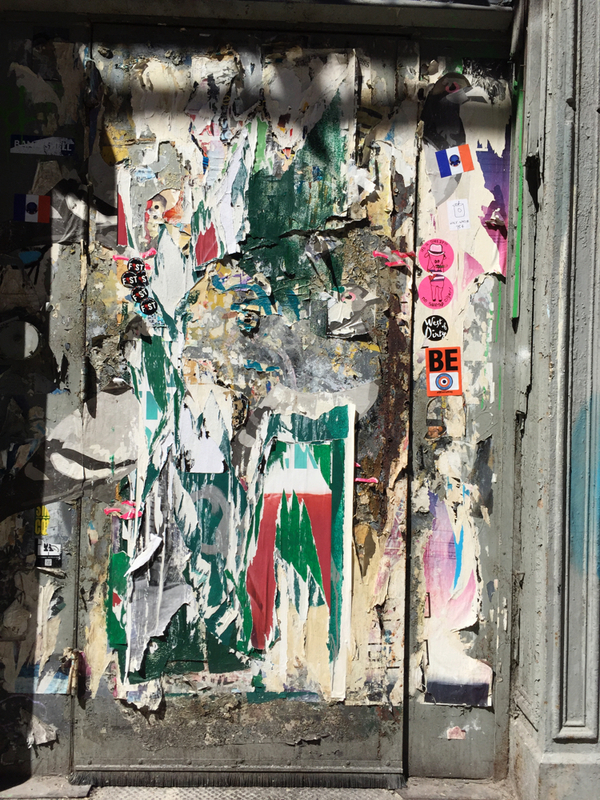 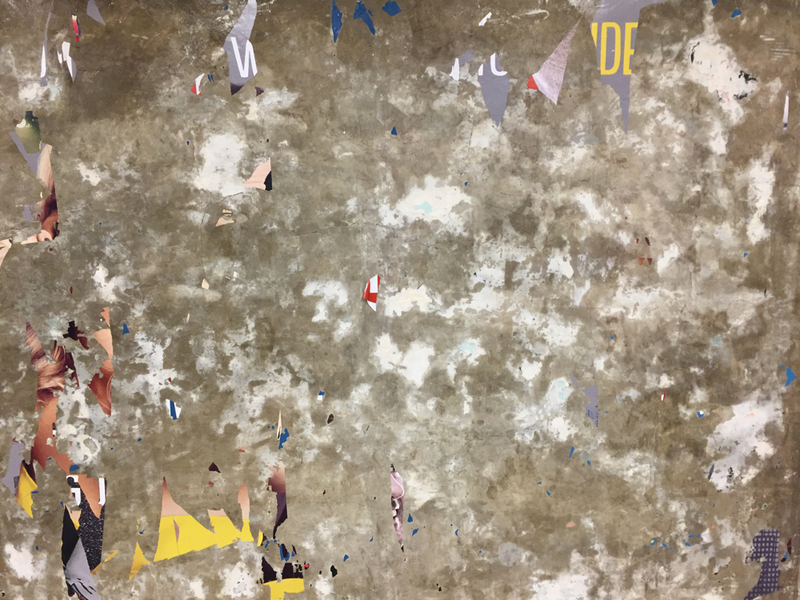 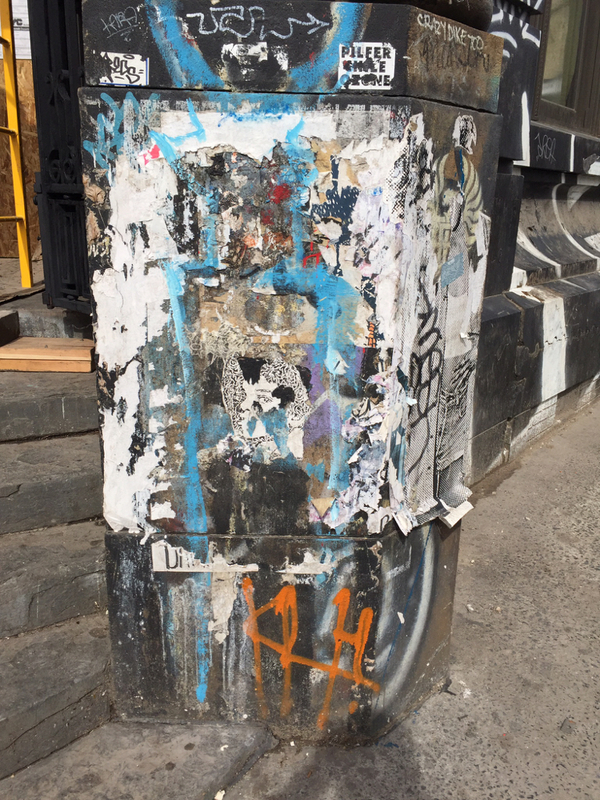 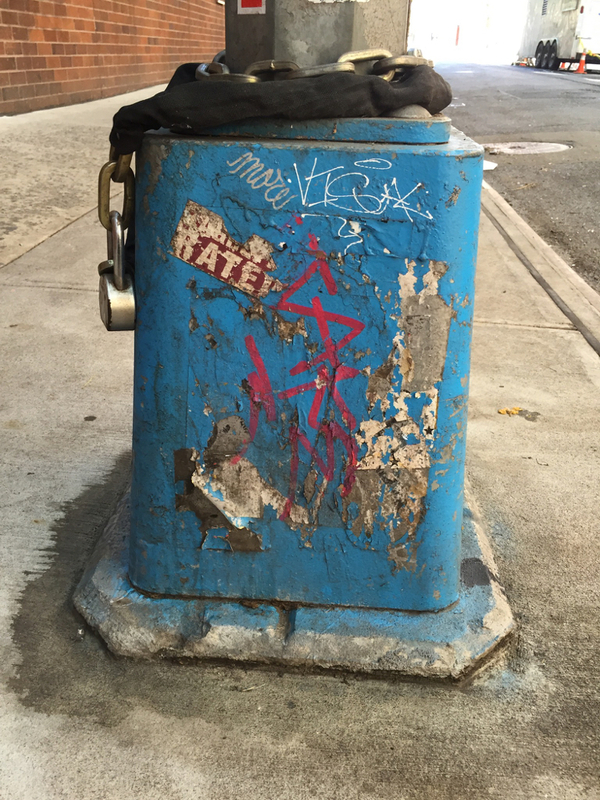 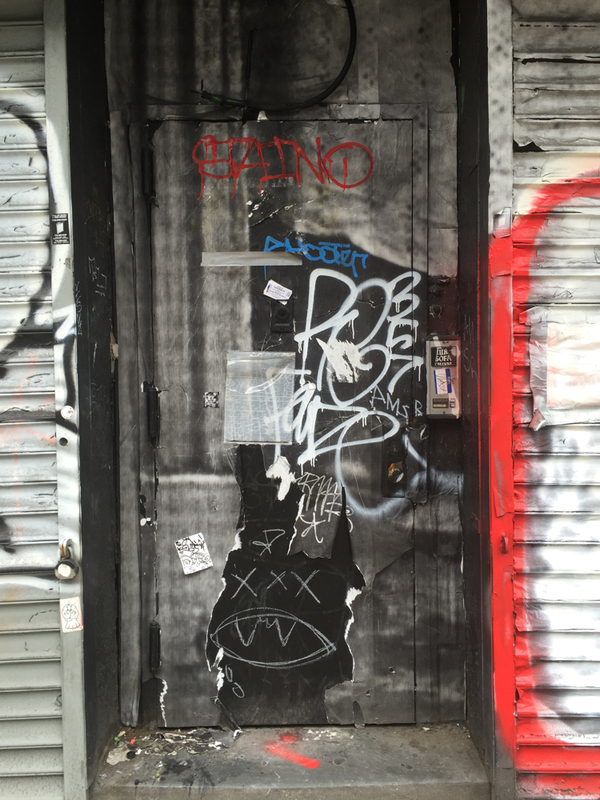 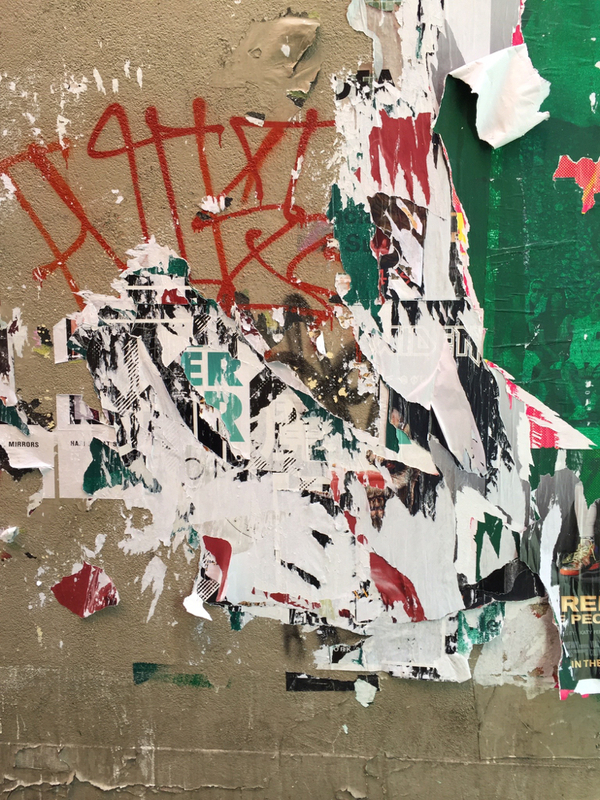 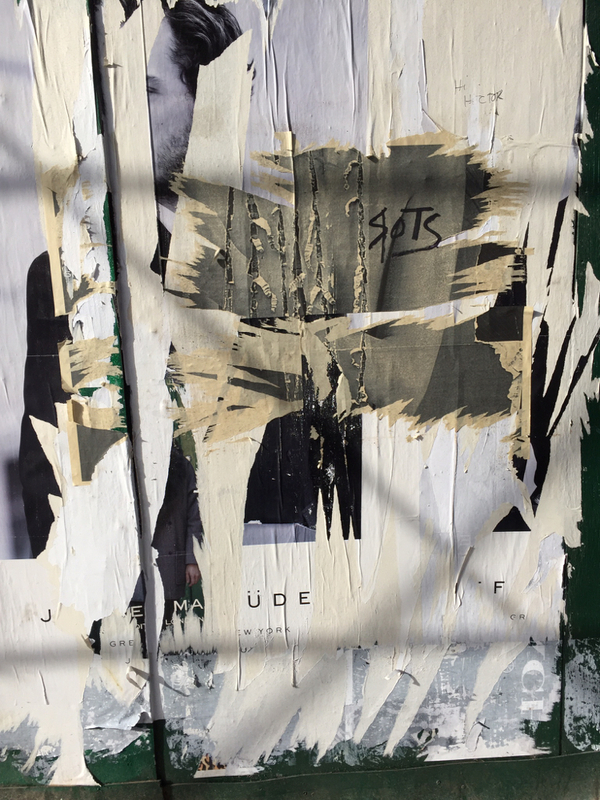 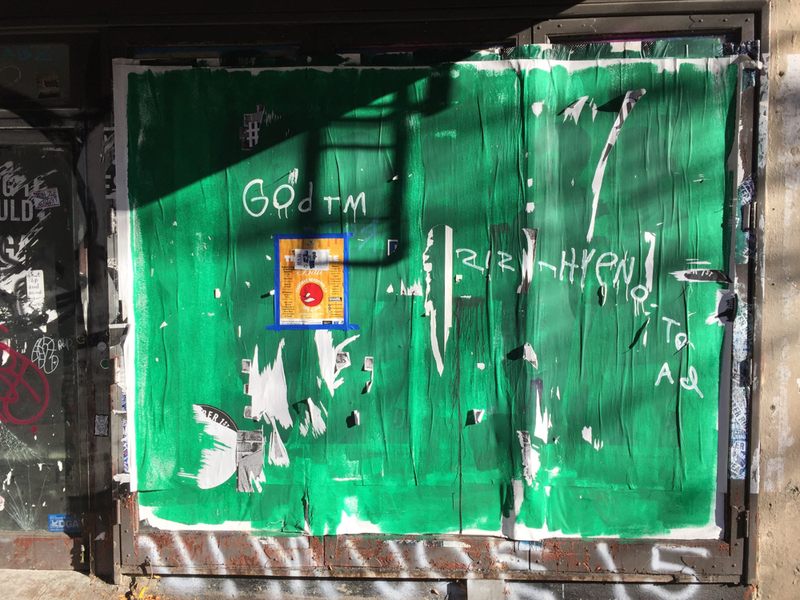 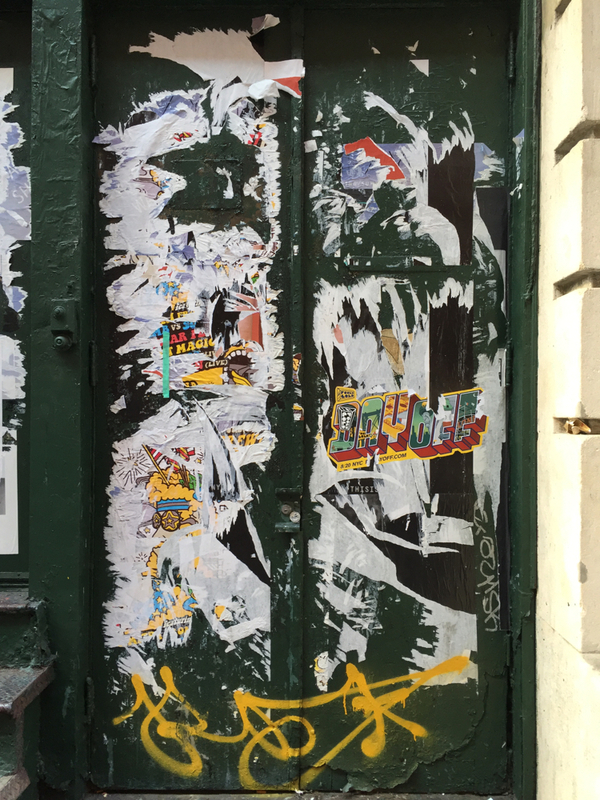 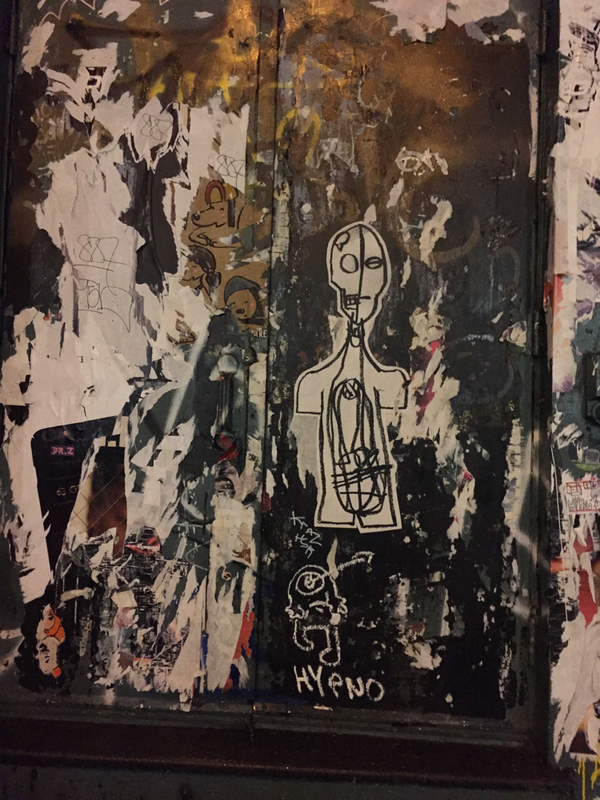 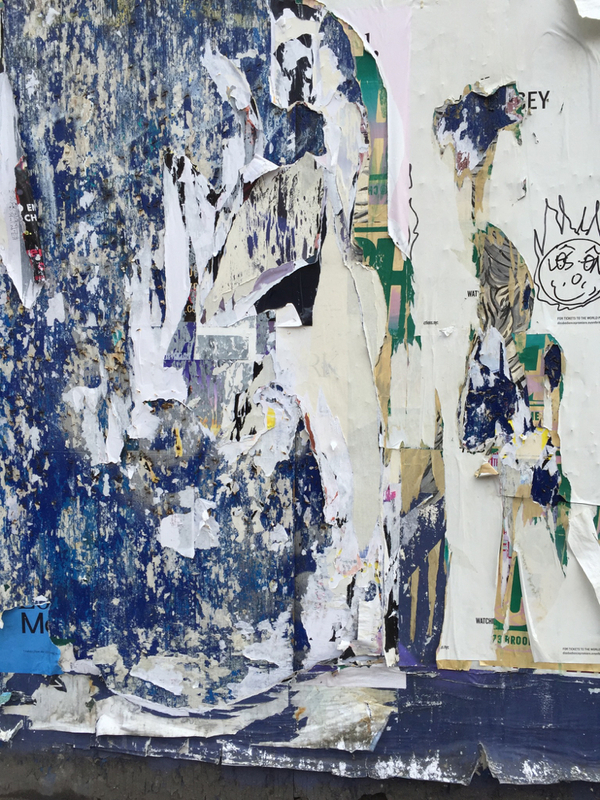 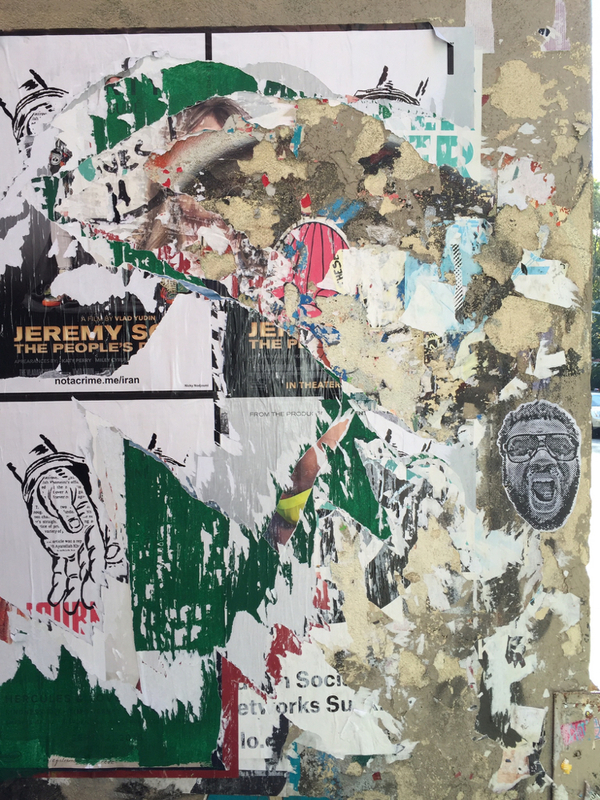 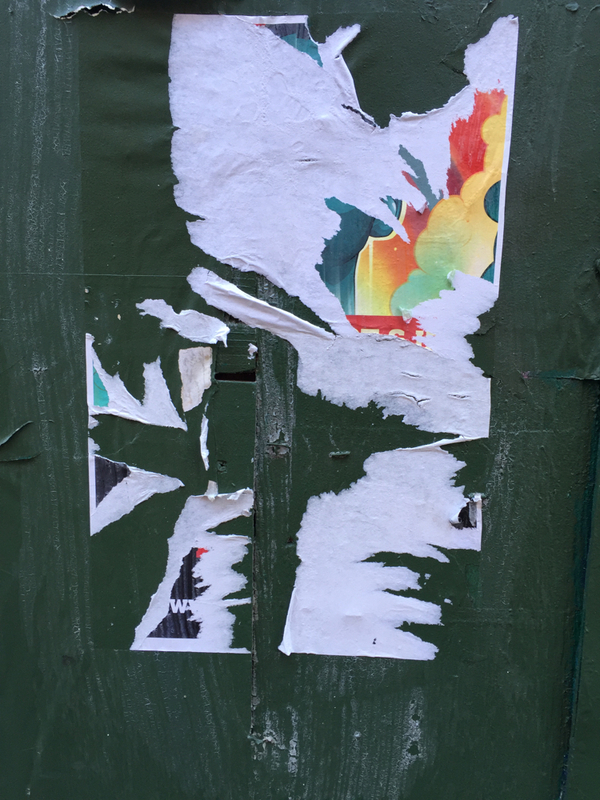 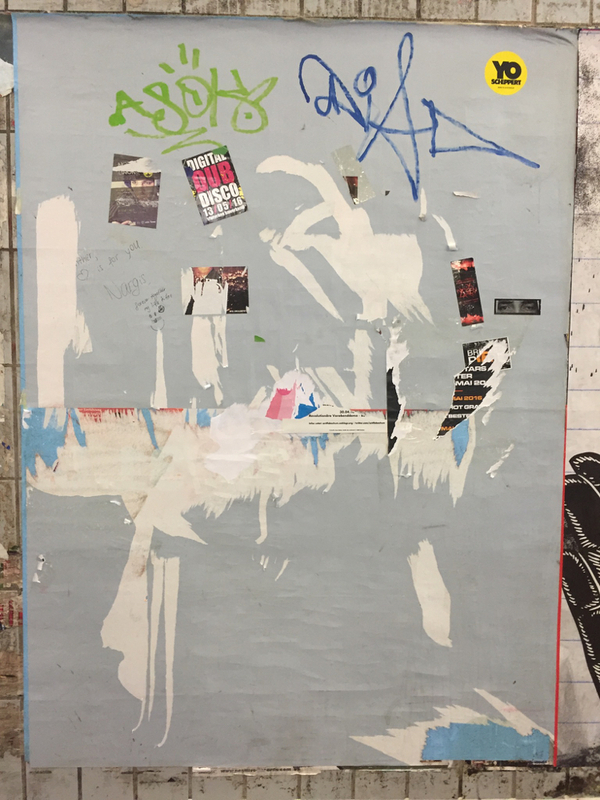 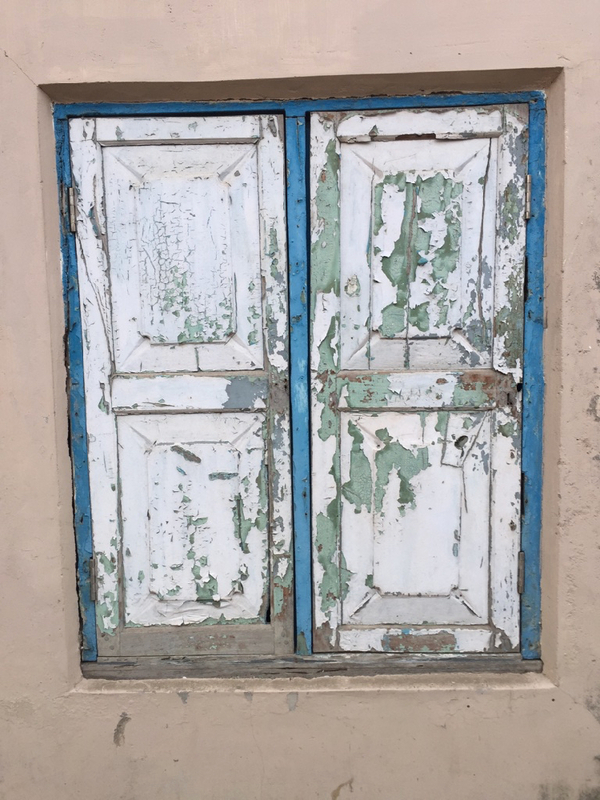 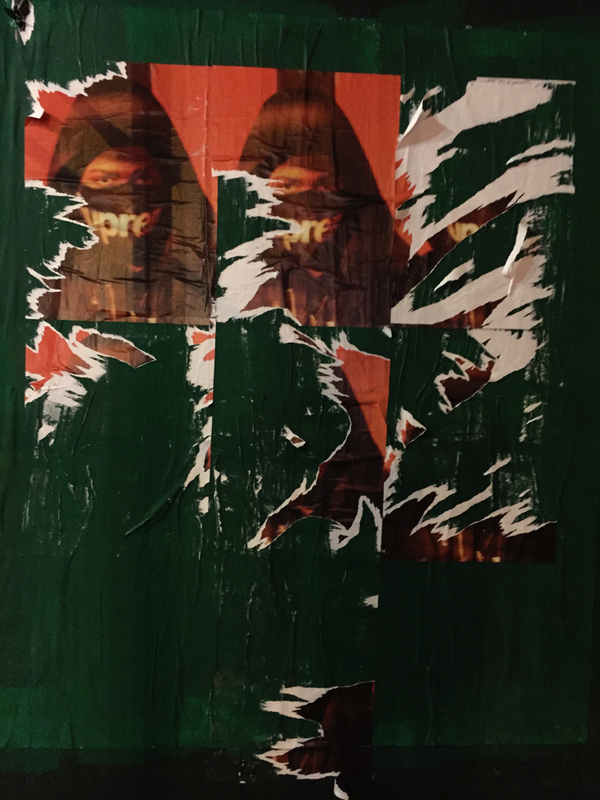 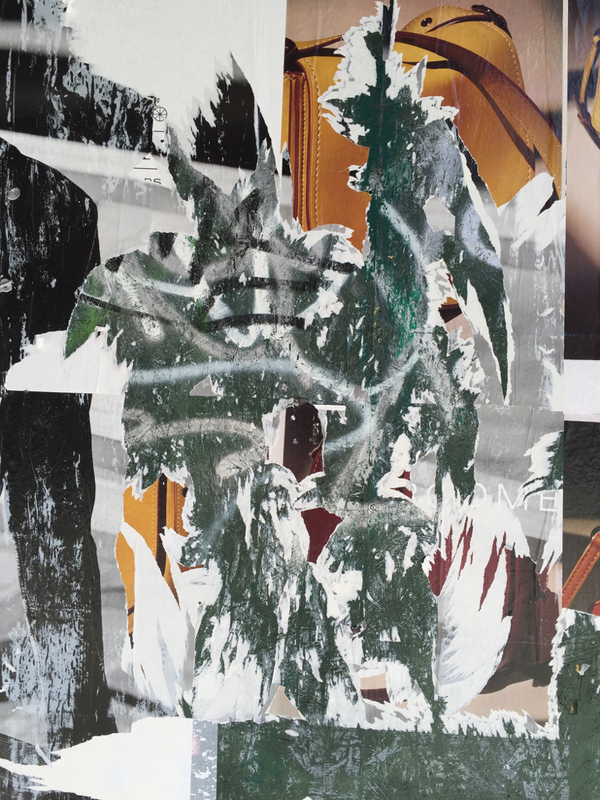 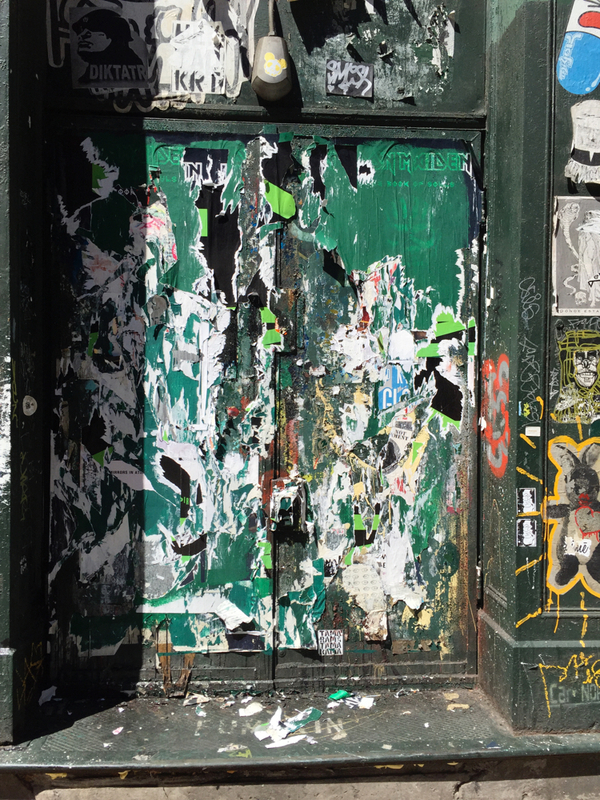 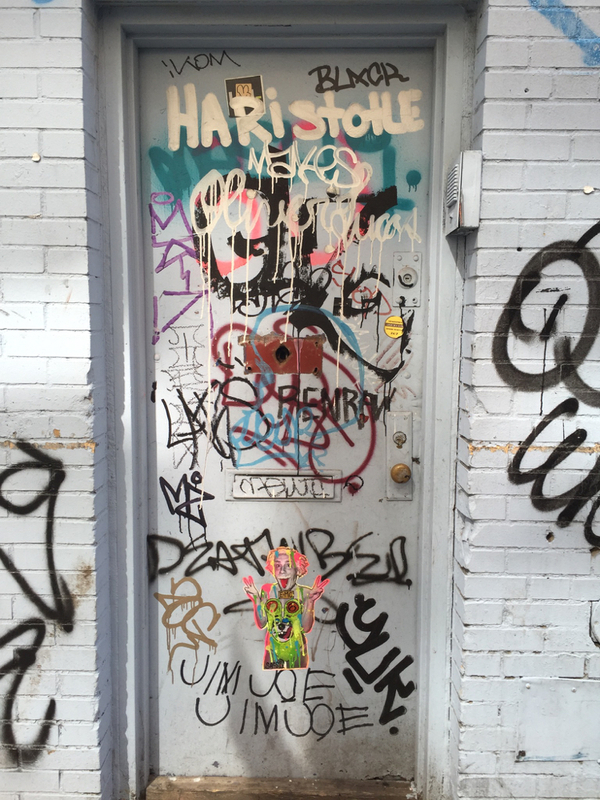 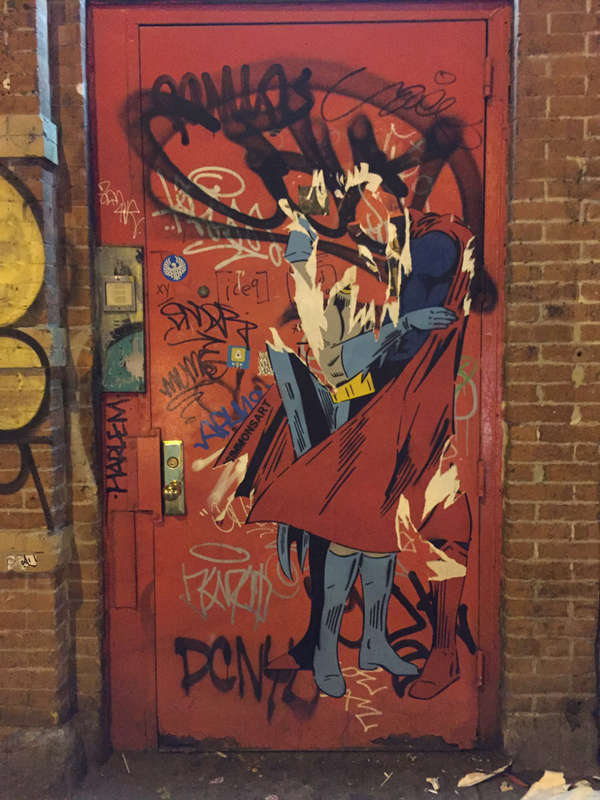 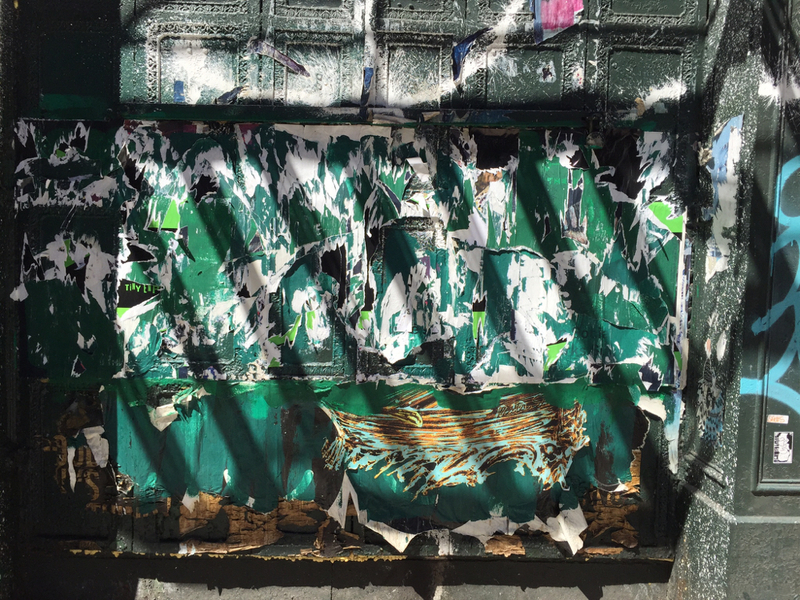 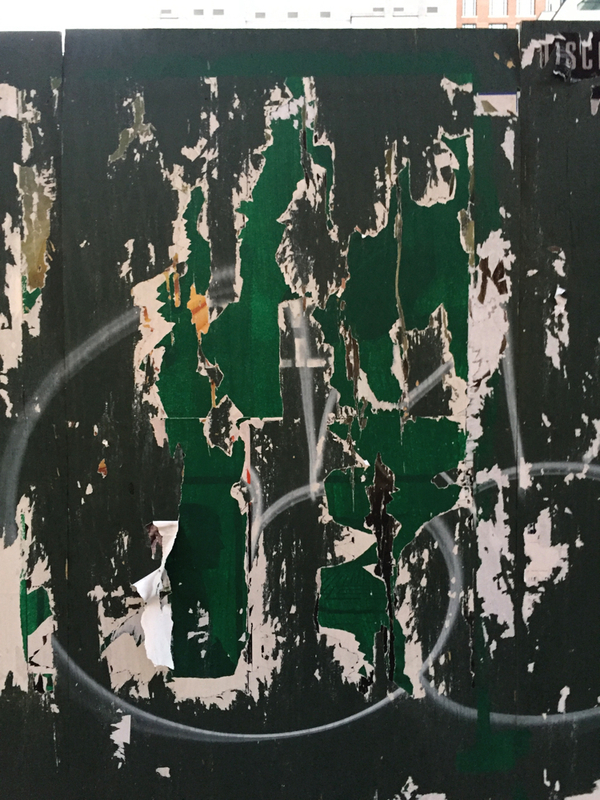 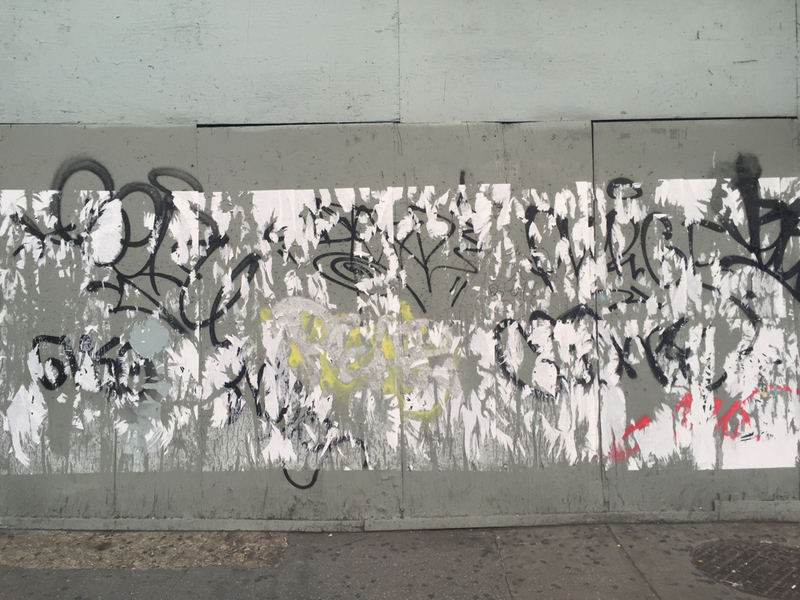 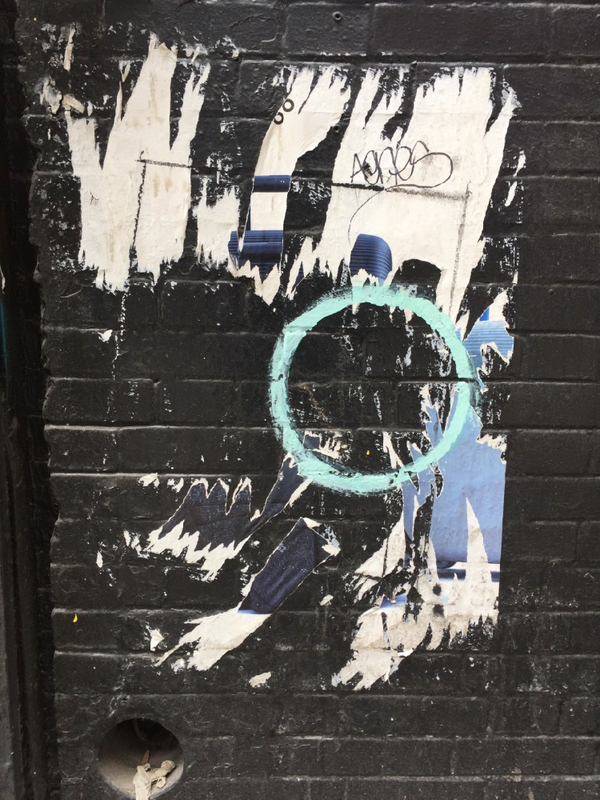 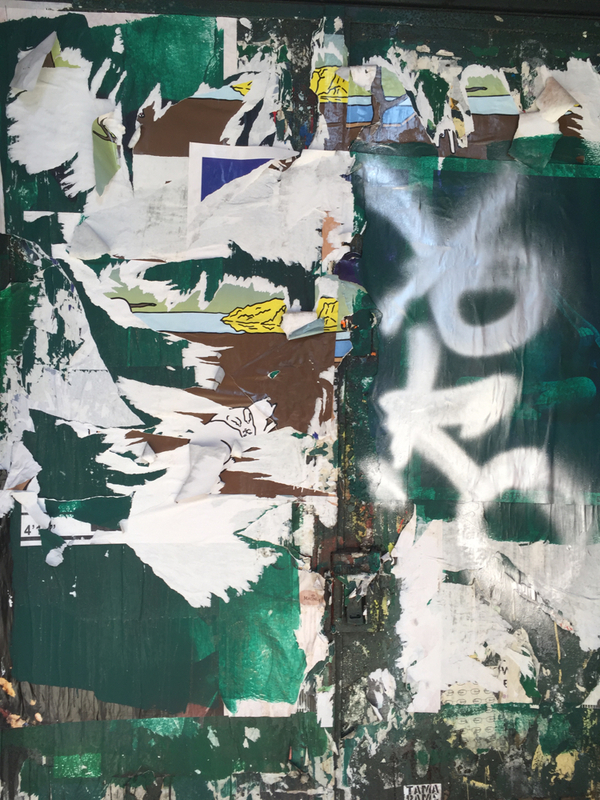 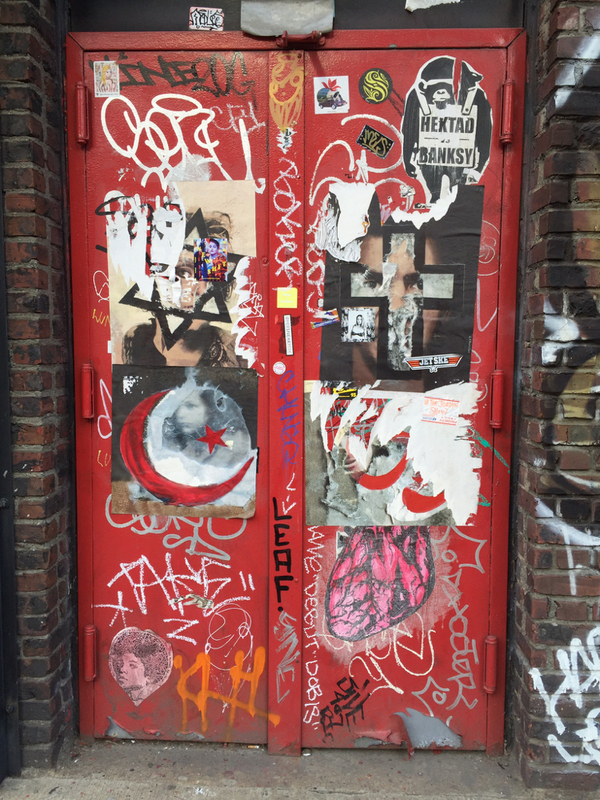 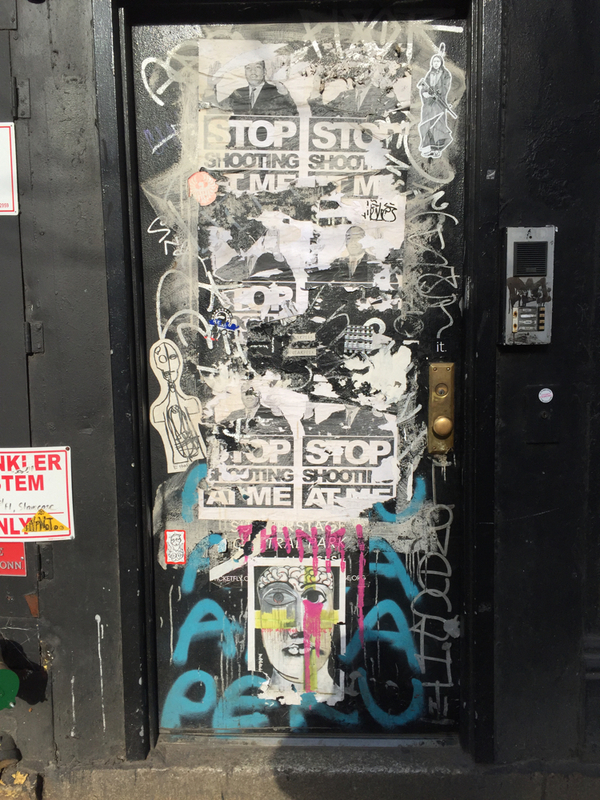 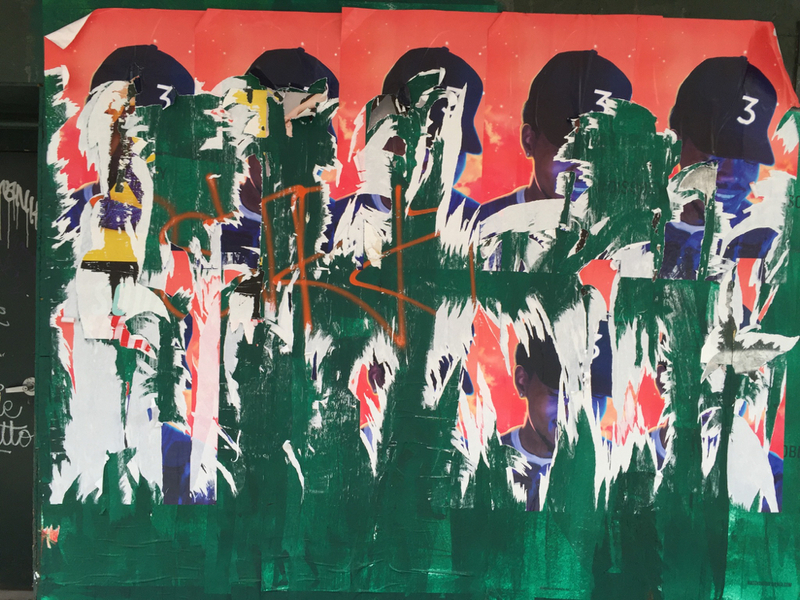 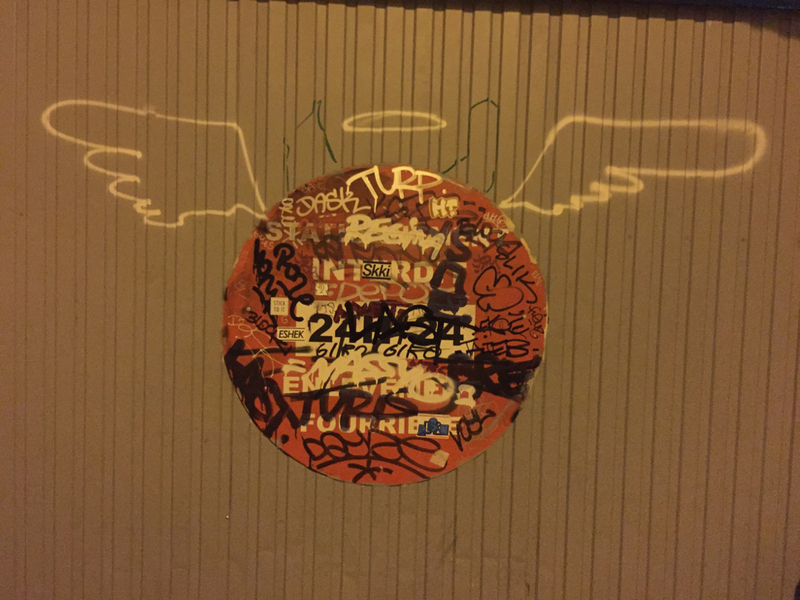 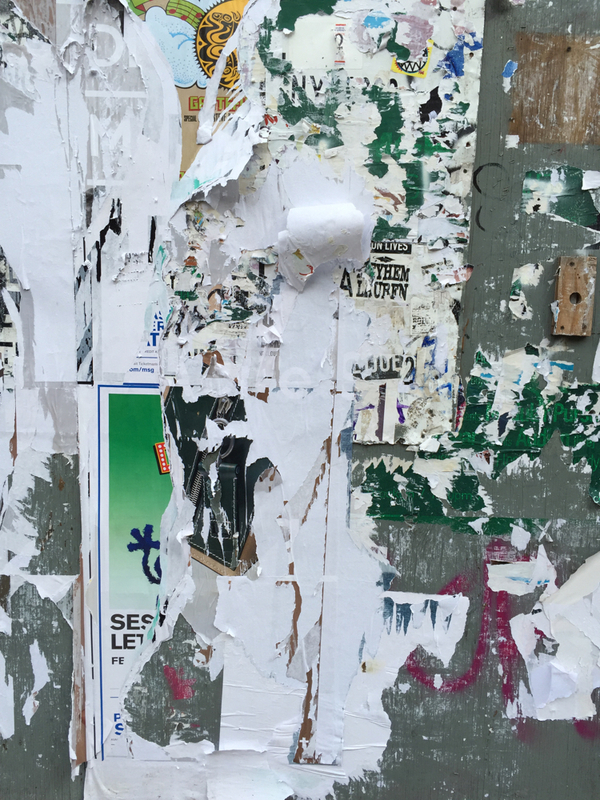 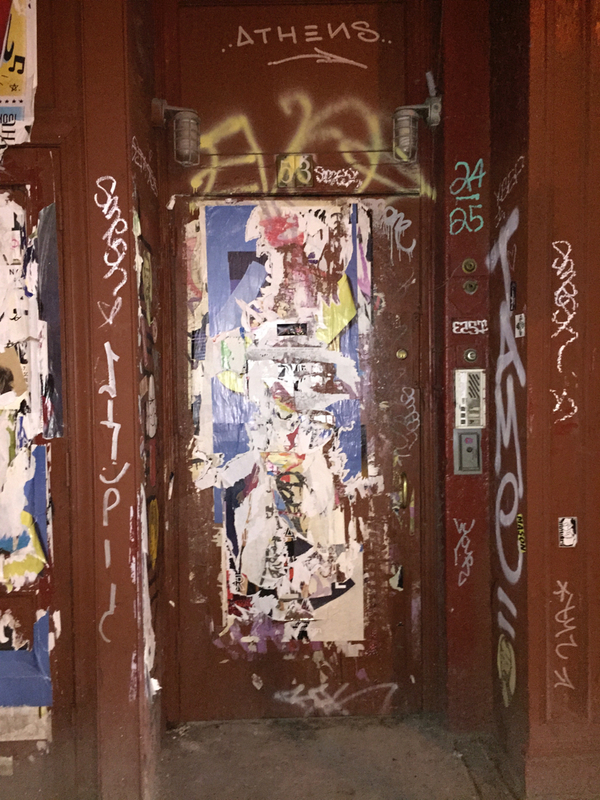 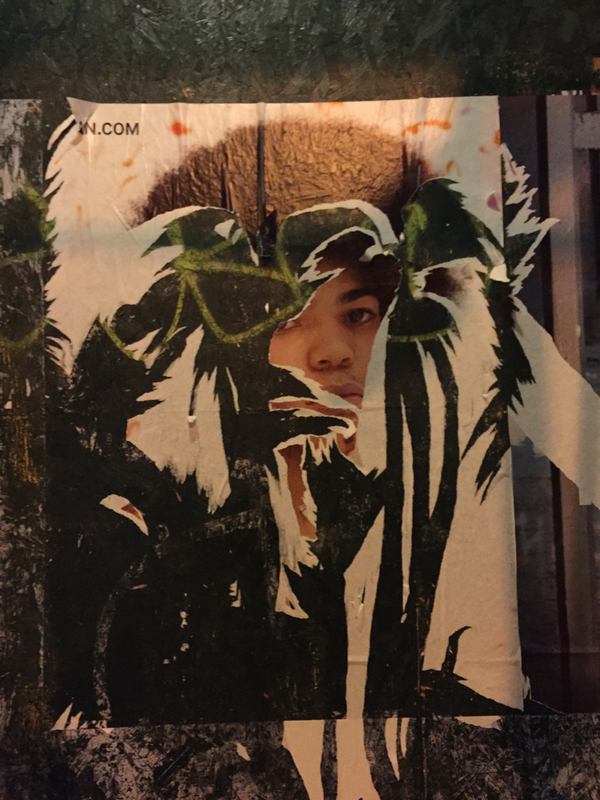 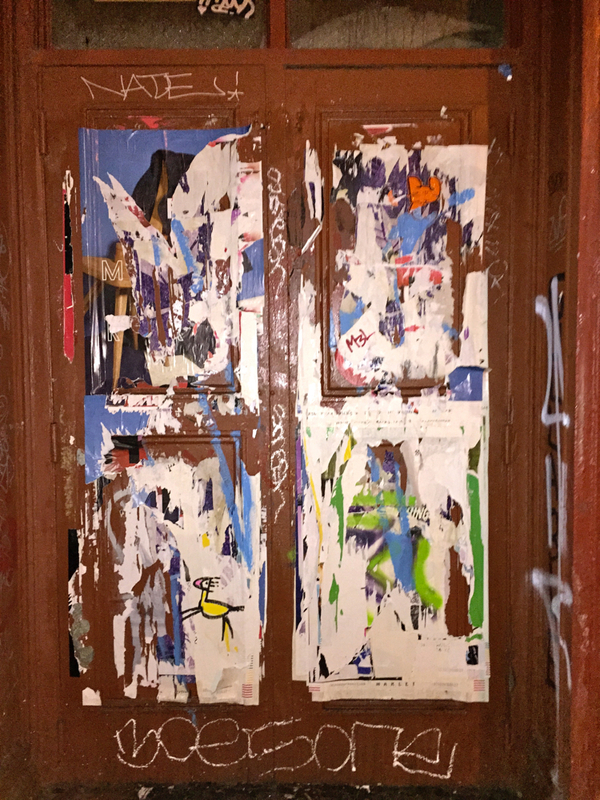 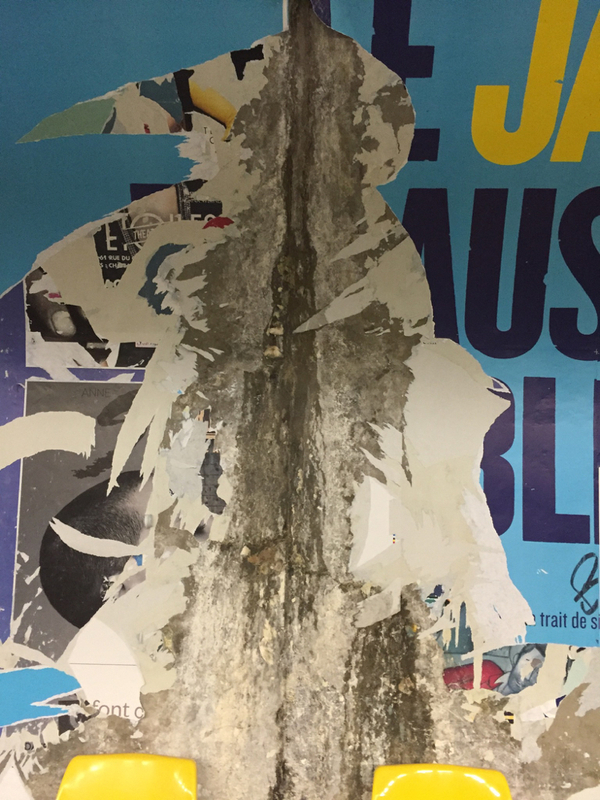 These are images of doors, mailboxes, light posts, construction sheds and walls that have been postered, painted, graffitied, and then distorted by people ripping at them, the weather, and other elements at work. 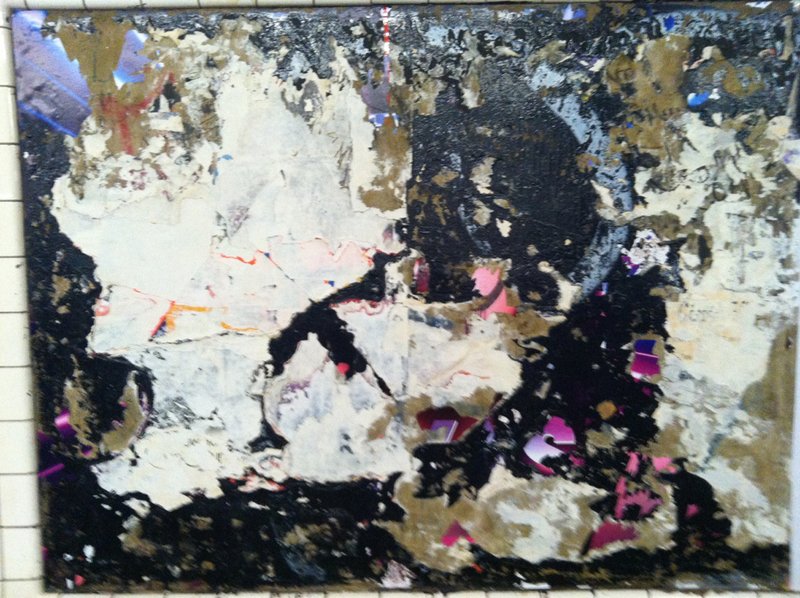 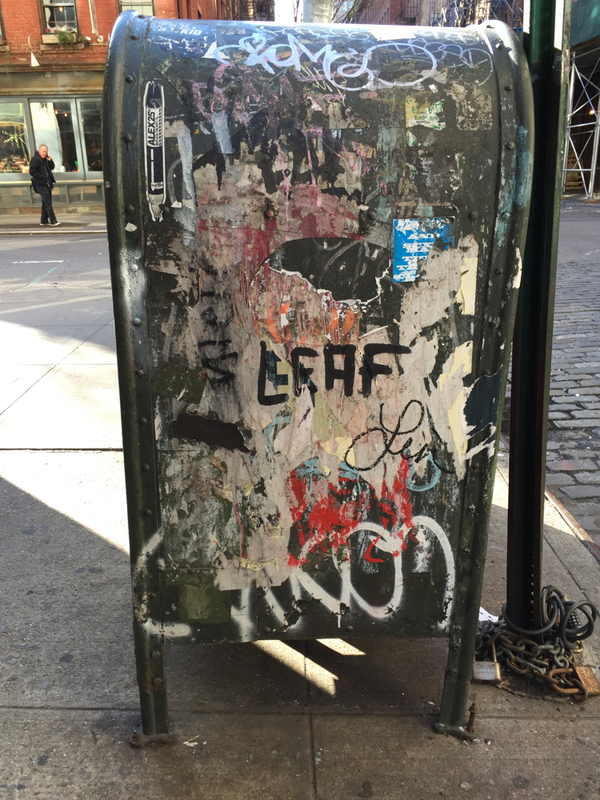 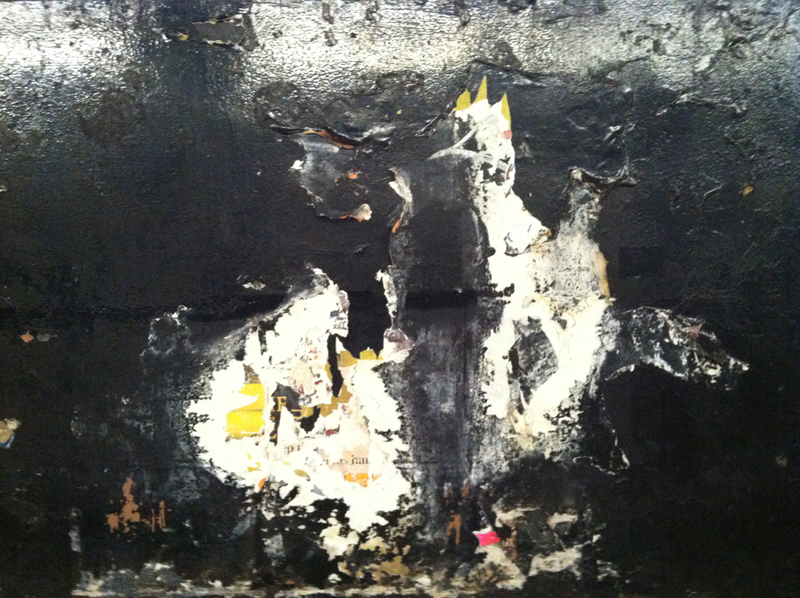 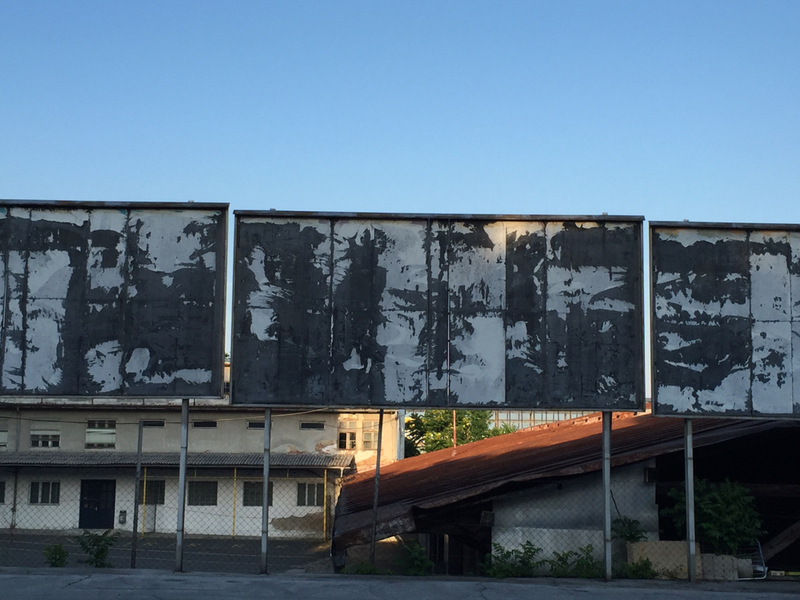 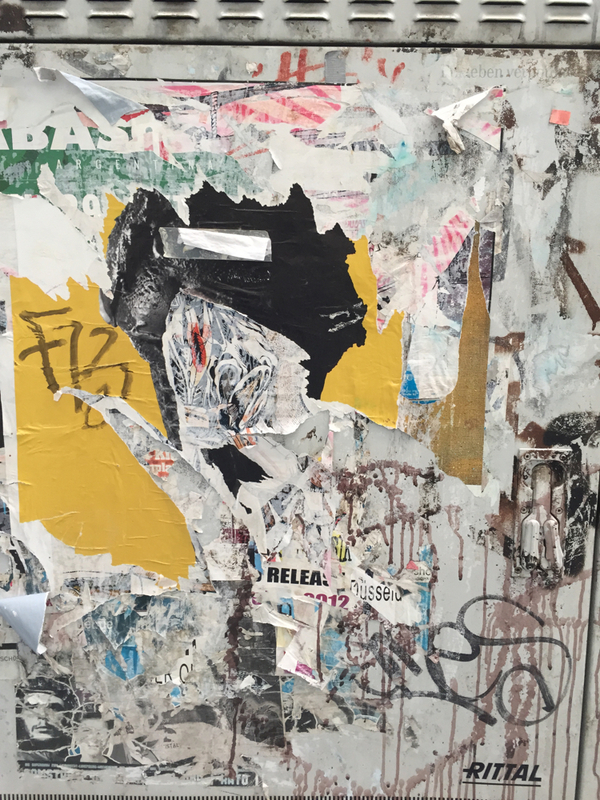 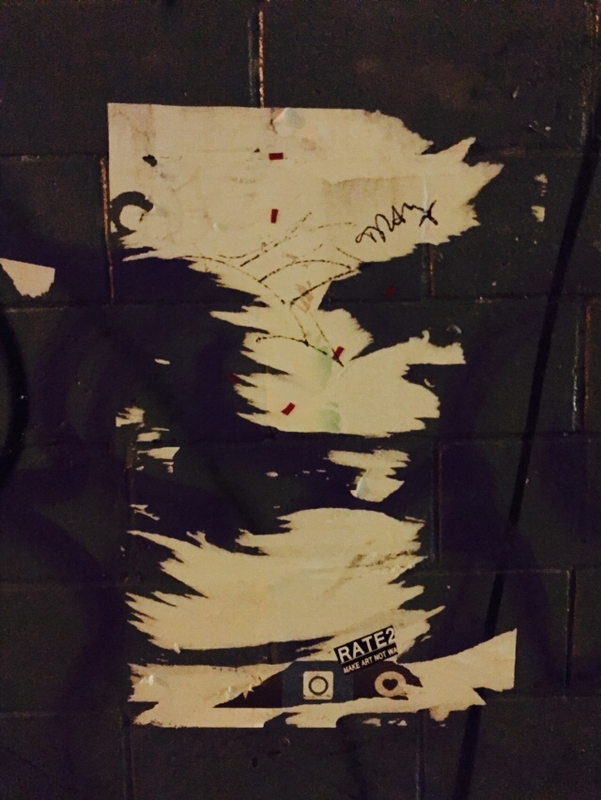 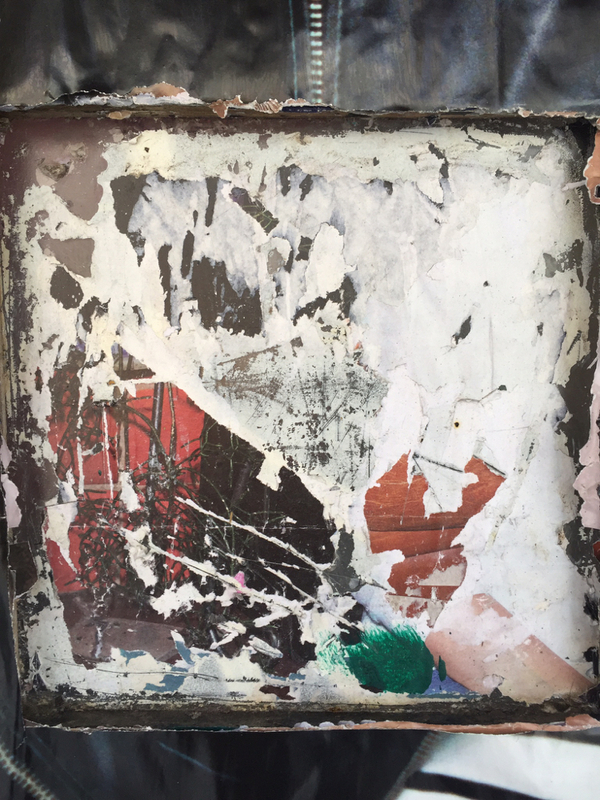 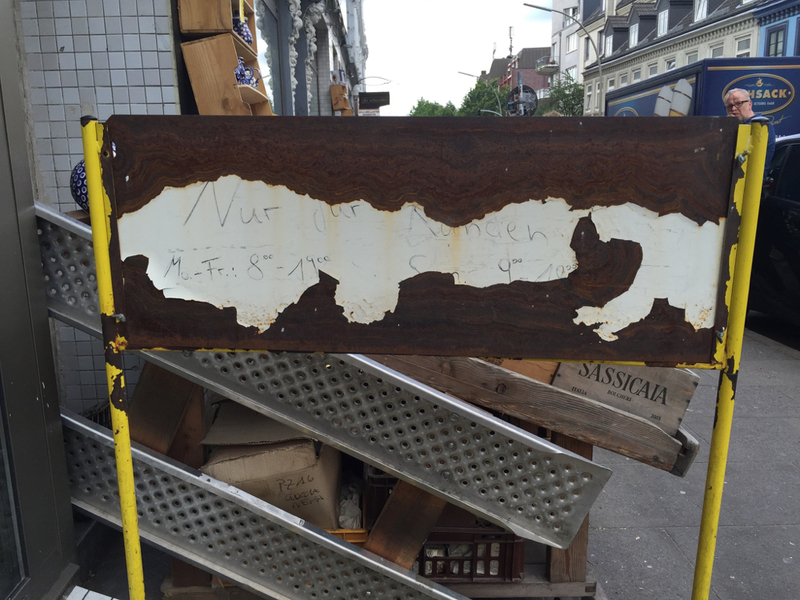 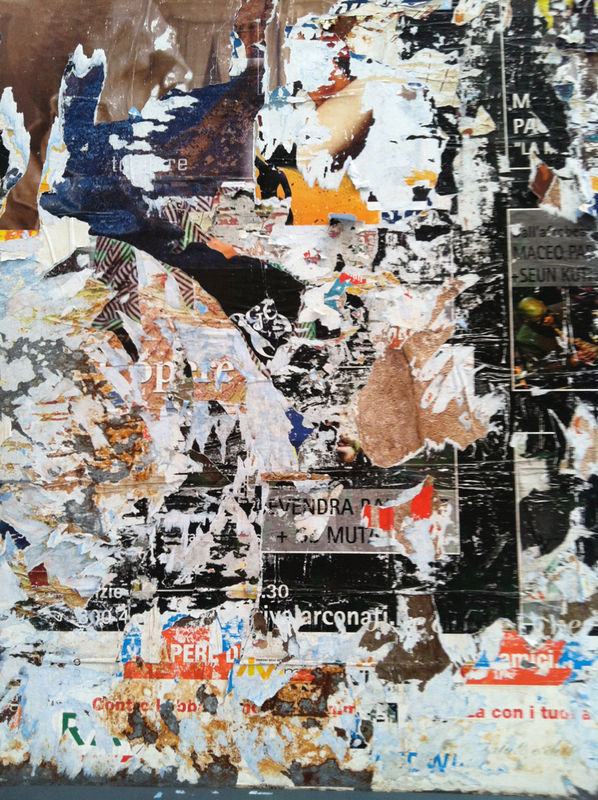 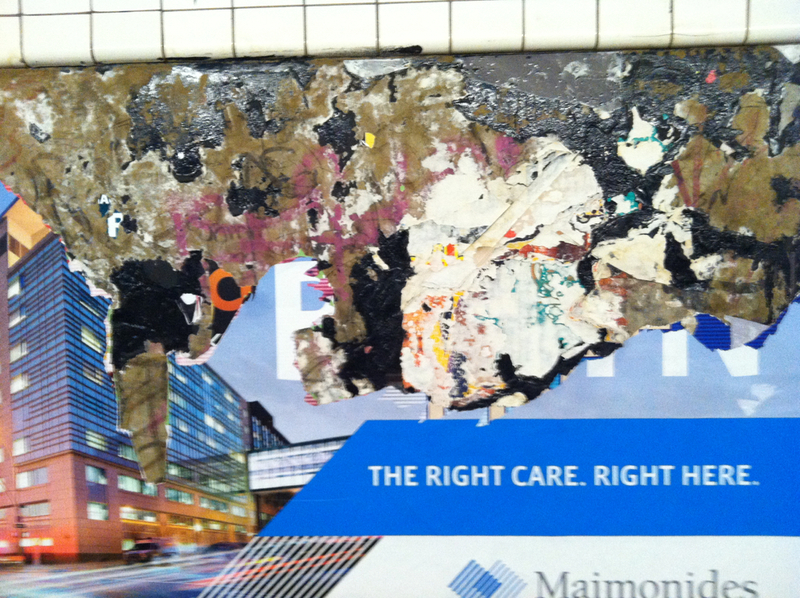 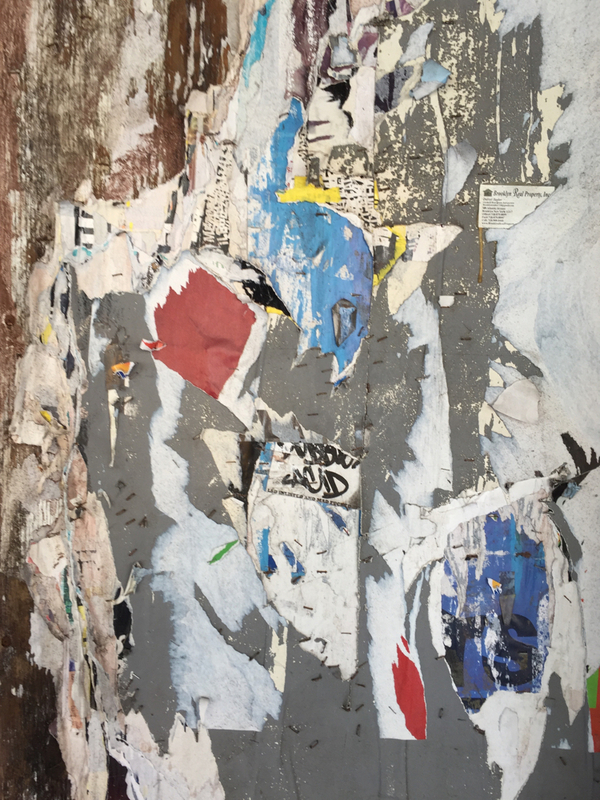 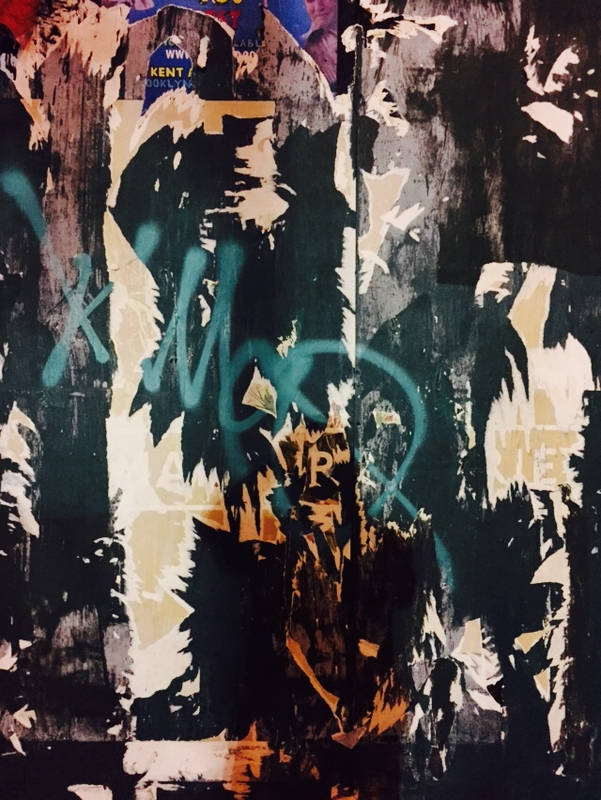 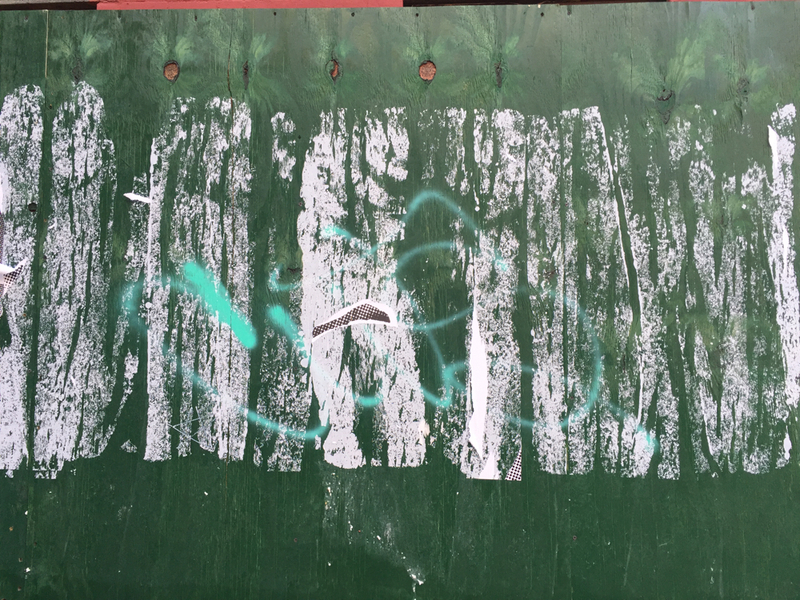 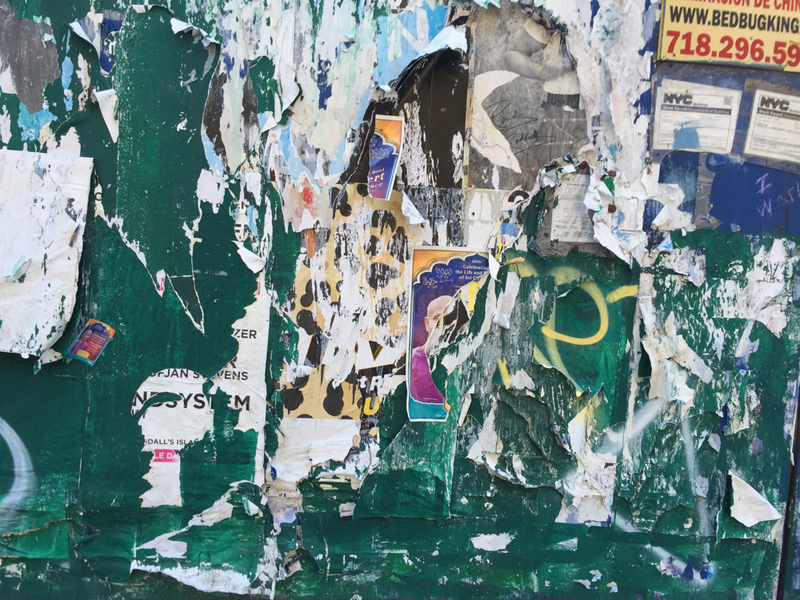 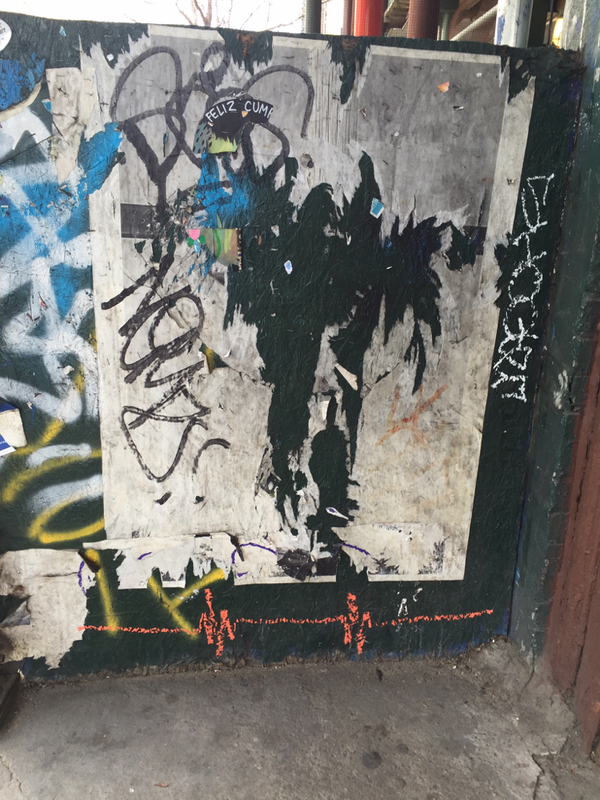 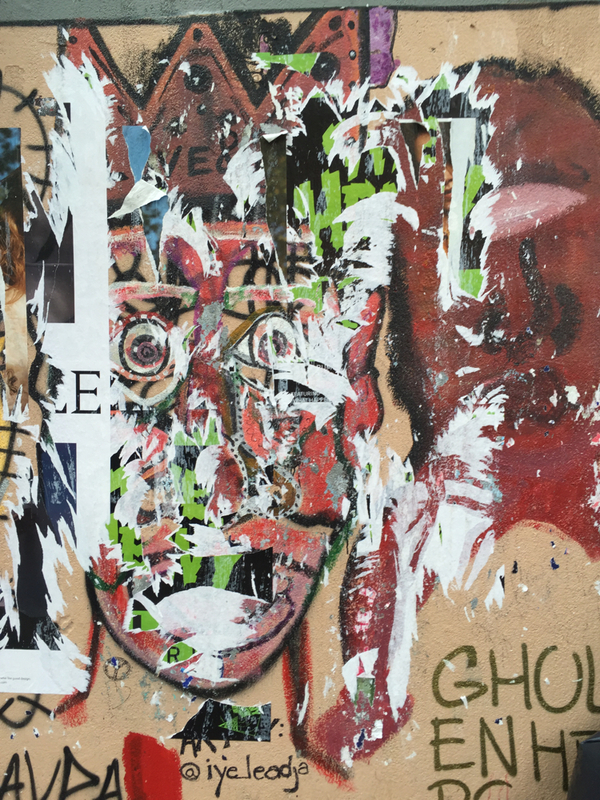 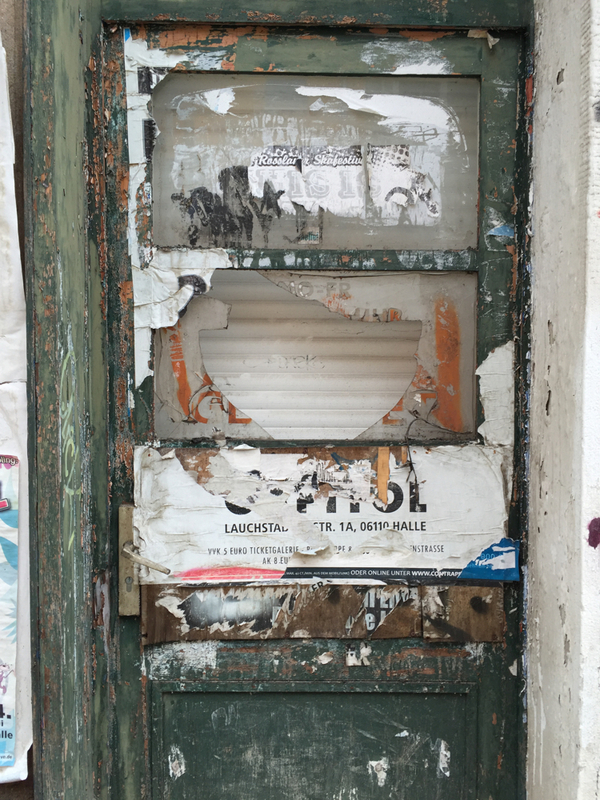 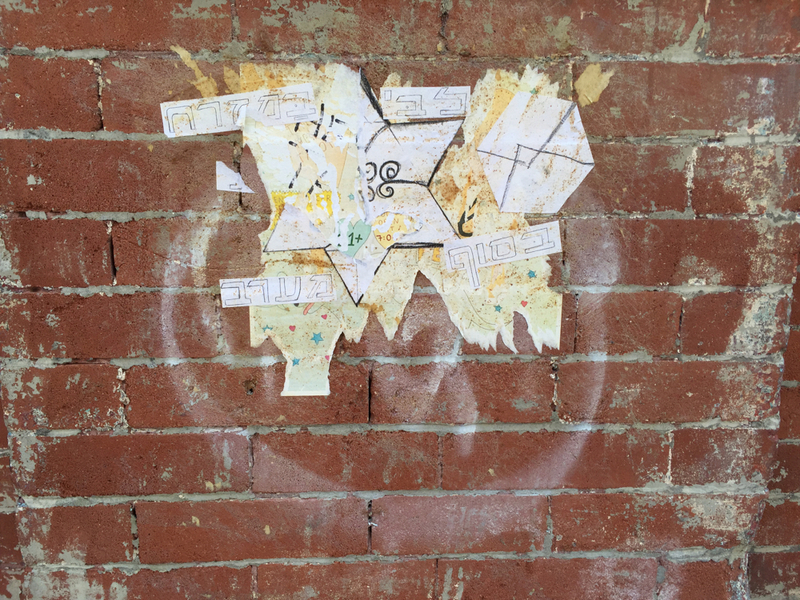 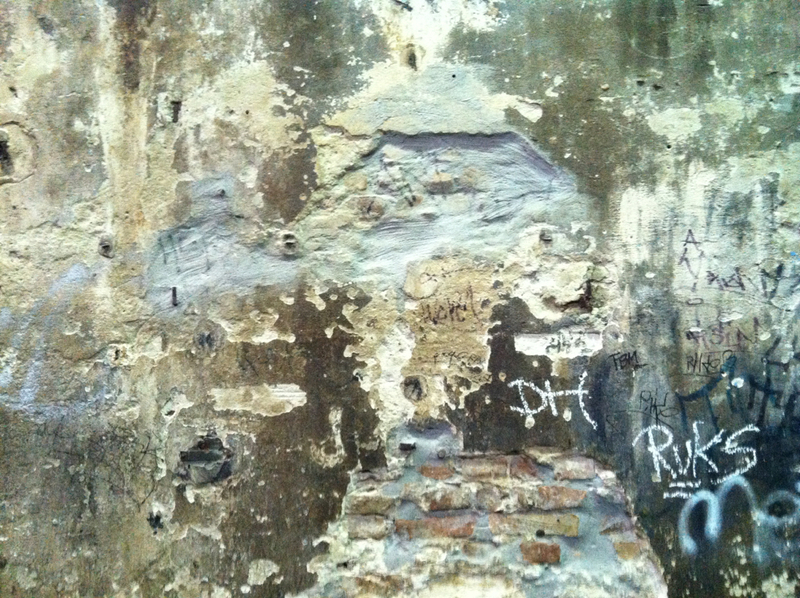 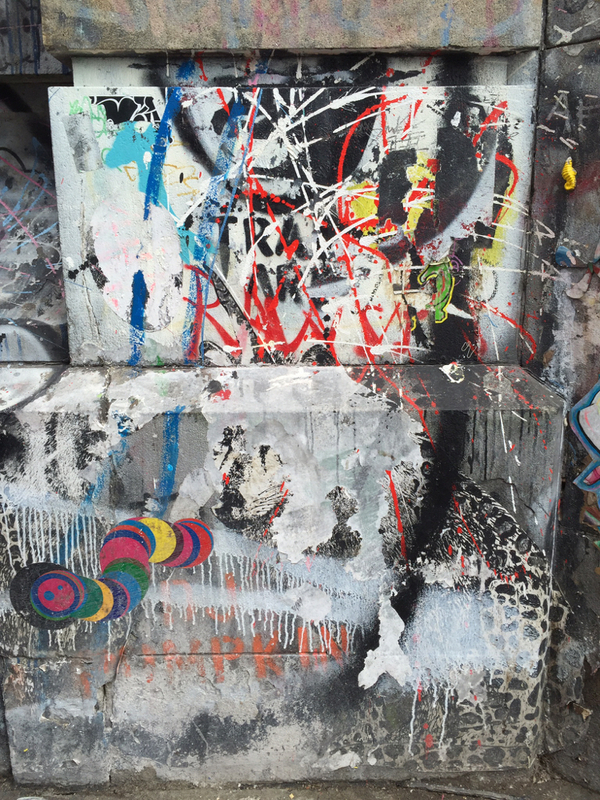 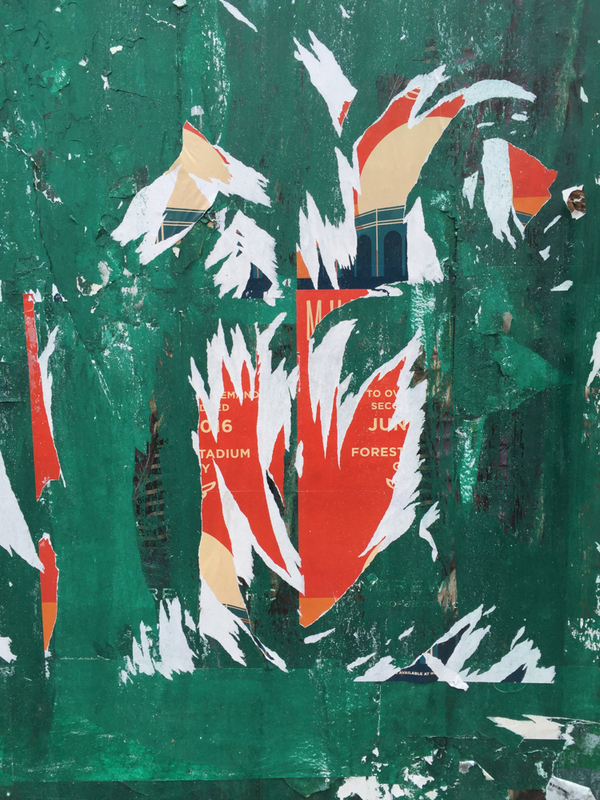 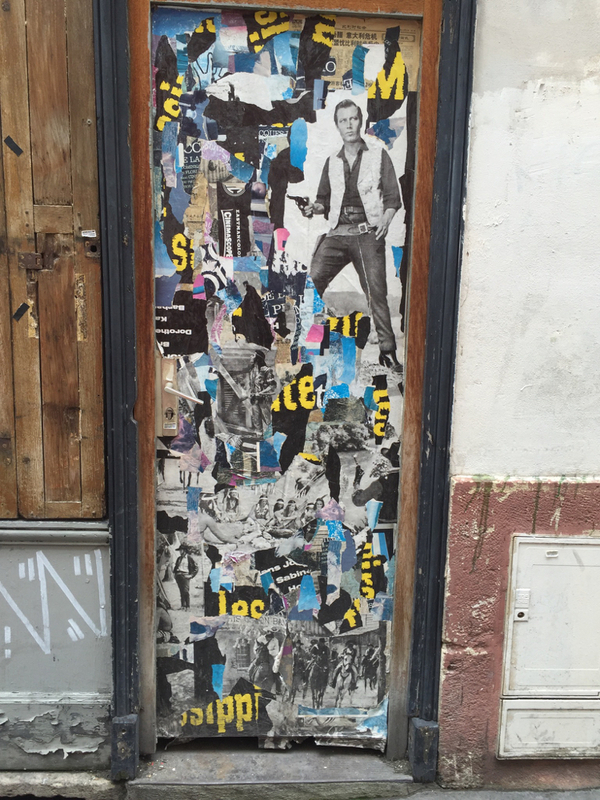 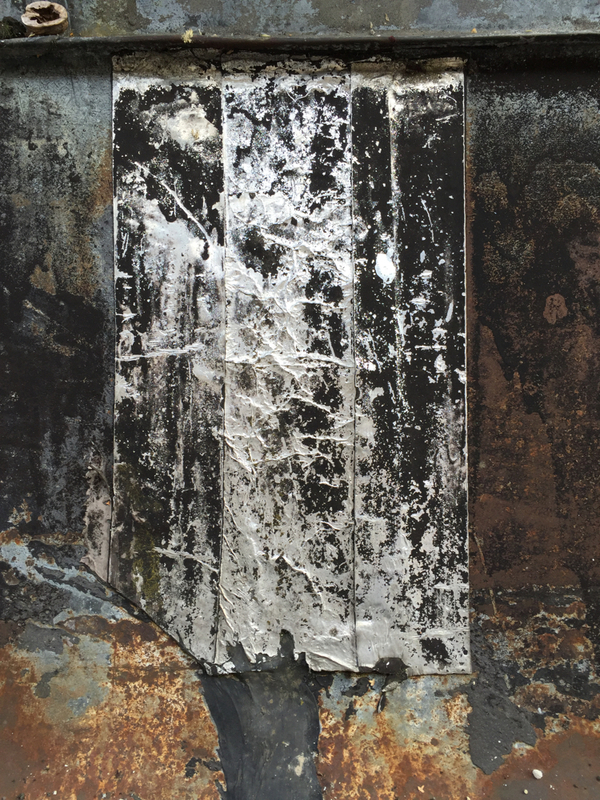 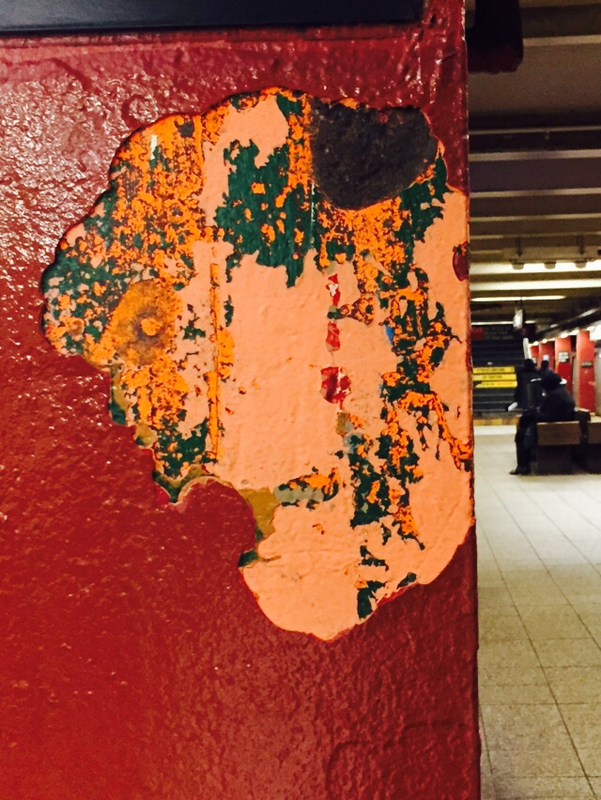 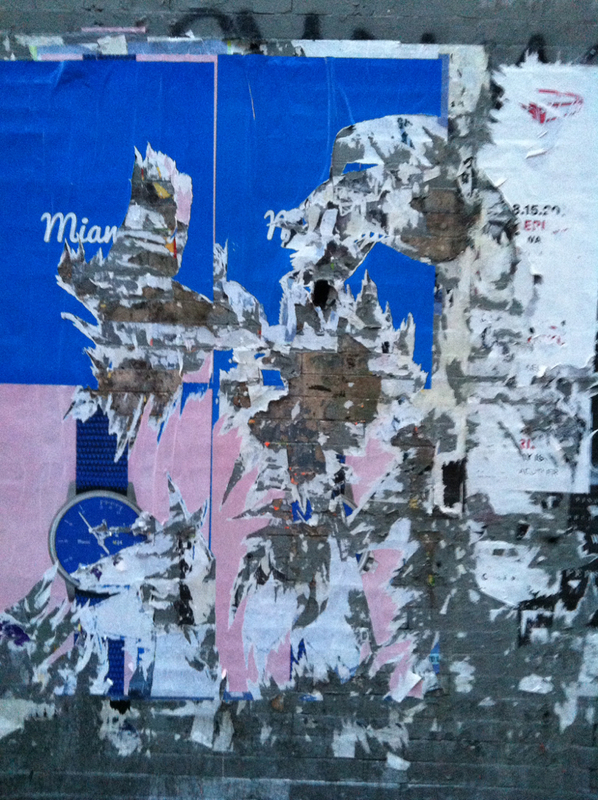 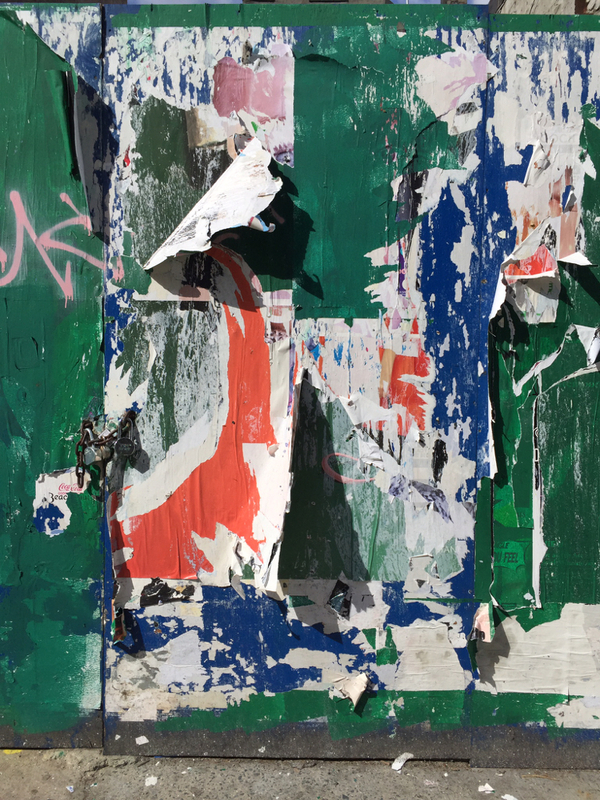 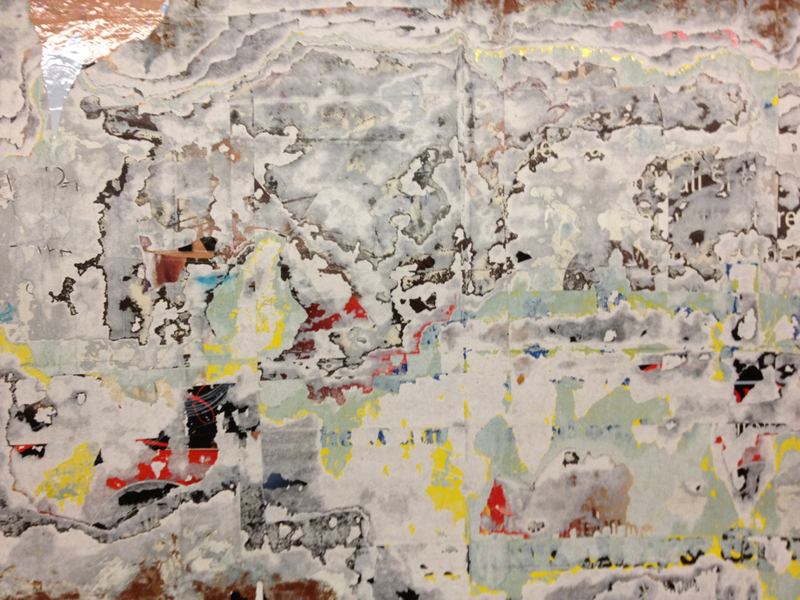 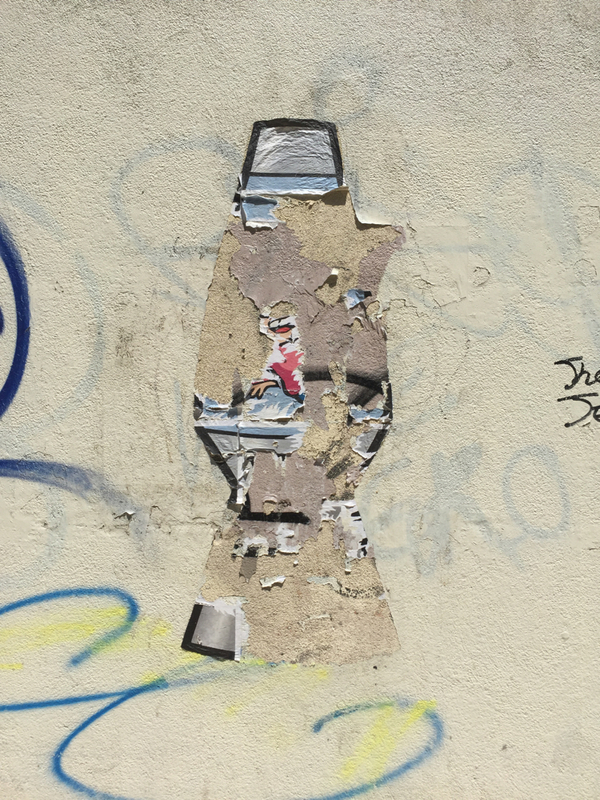 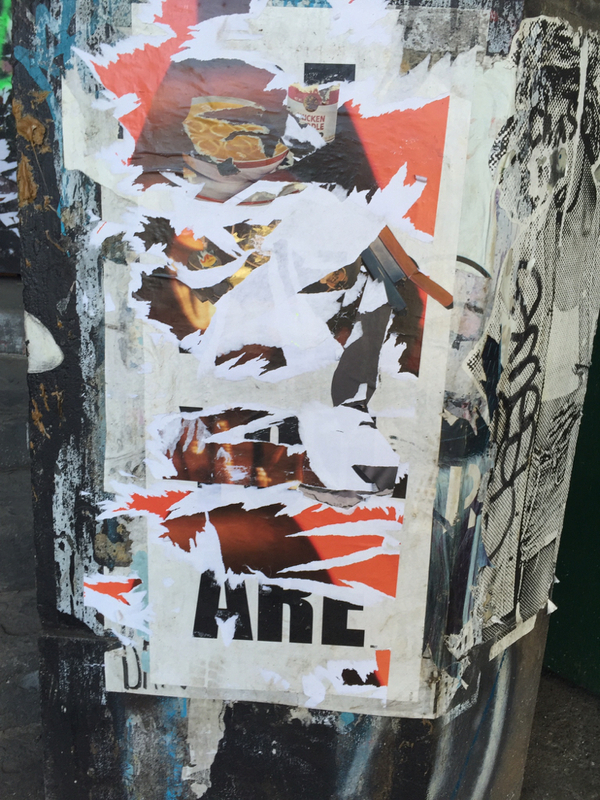 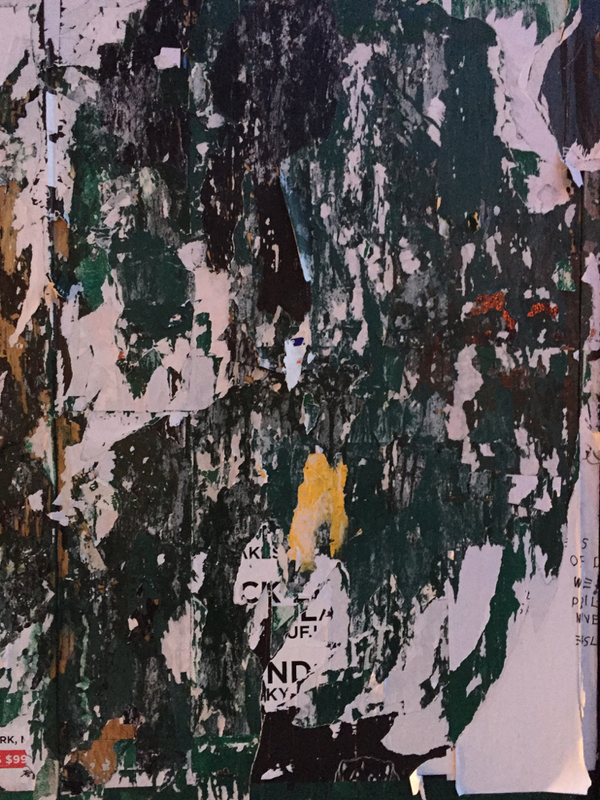 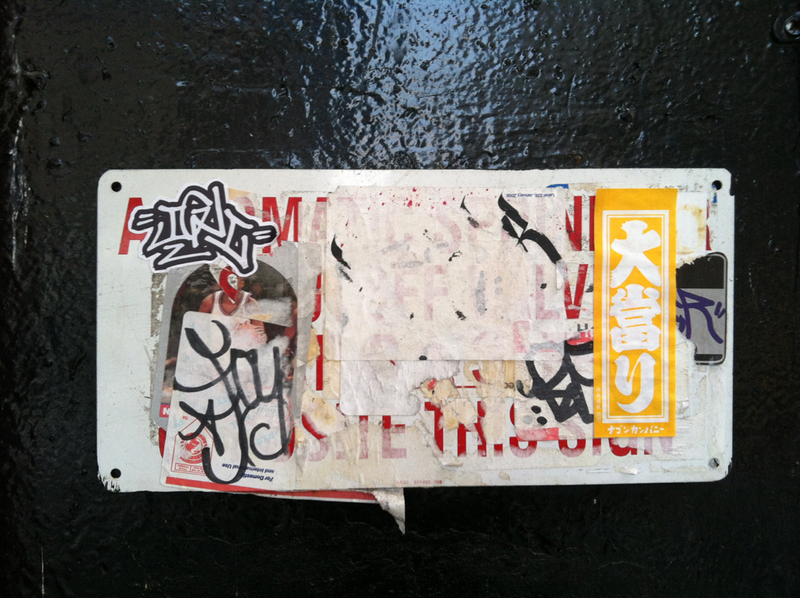 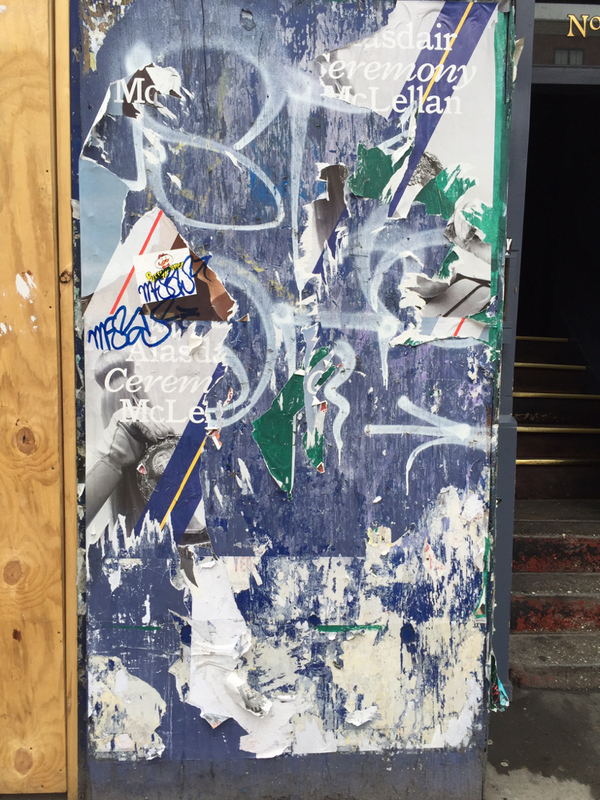 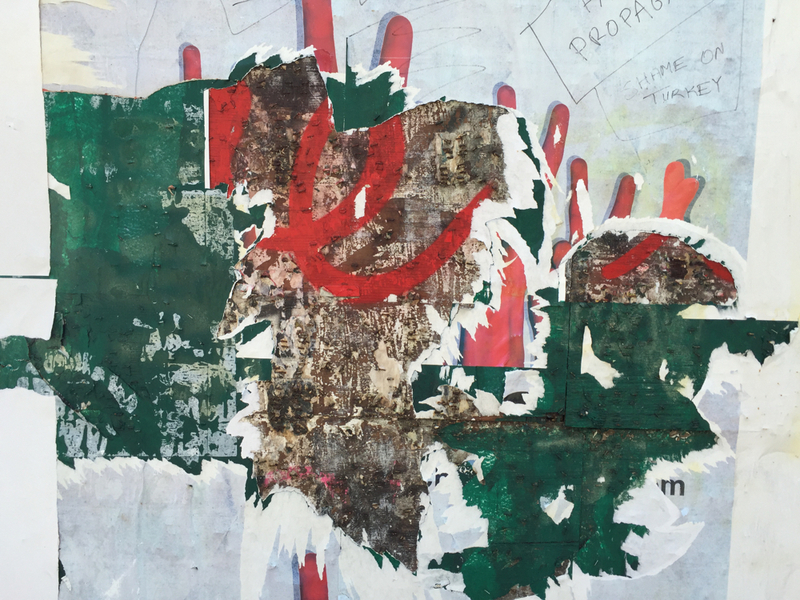 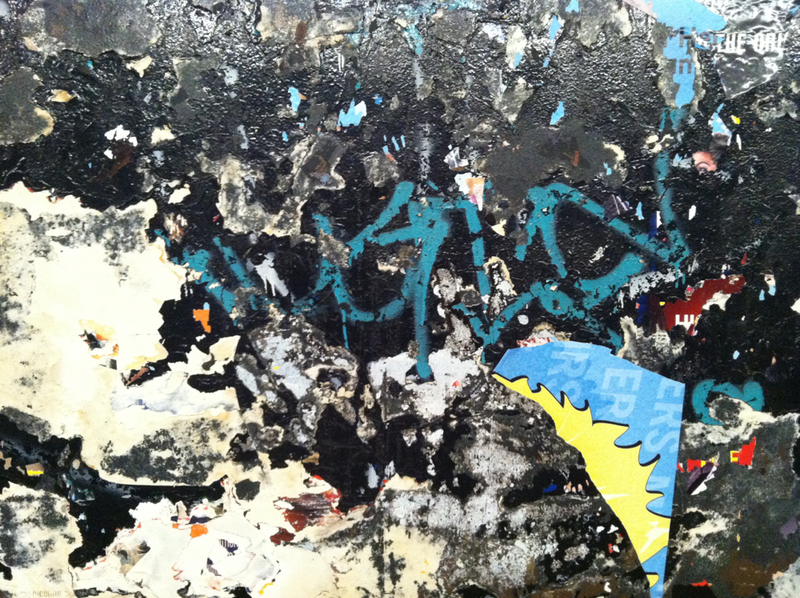 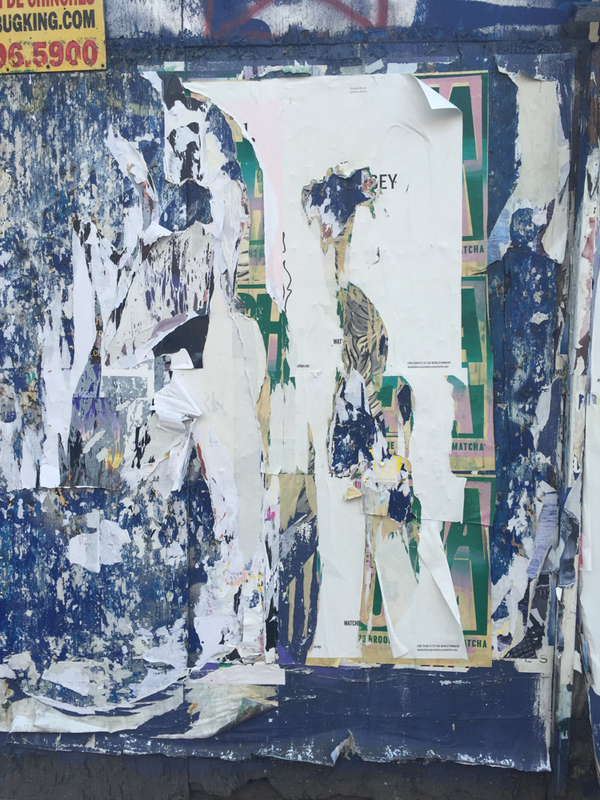 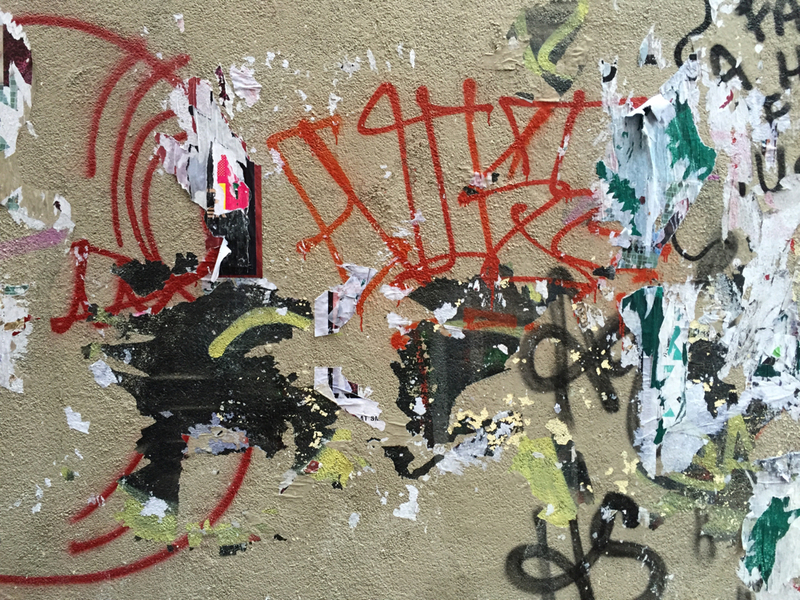 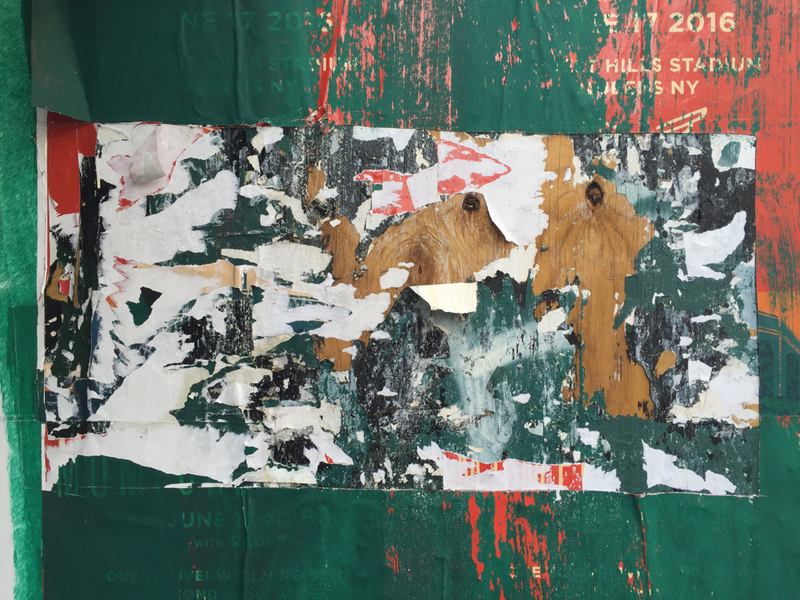 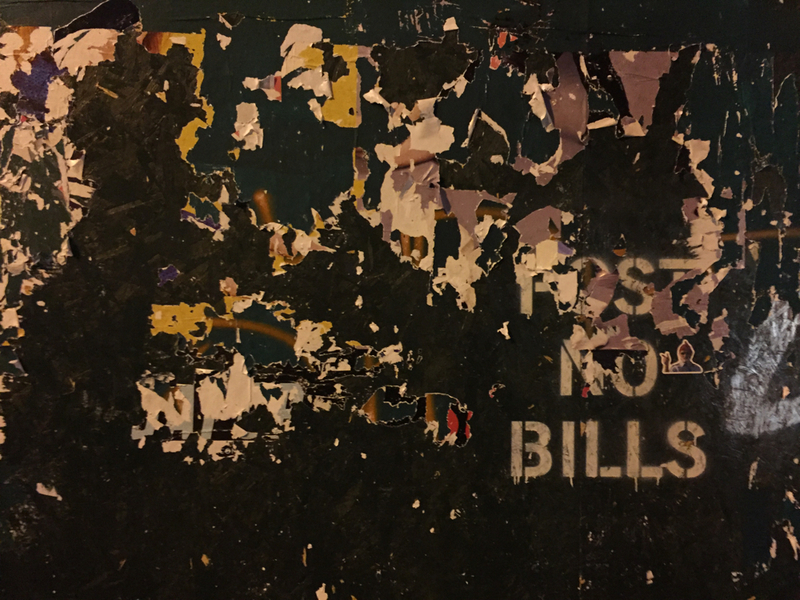 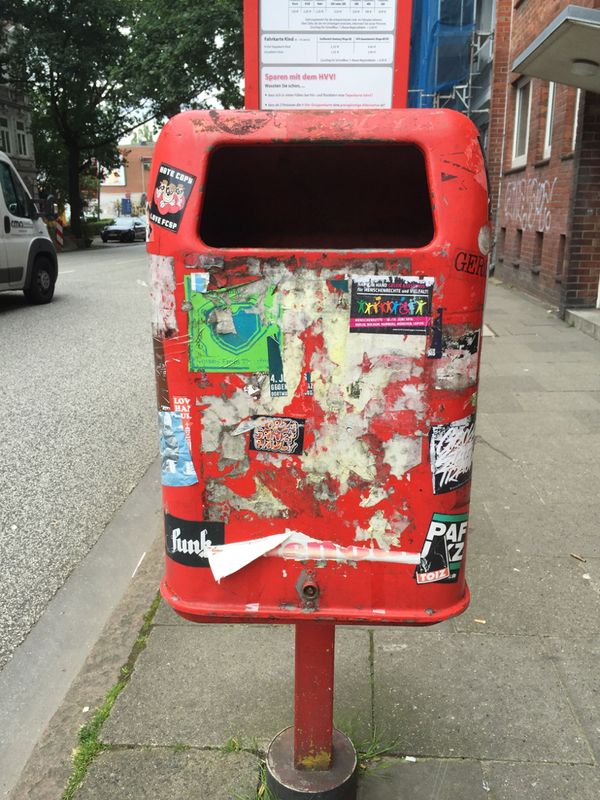 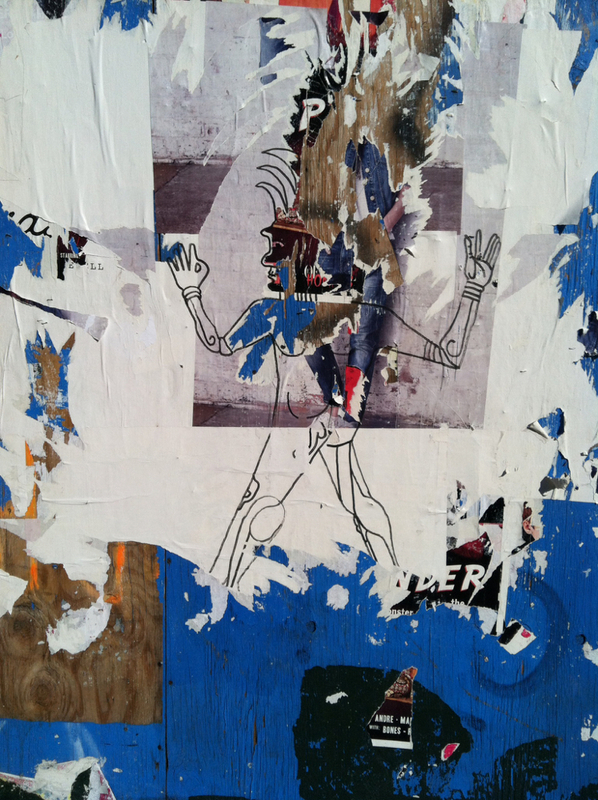 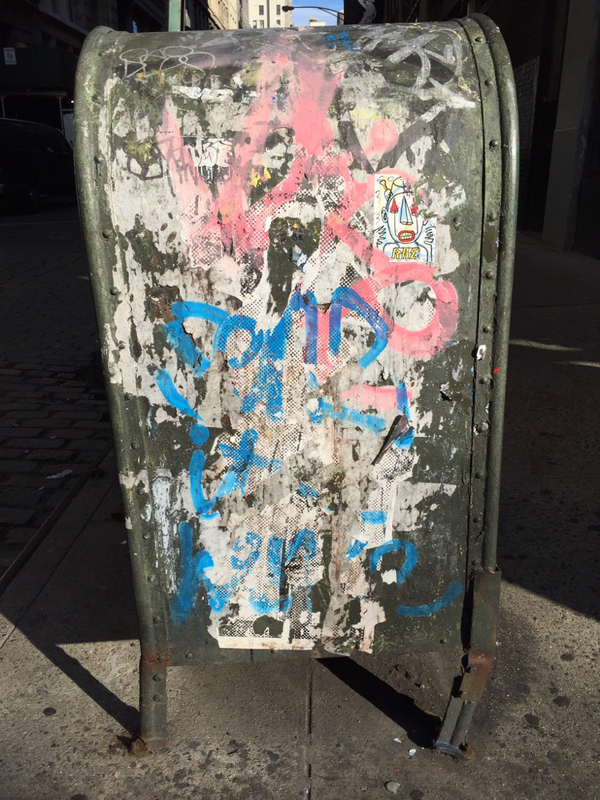 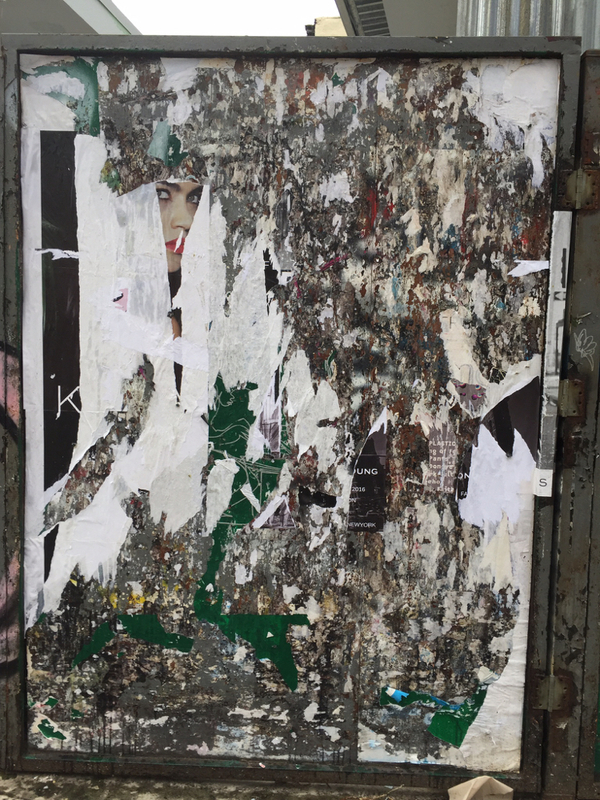 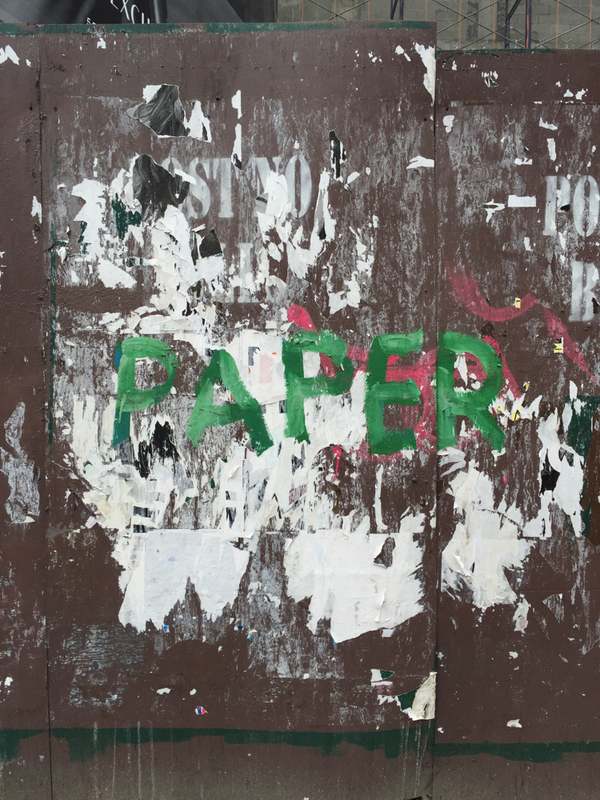 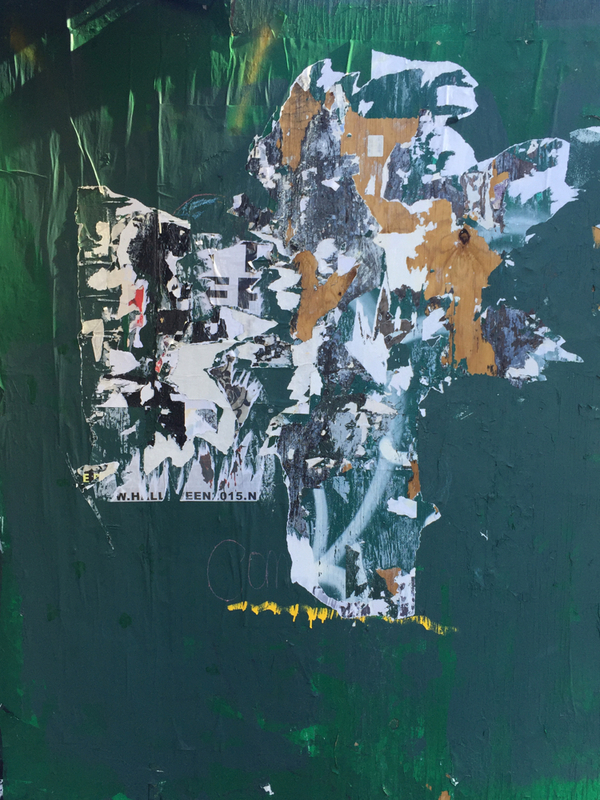 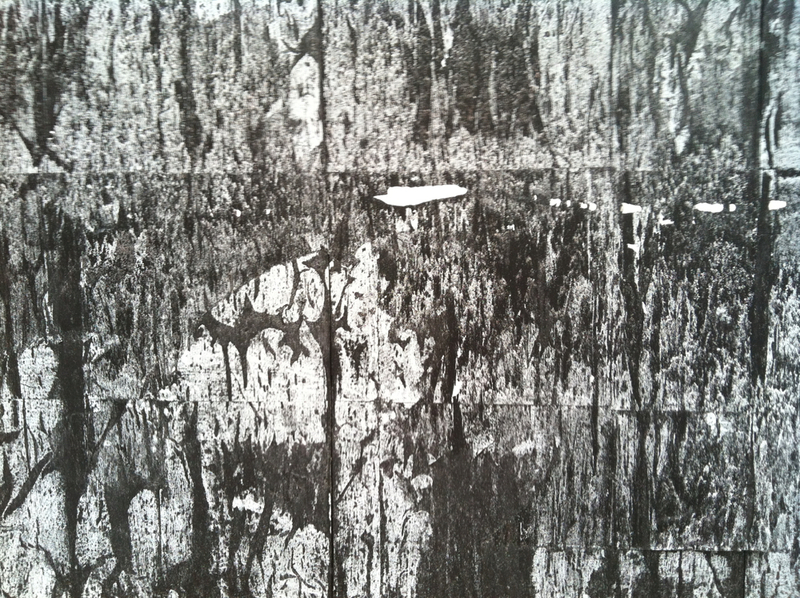 You see torn fragments of ads, rust, remnants and glue, stains, peeling paint, cryptic messages from who knows where. 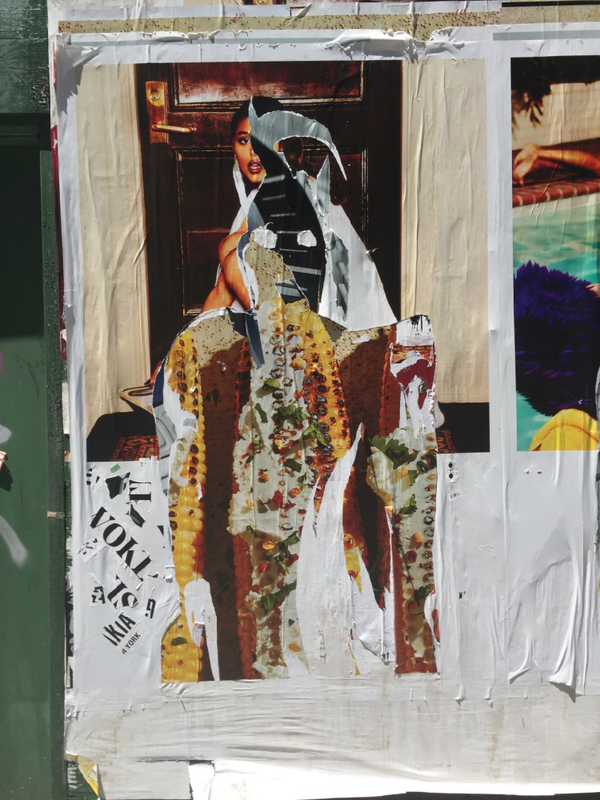 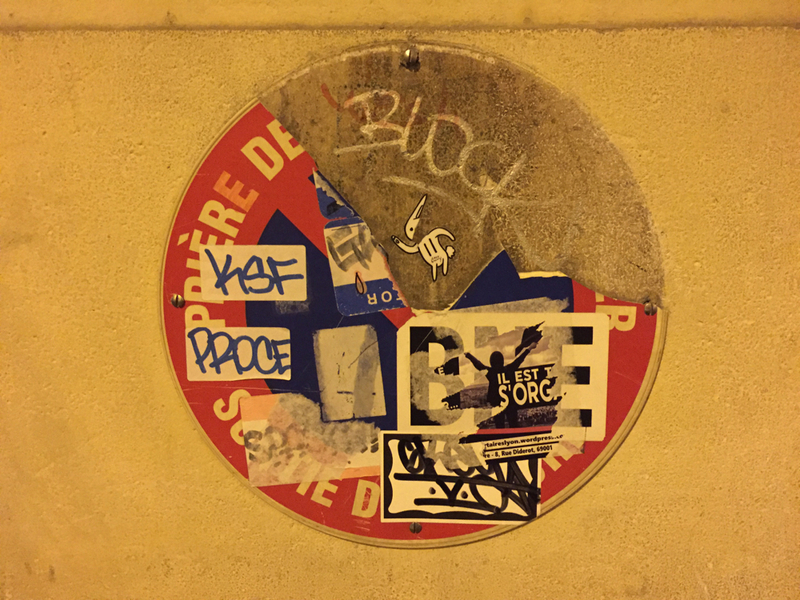 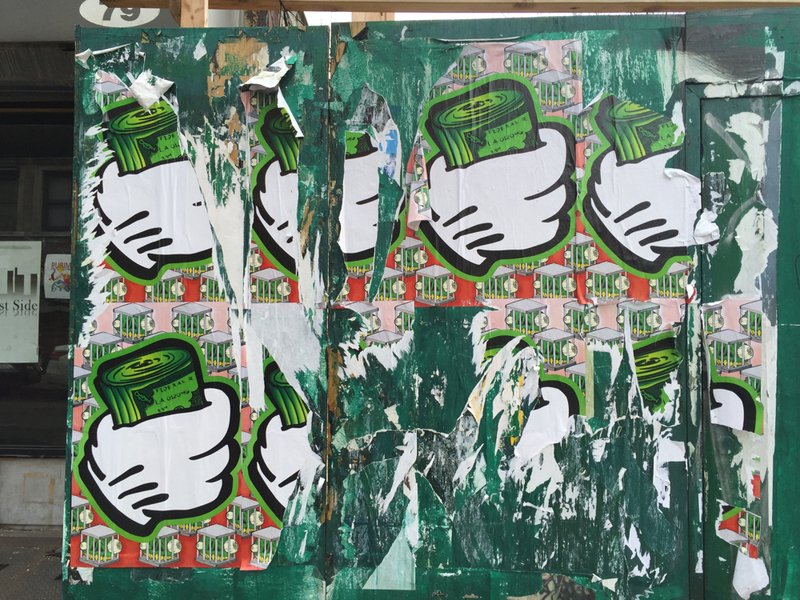 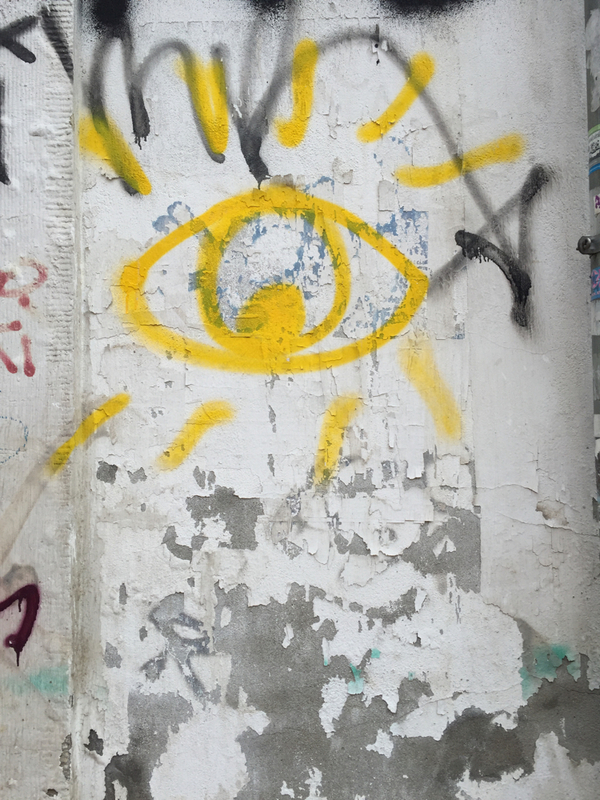 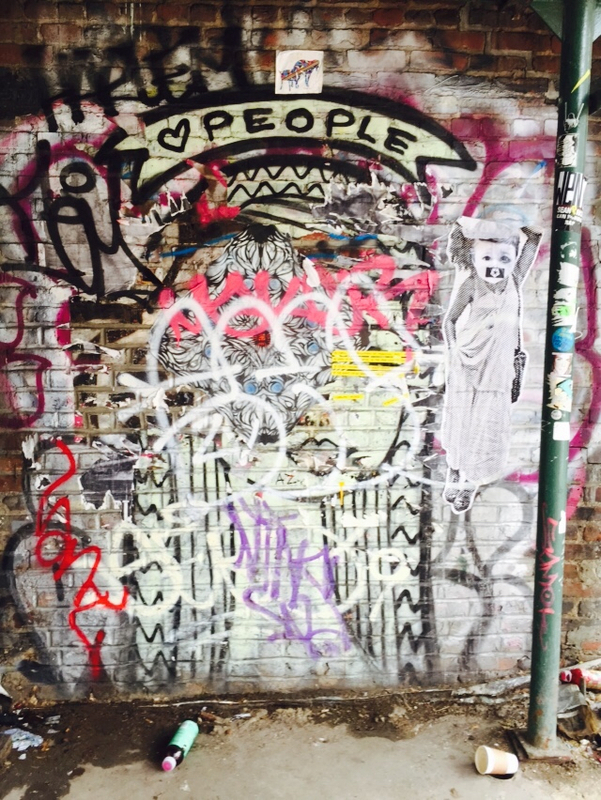 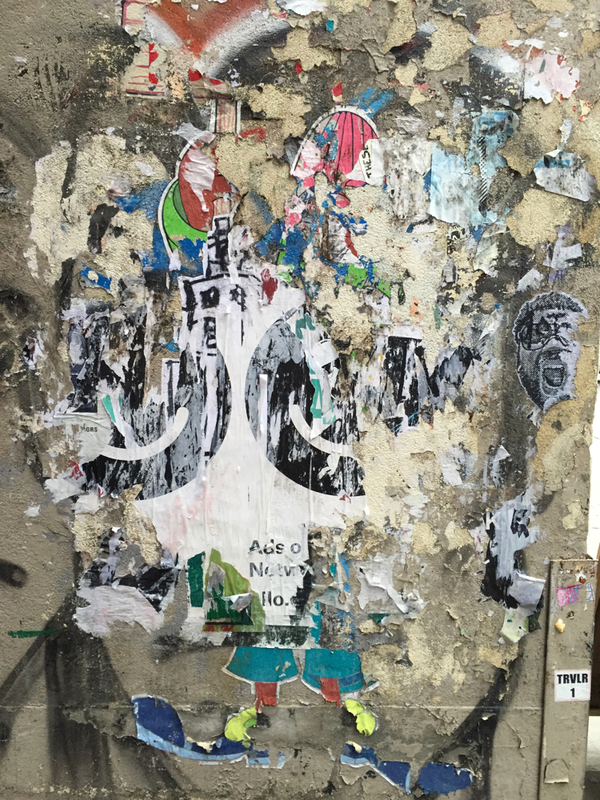 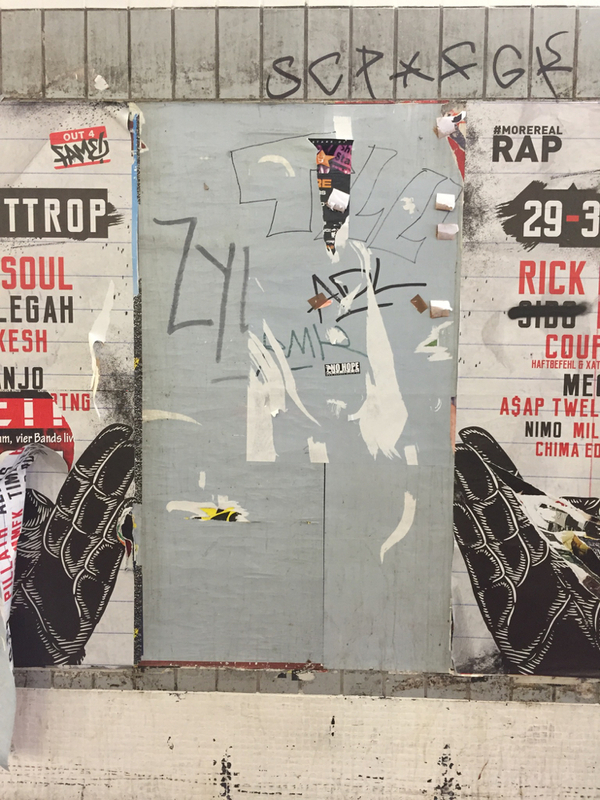 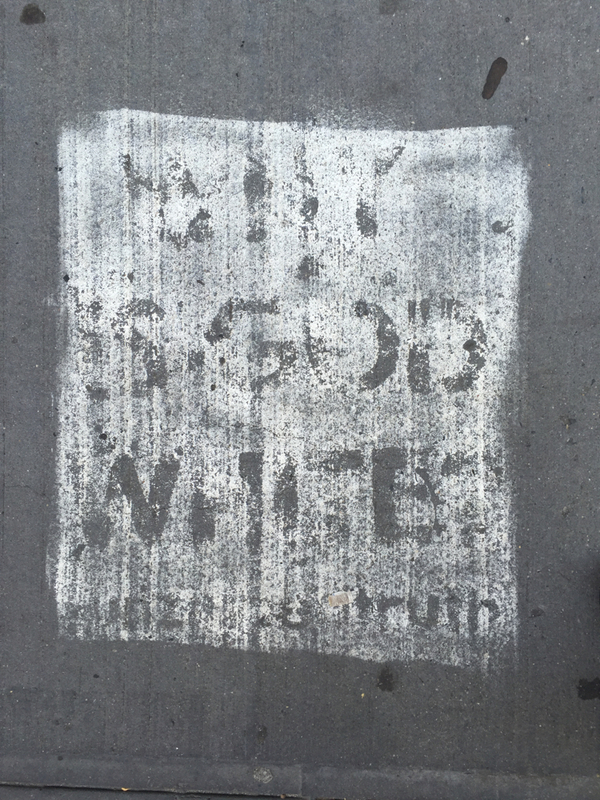 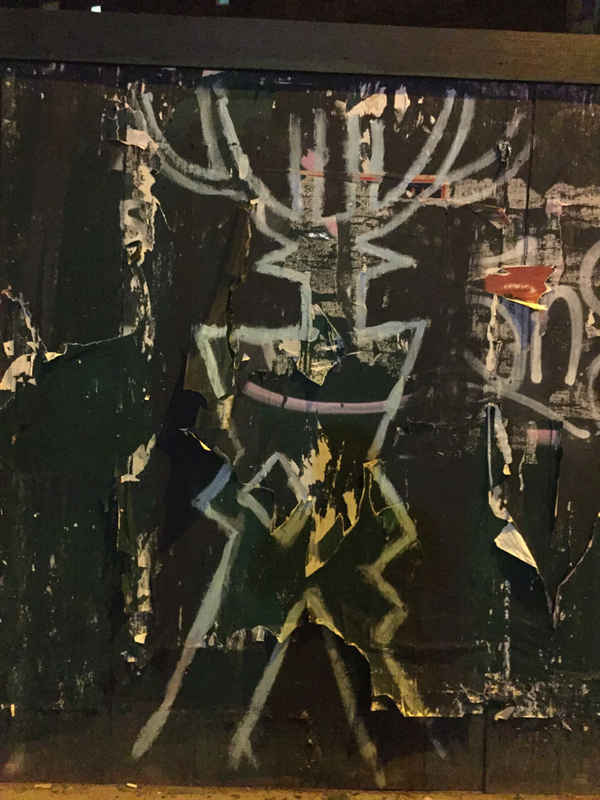 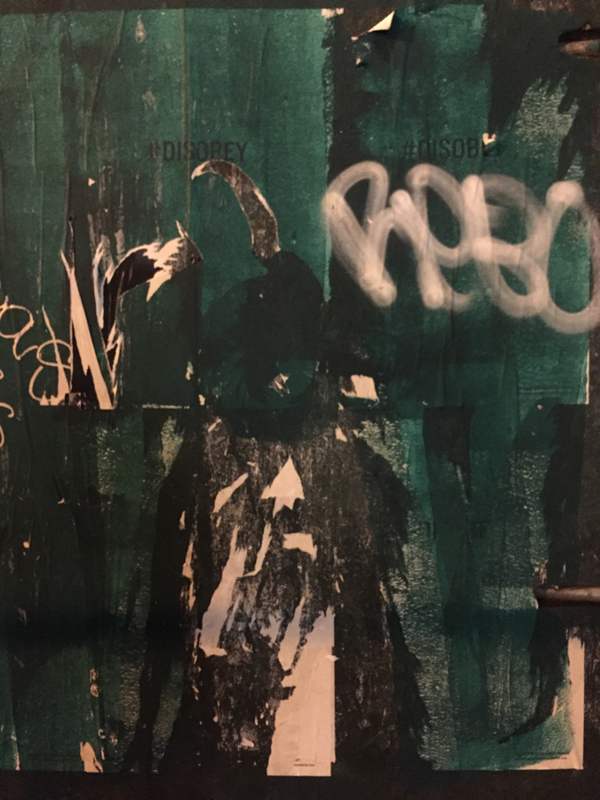 There are some unknown individuals intentions at work, but more significantly, you see an unintended collaboration between taggers, advertisers, and erosion. 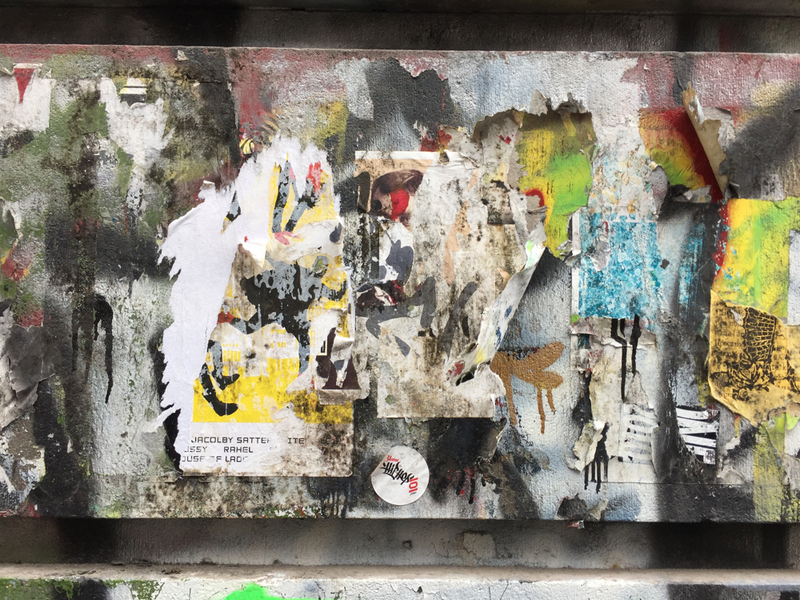 There’s grittiness and gentleness as well in the textures, colors, shapes, words and messages that poke through. 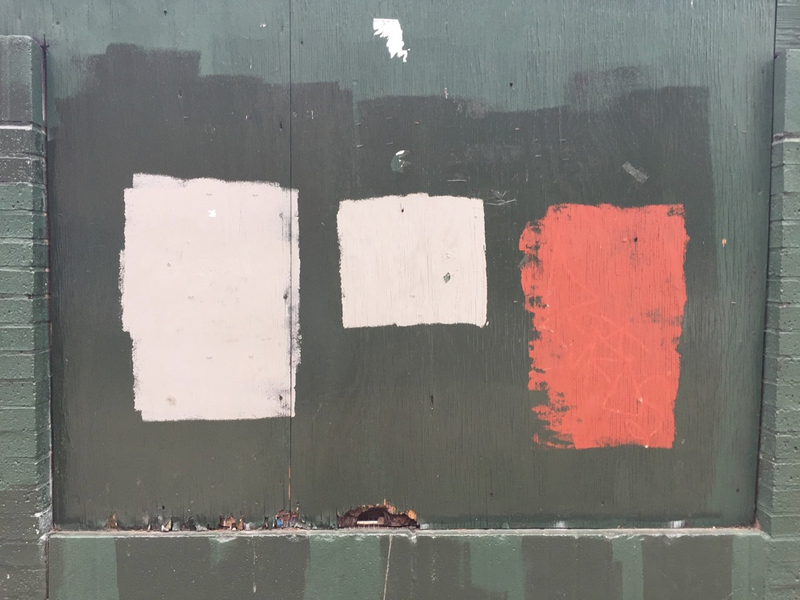 Reminds me of those children’s paintings, when you’d crayon color fields, then paint them over with black paint, and finally scrape away to reveal what’s beneath. 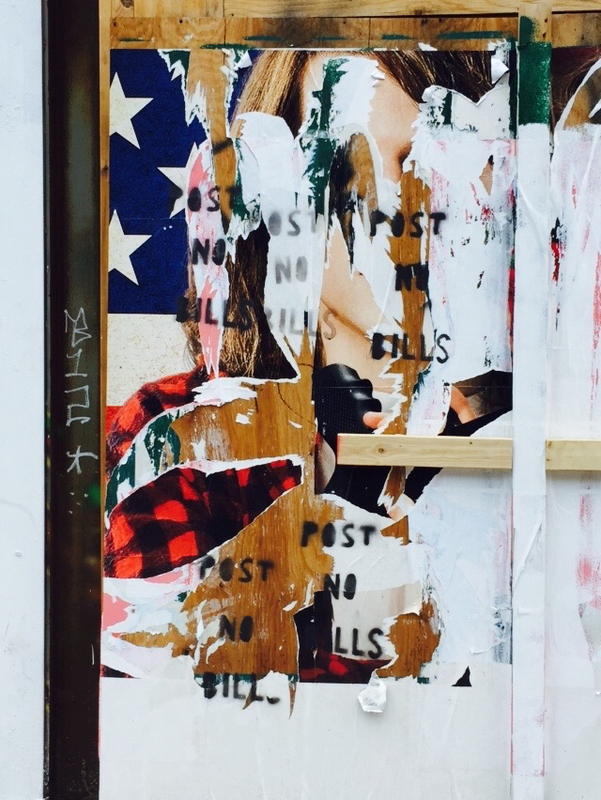 No one can buy them or sell them or own them. 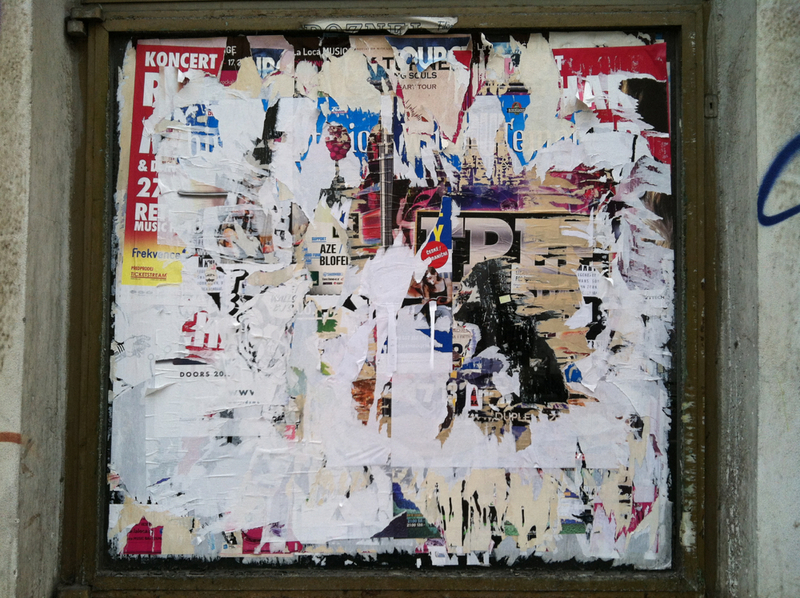 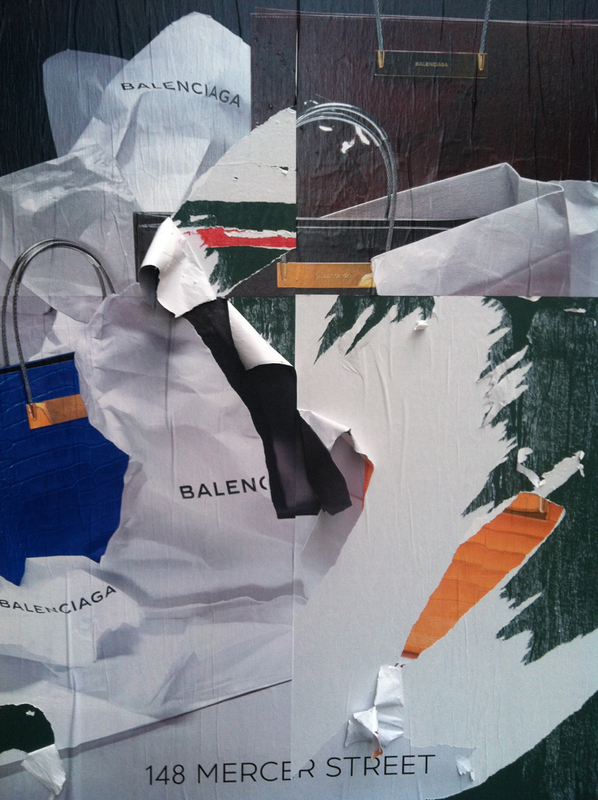 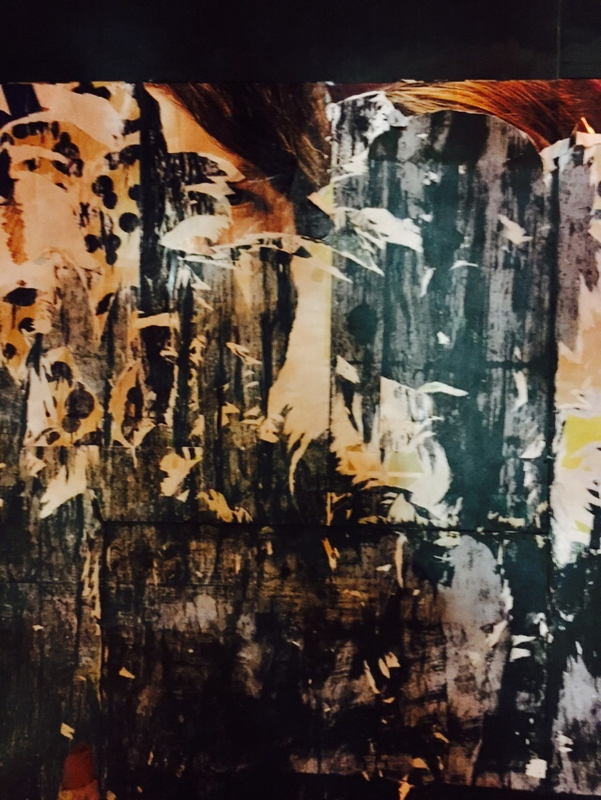 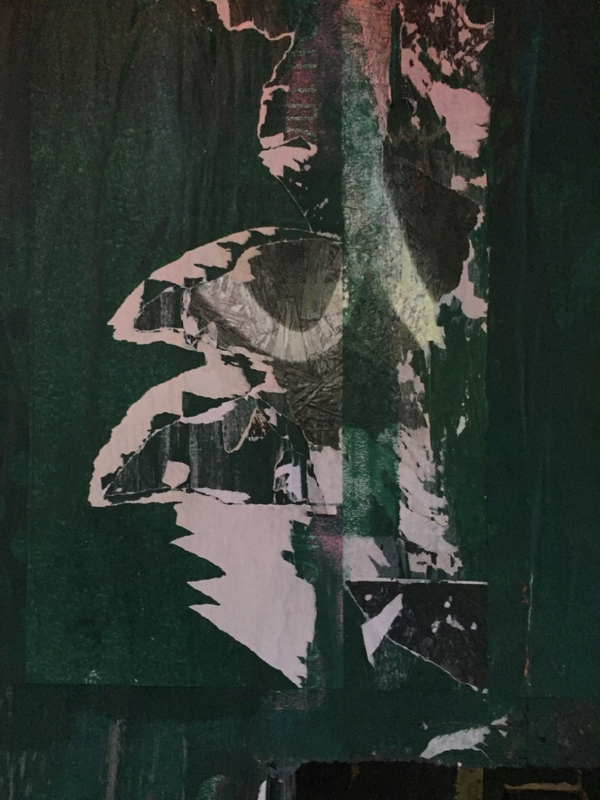 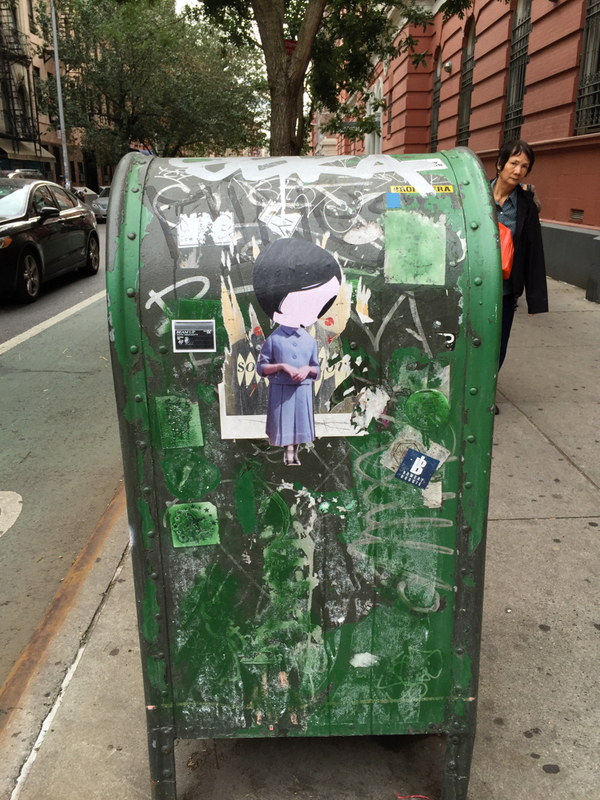 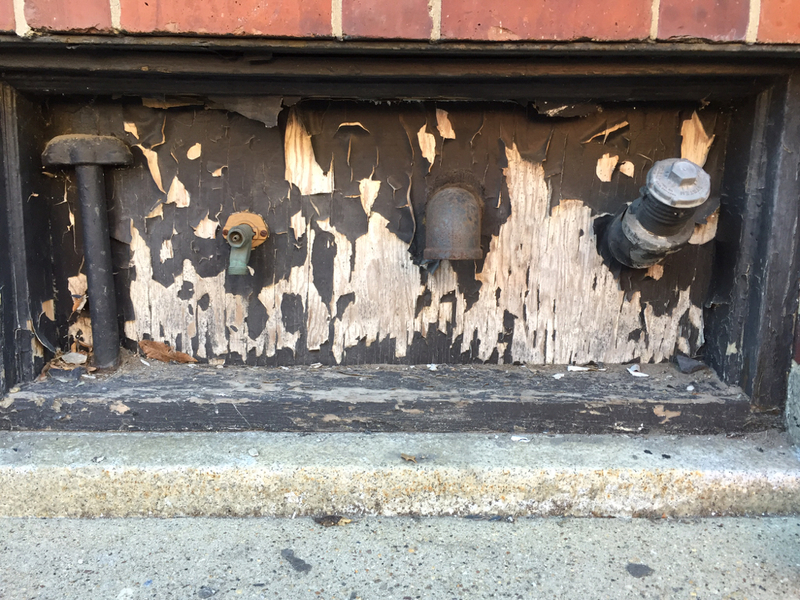 Part collage and part decay. 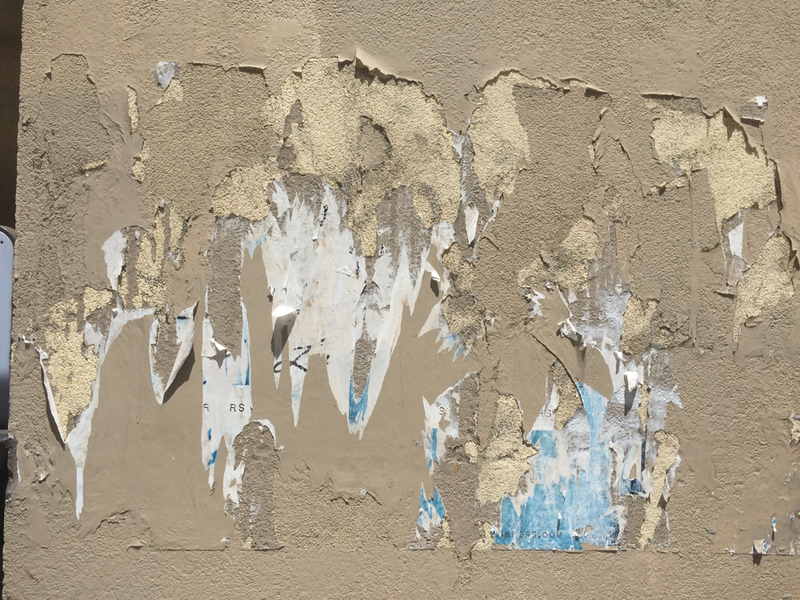 What’s left.